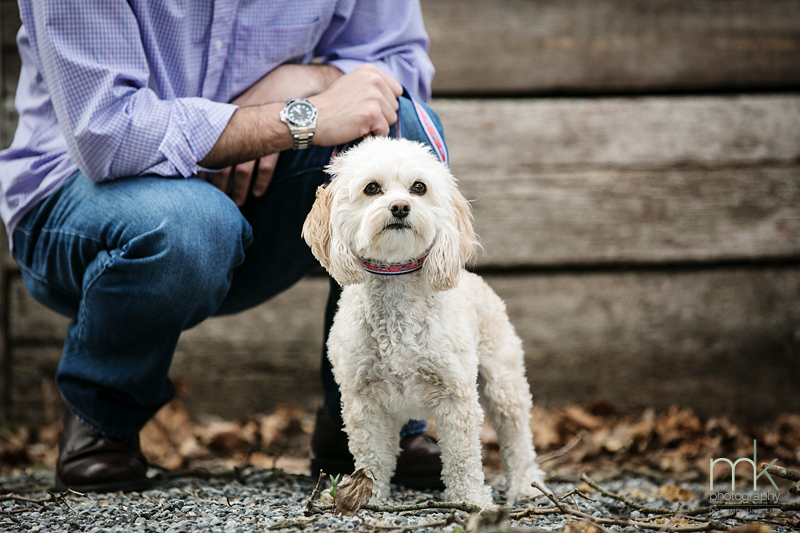 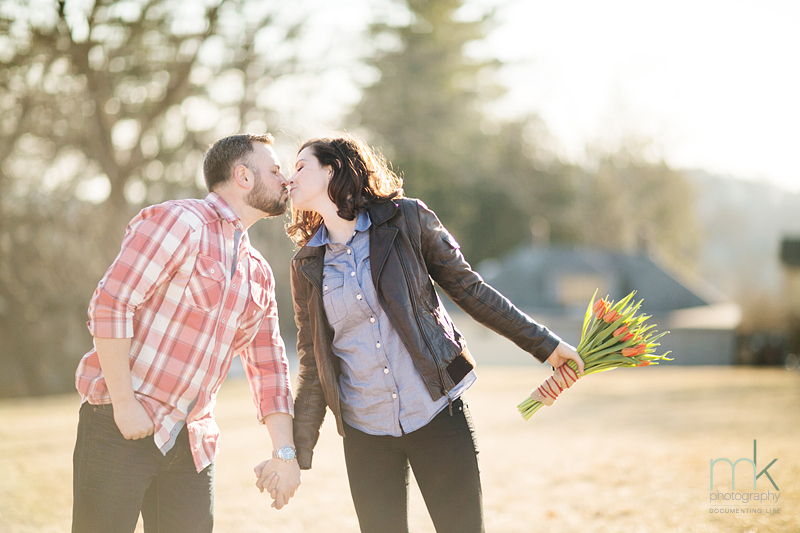 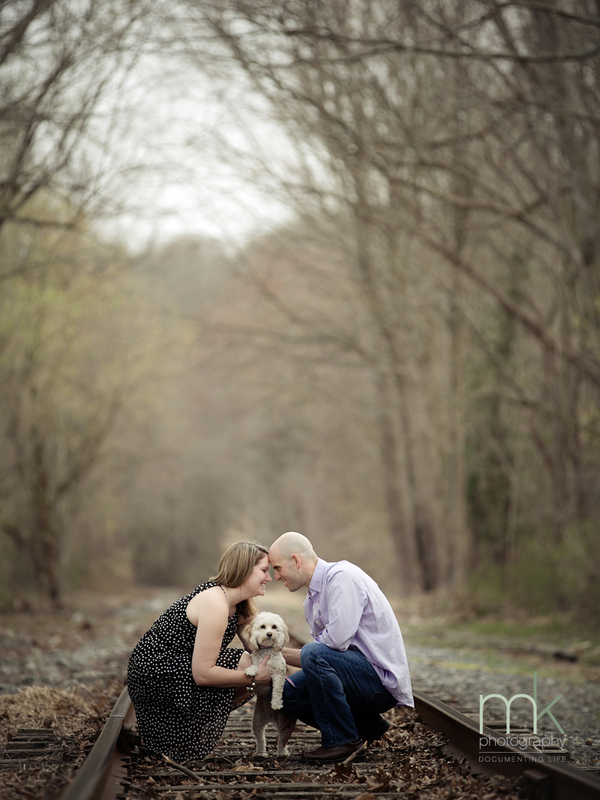 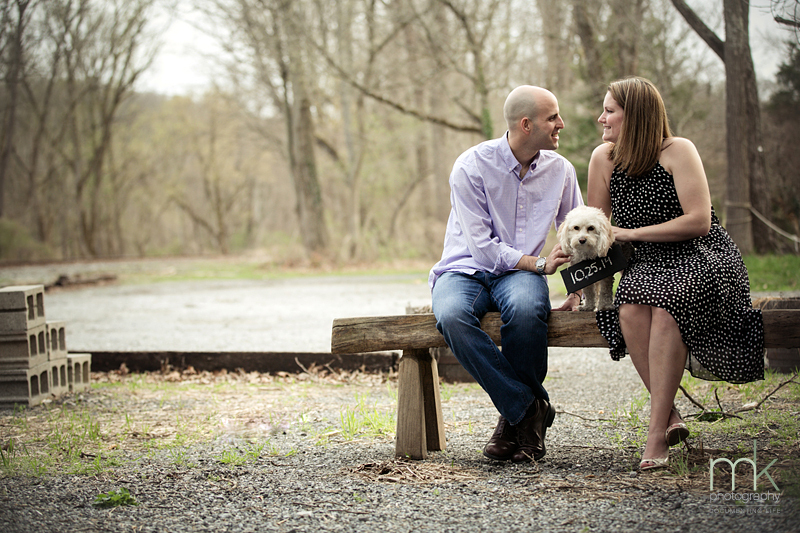 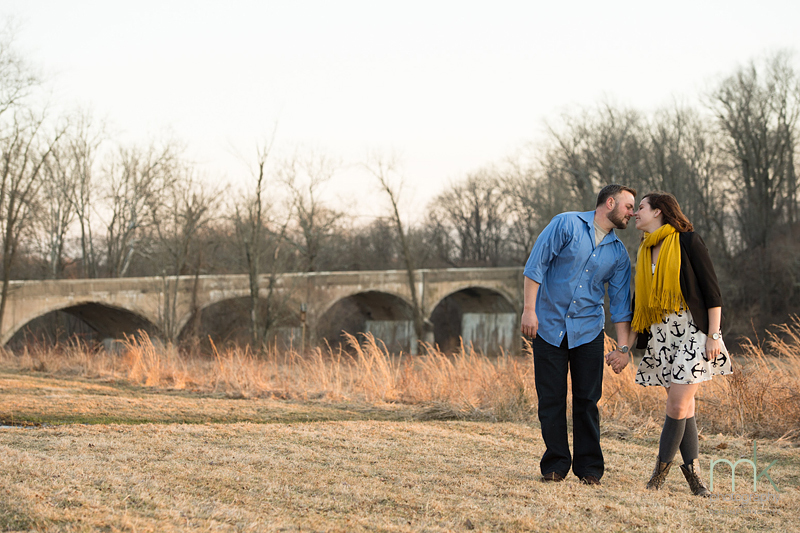 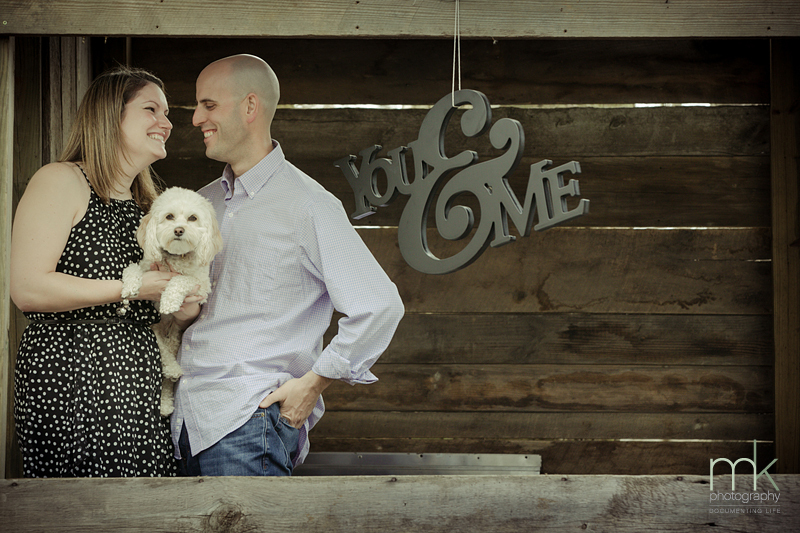 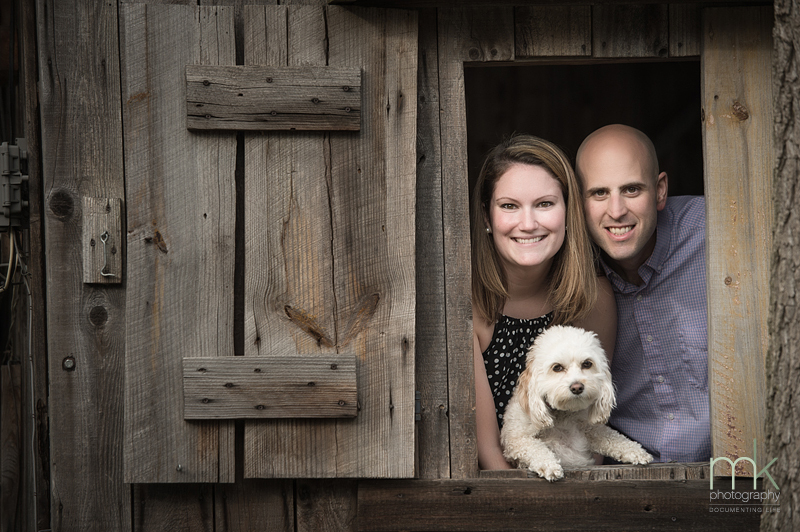 A sweet little vegetable stand in scenic southeastern Chester County, PA just over the Delaware state line provided the backdrop for an engagement shoot for a couple equally as sweet (and their pooch, Lilly!). 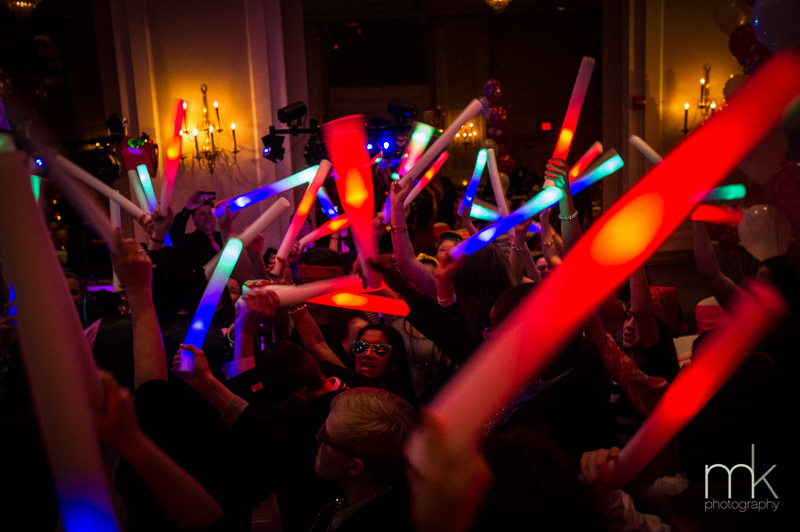 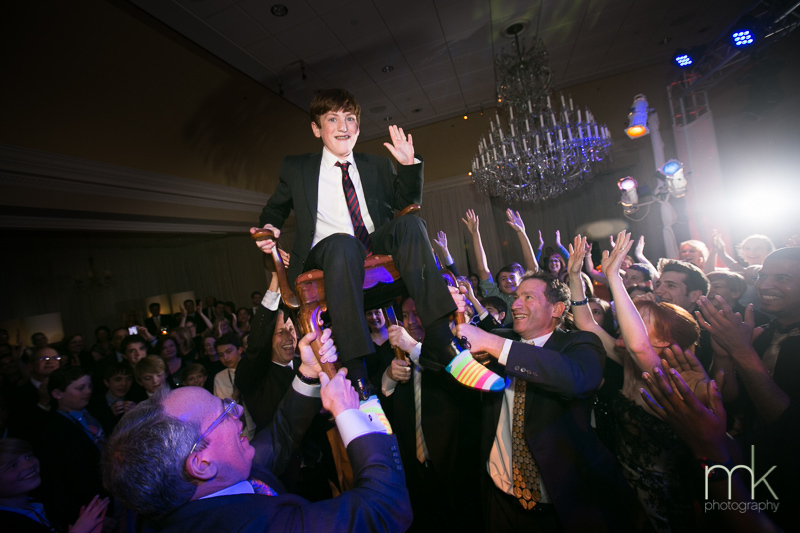 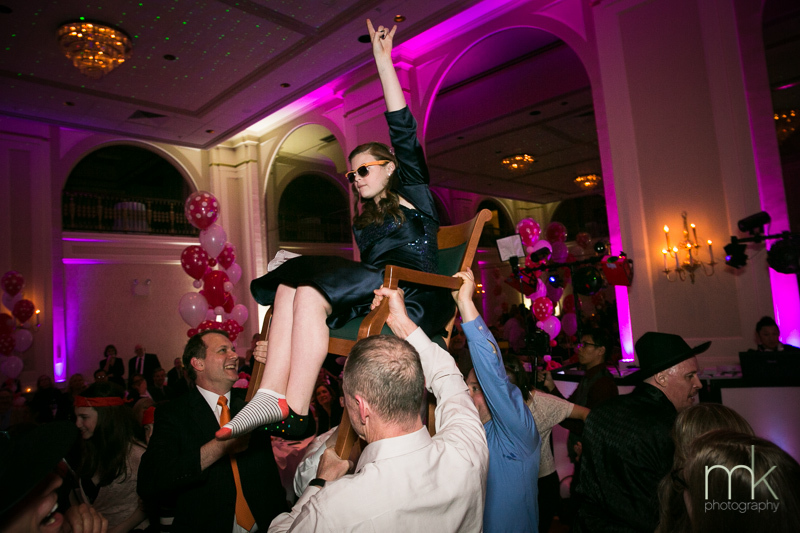 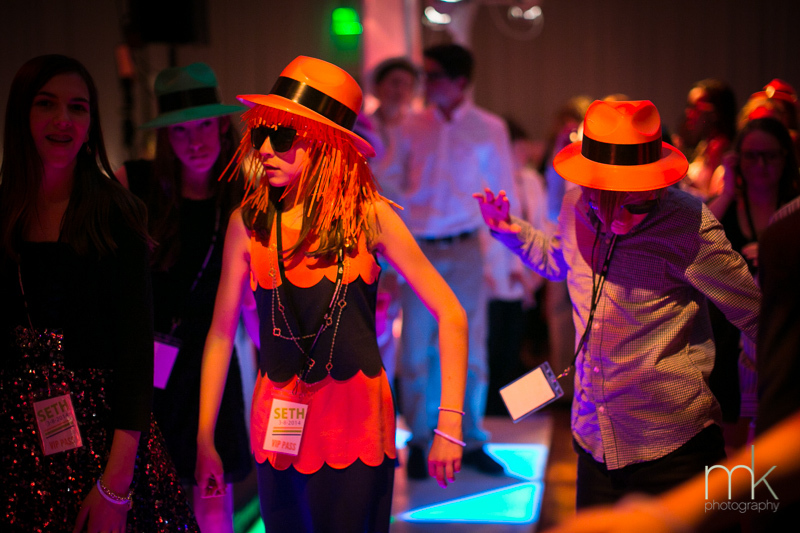 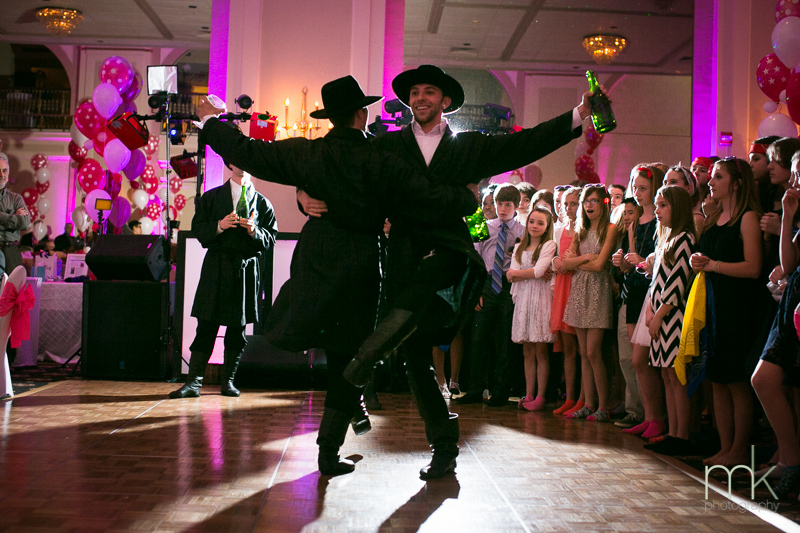 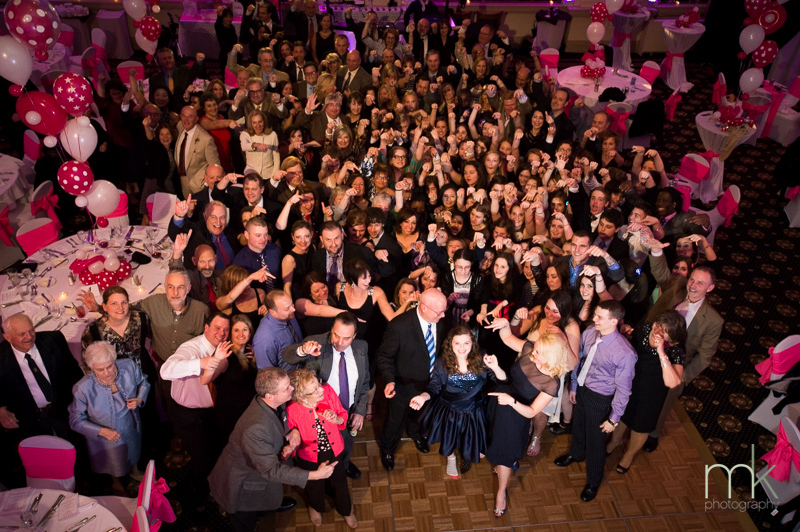 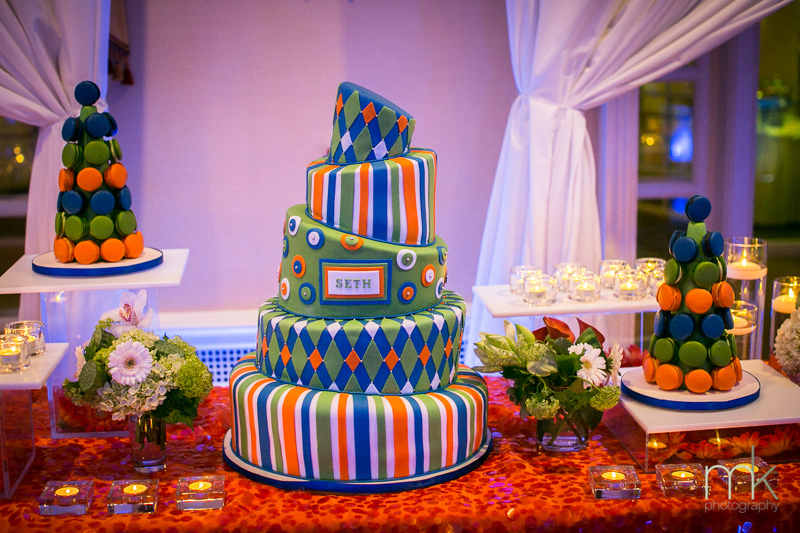 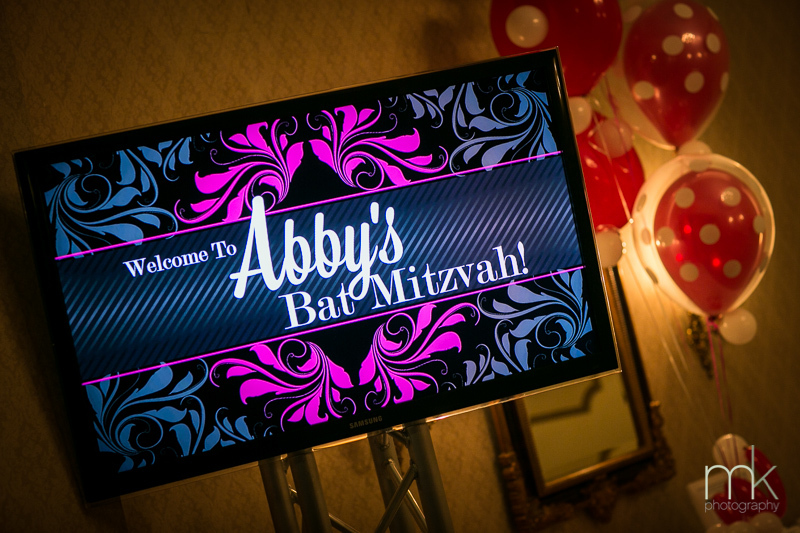 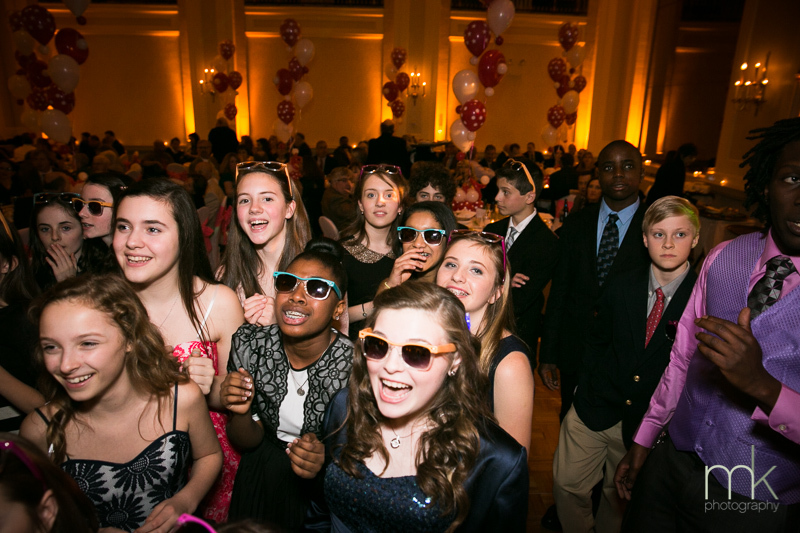 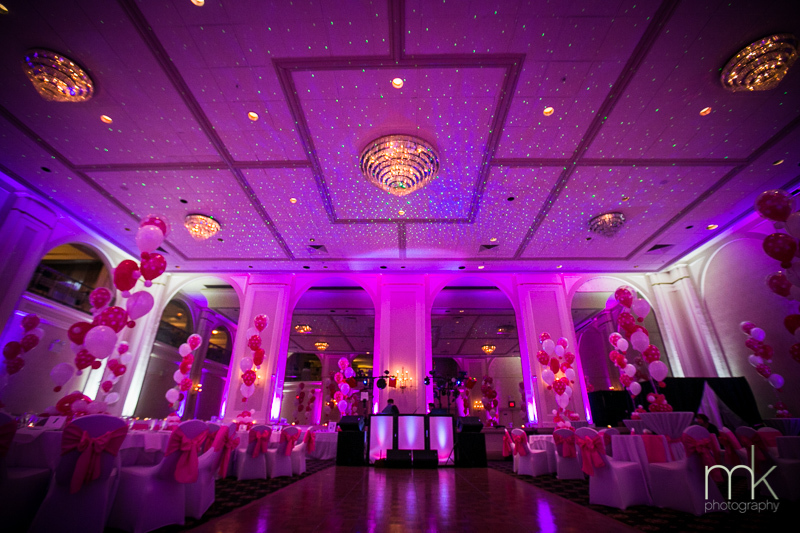 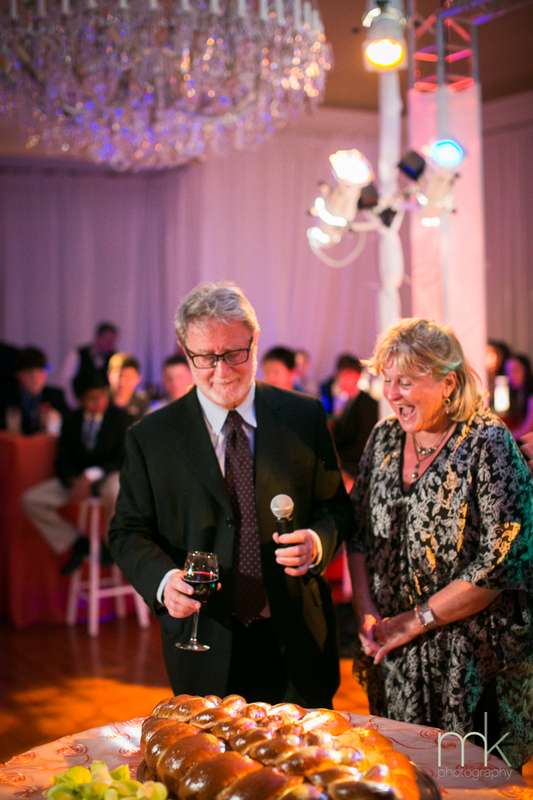 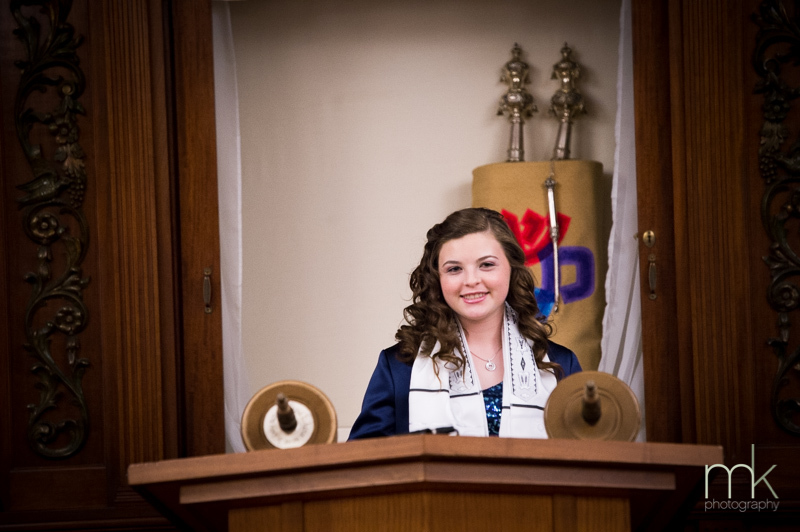 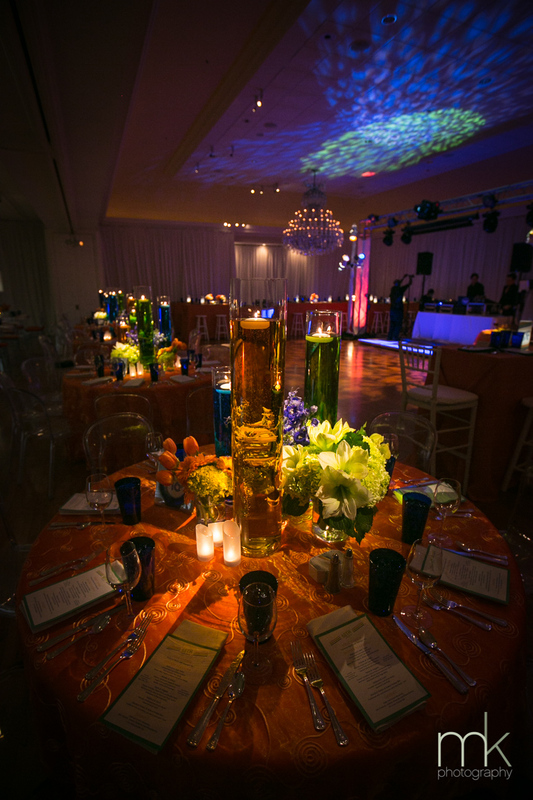 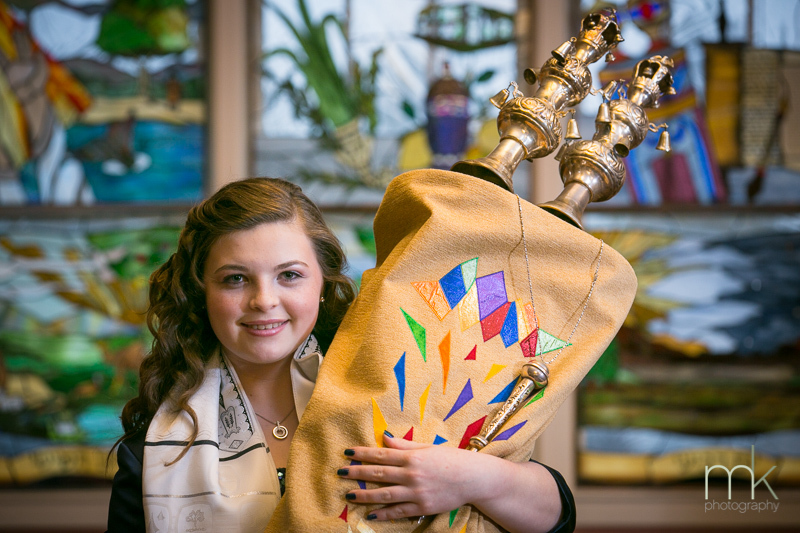 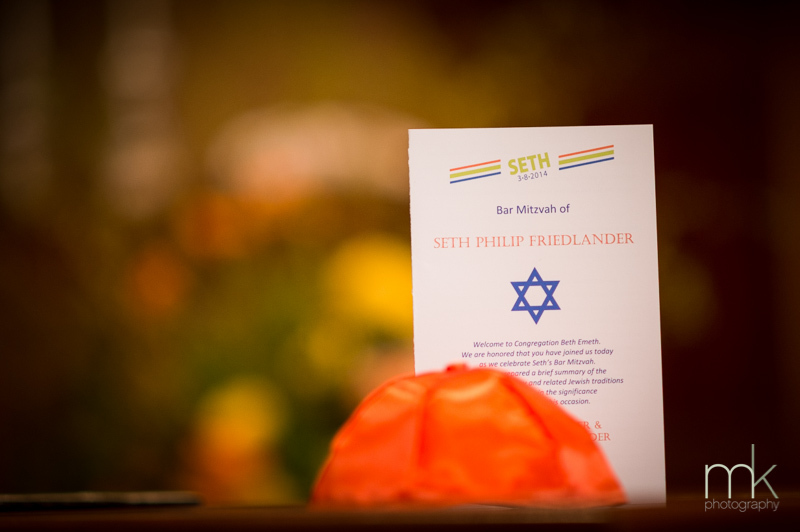 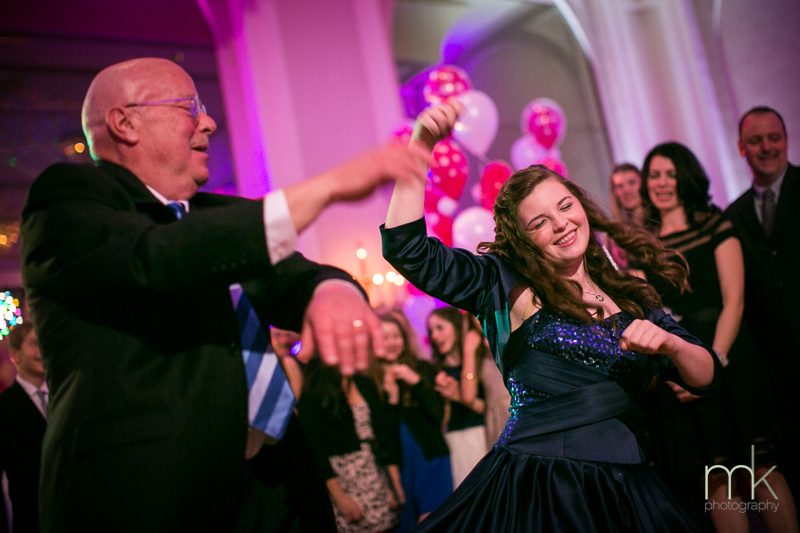 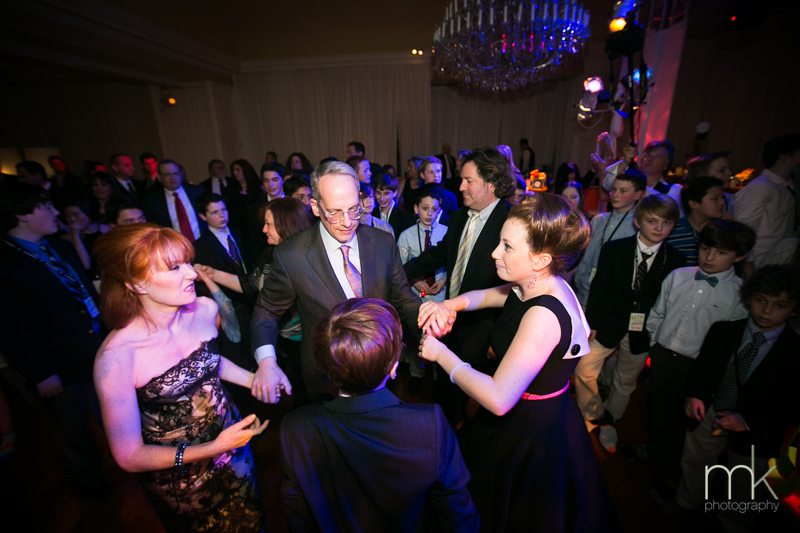 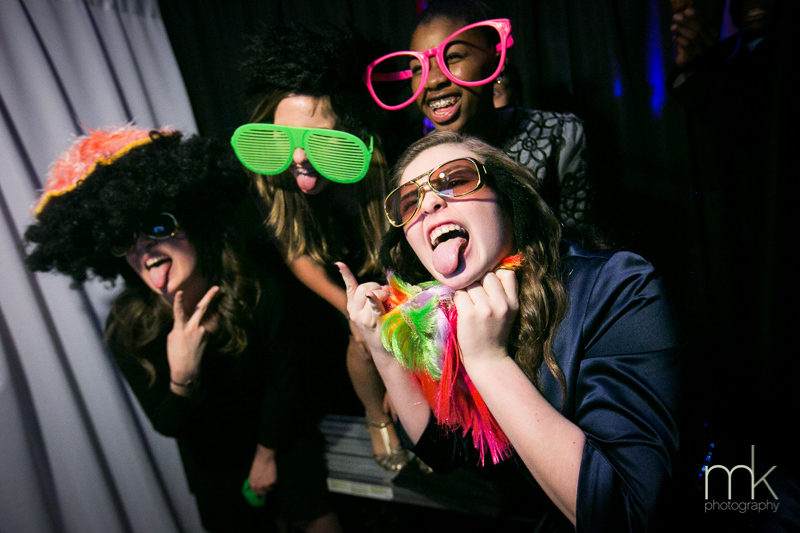 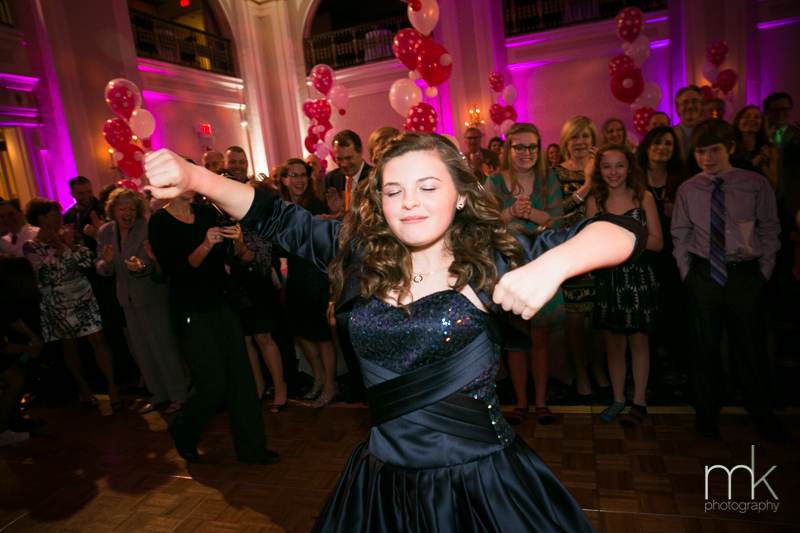 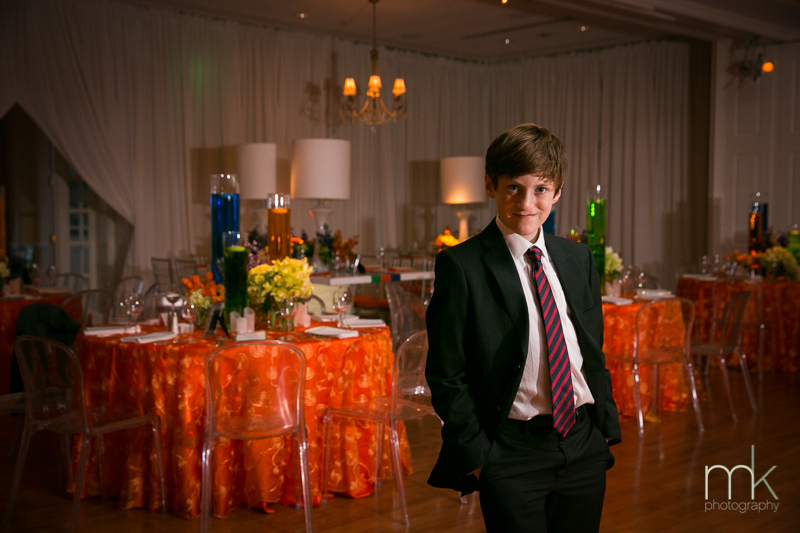 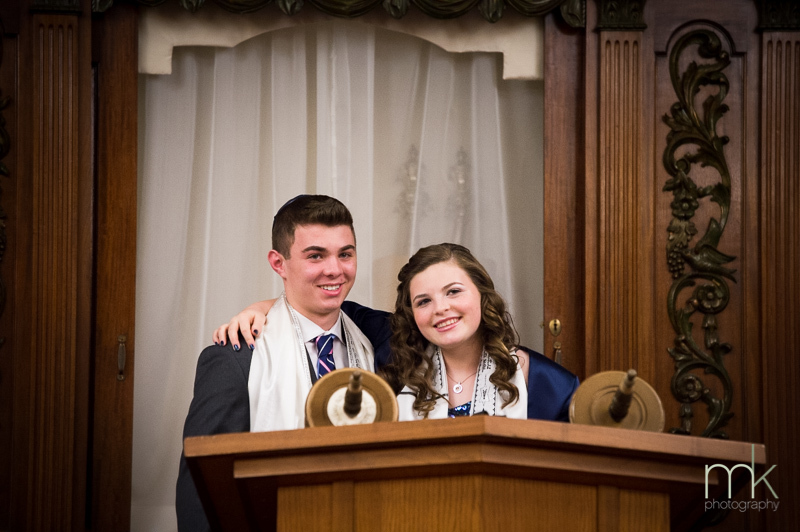 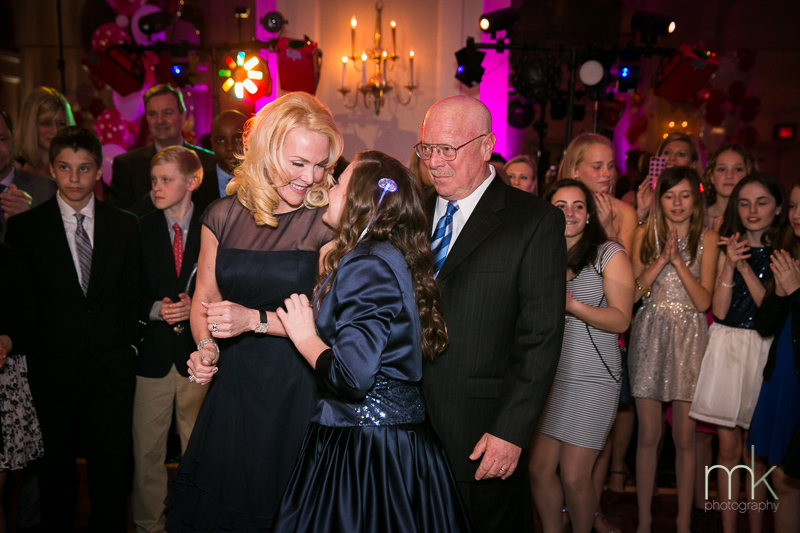 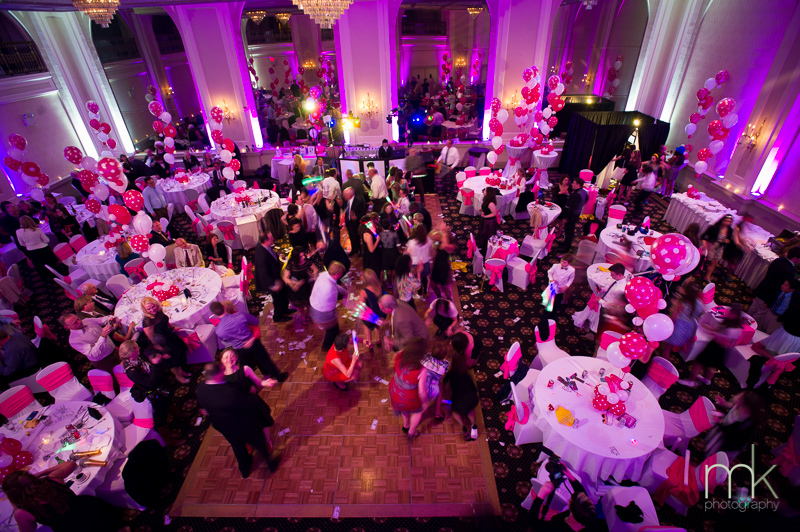 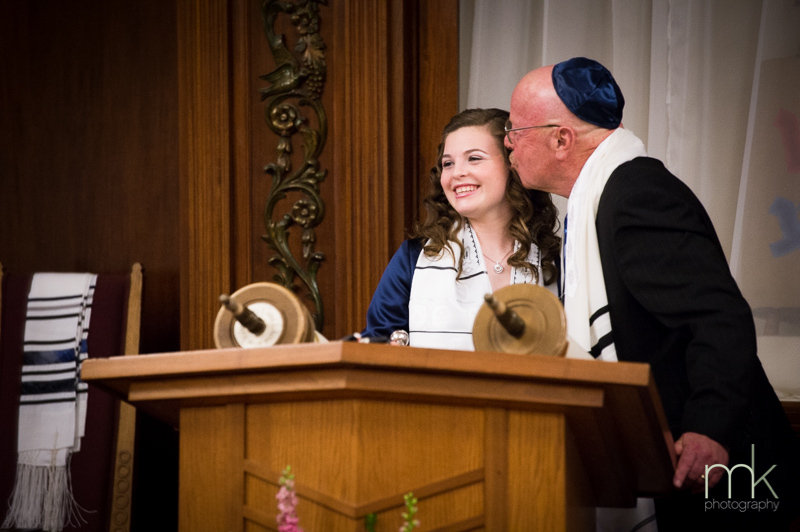 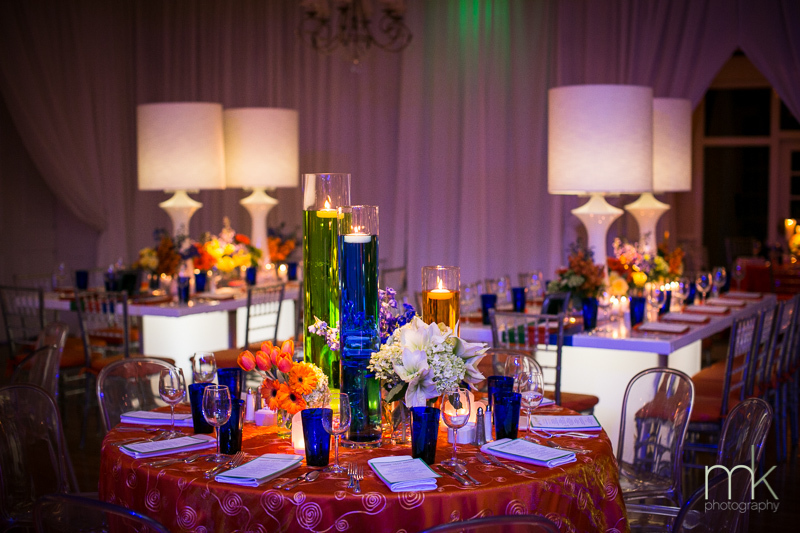 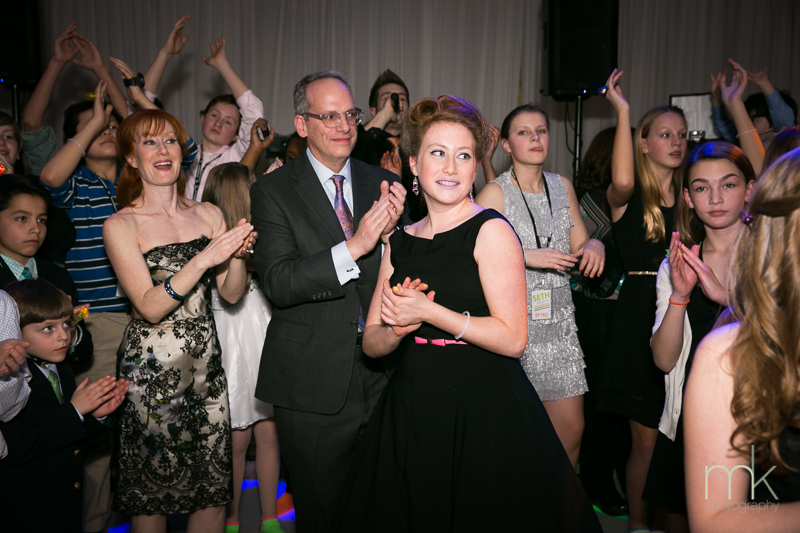 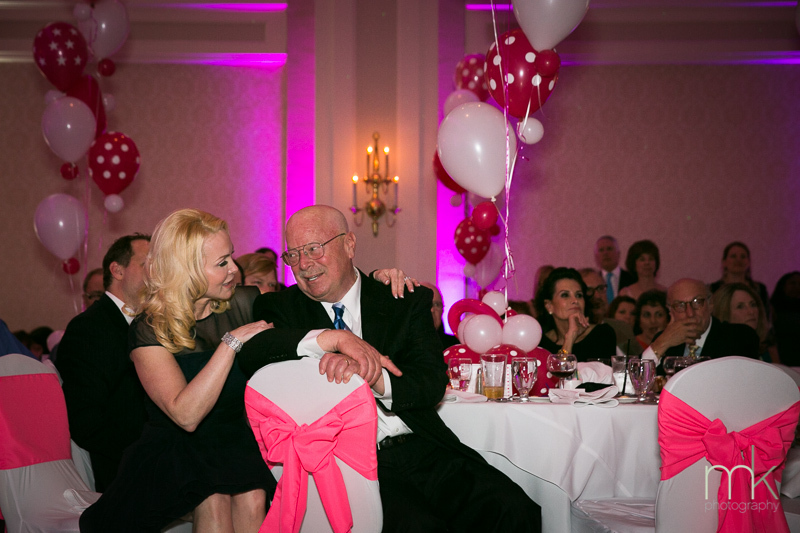 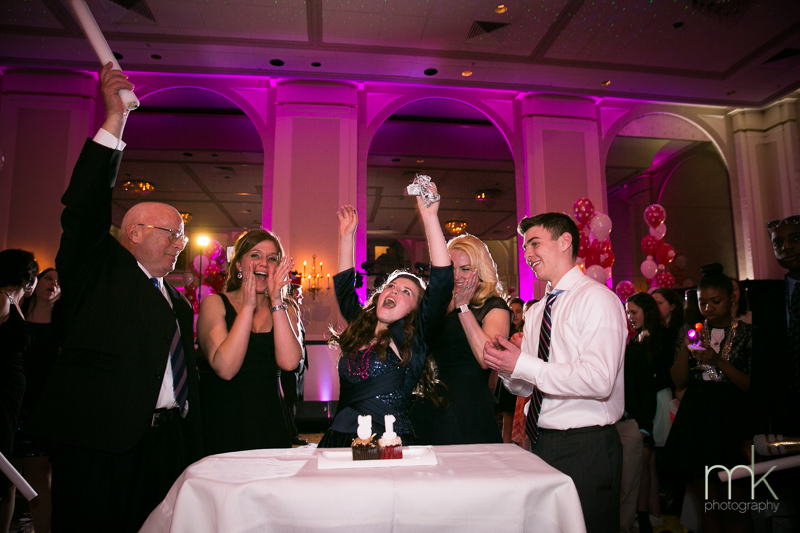 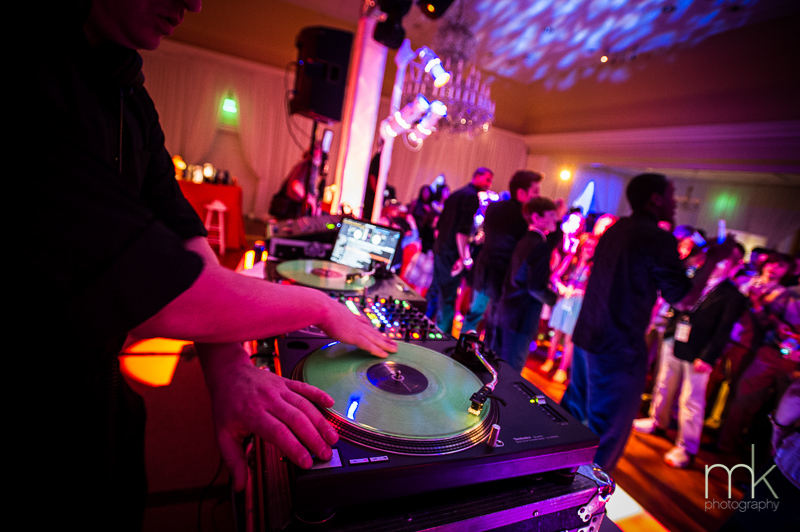 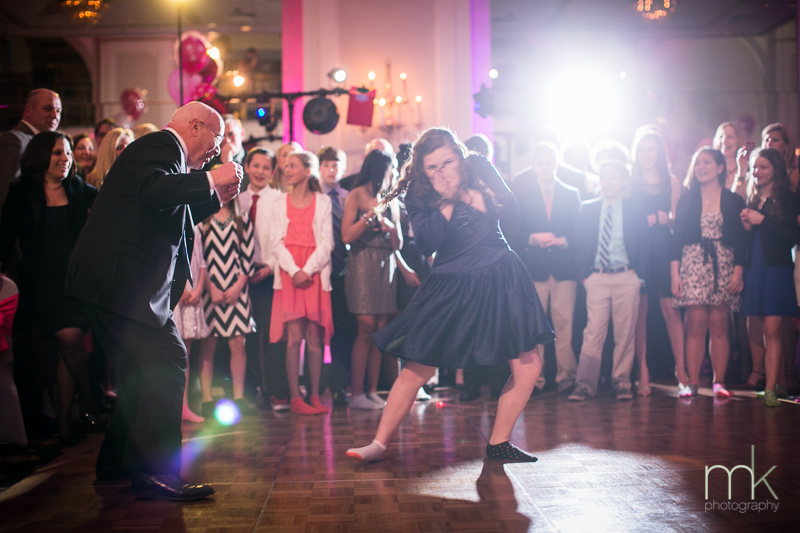 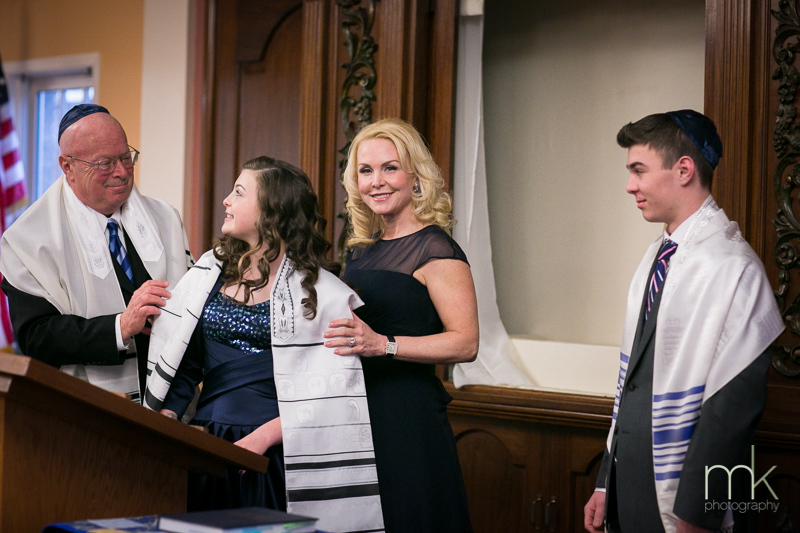 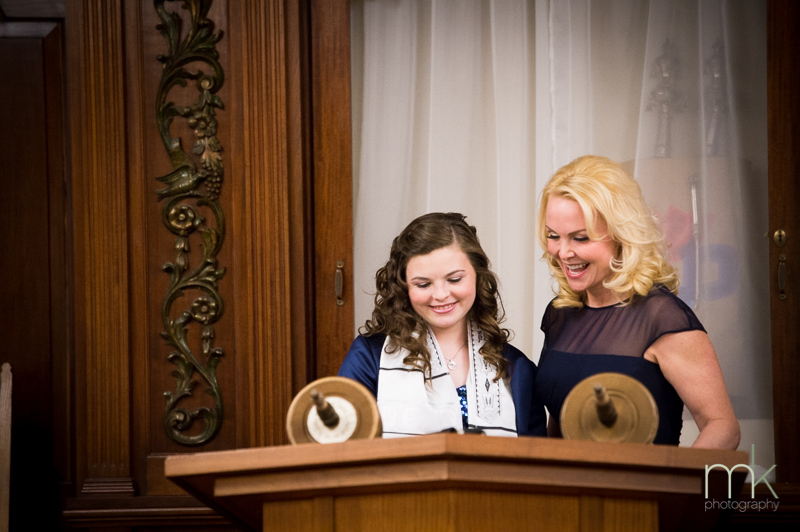 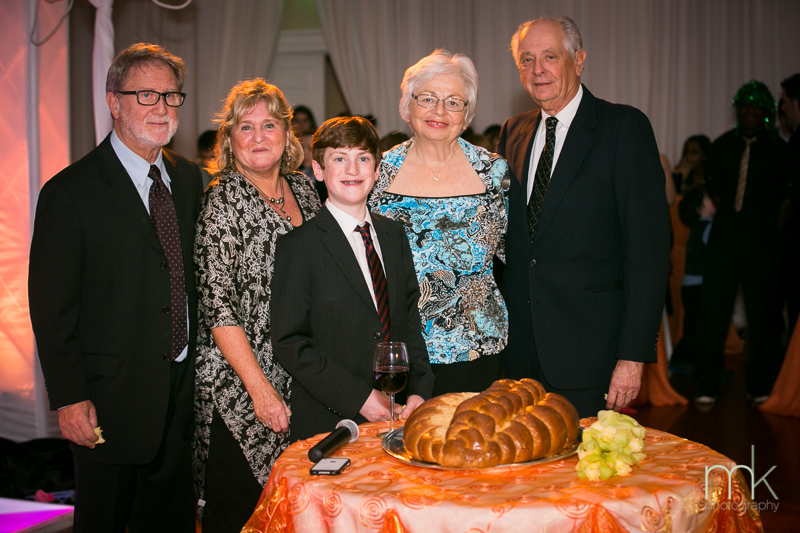 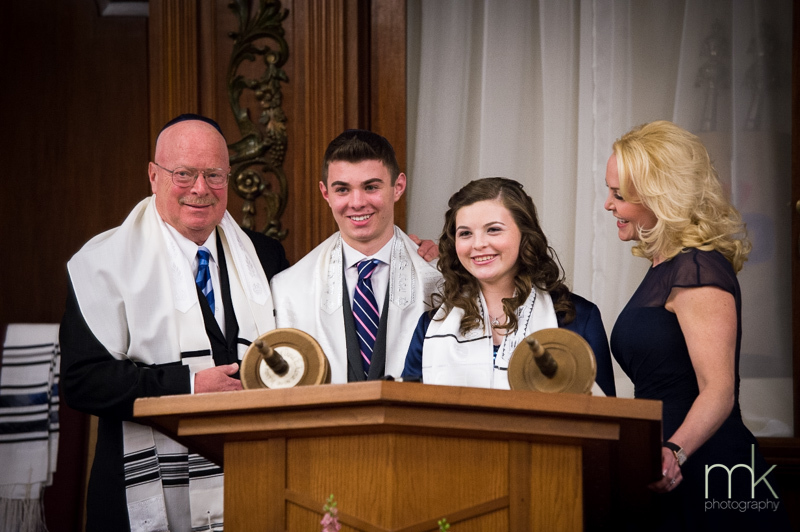 Abby’s Bat Mitzvah was a colorful, memorable celebration! 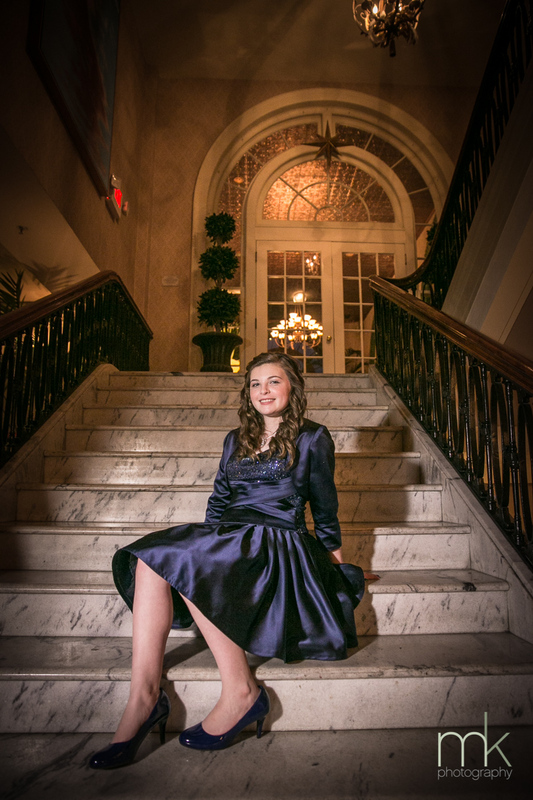 Abby chose a timeless navy party dress and had a manicure to match. 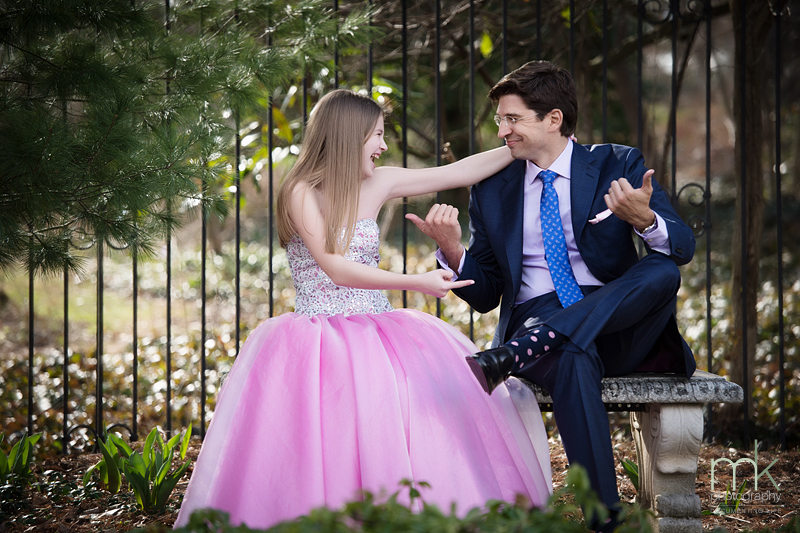 She had a special performance with her dad for the father/daughter dance that they practiced weeks beforehand. 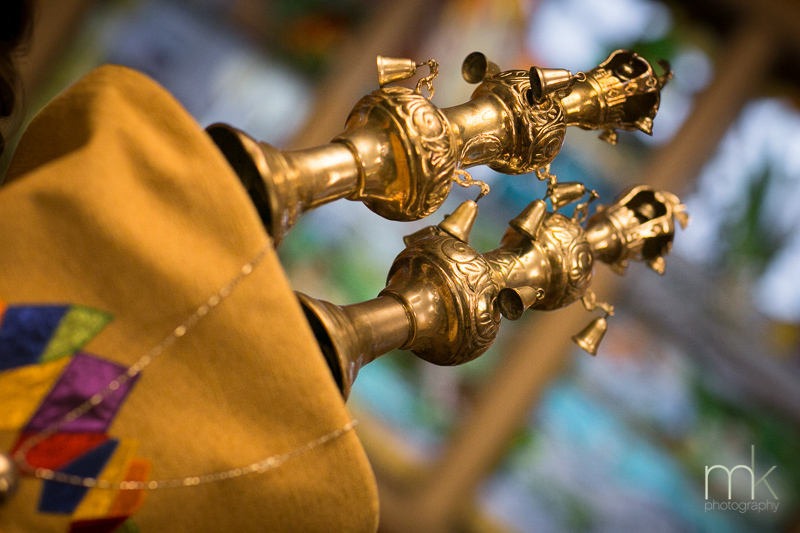 And, we have three words for you: Russian Bottle Dancers! 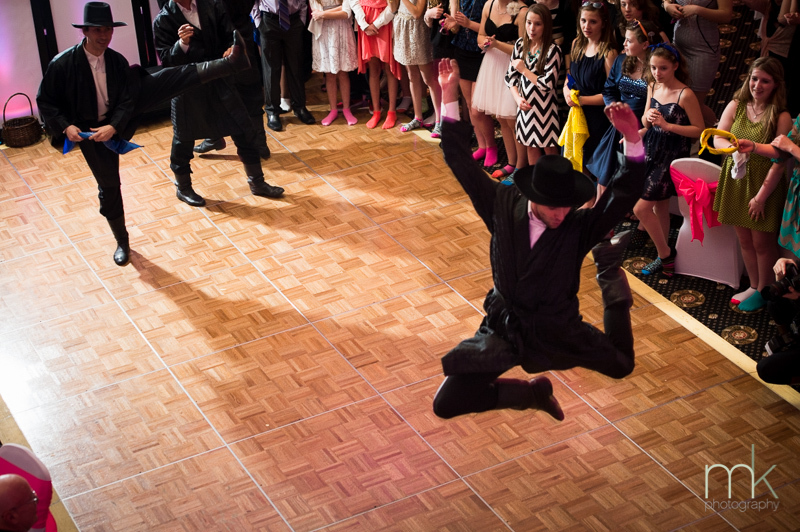 Such a unique and spectacular performance! 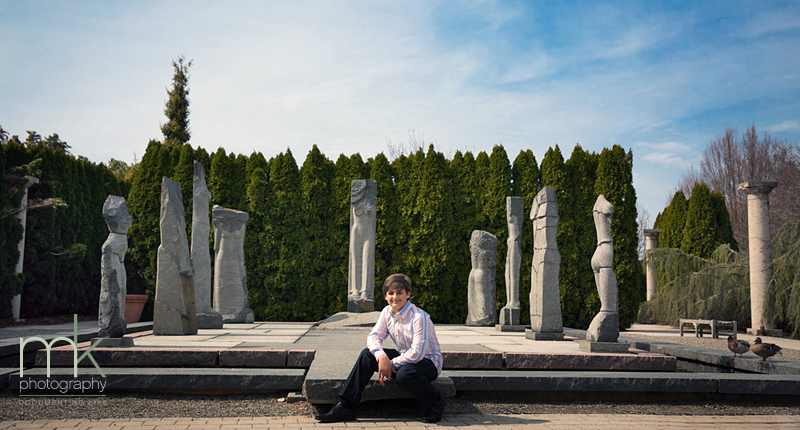 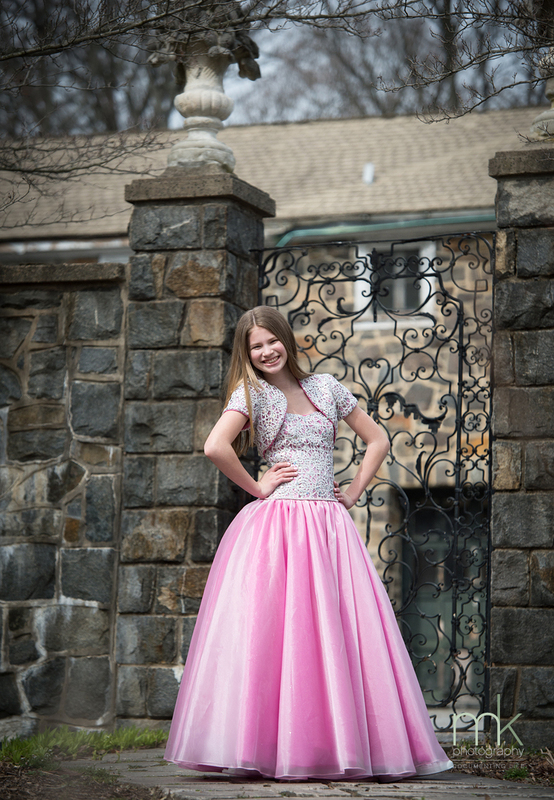 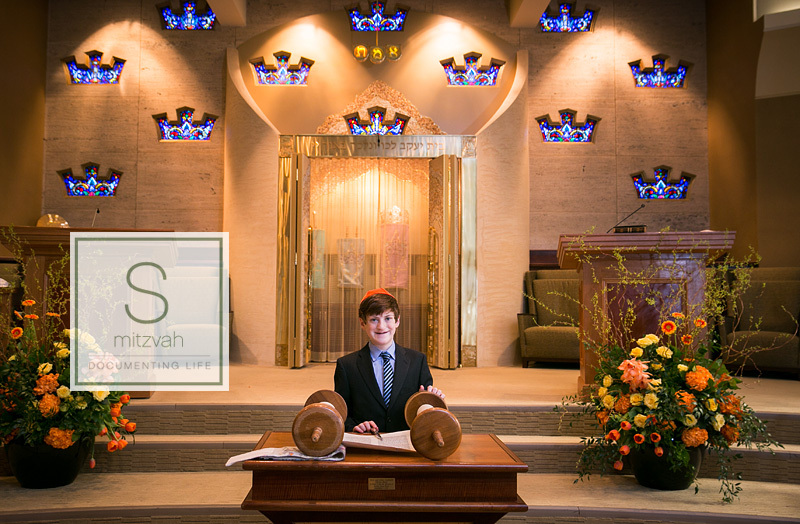 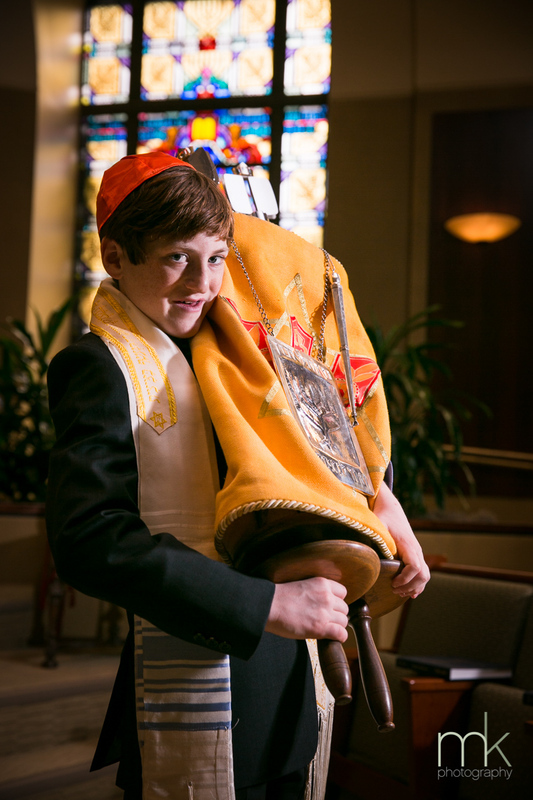 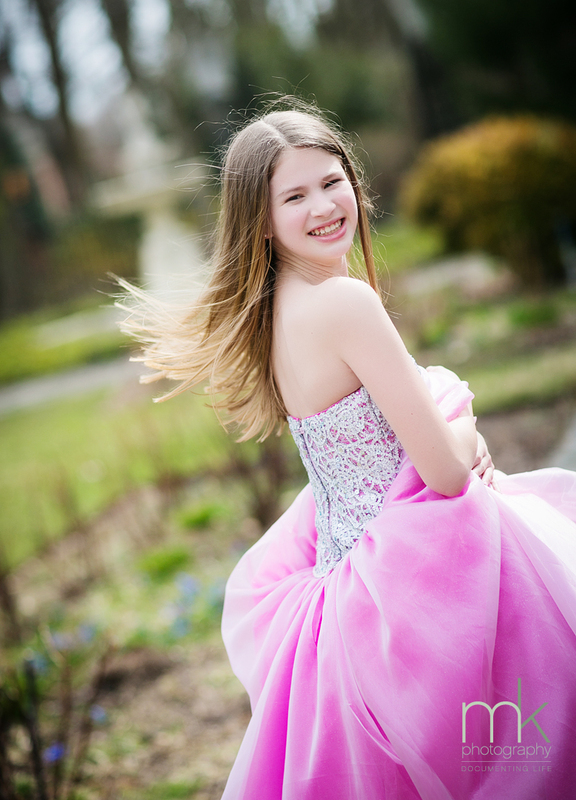 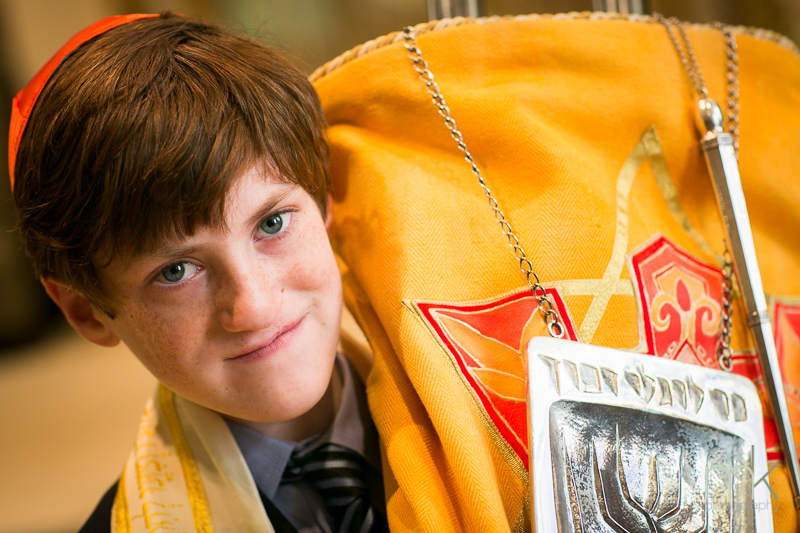 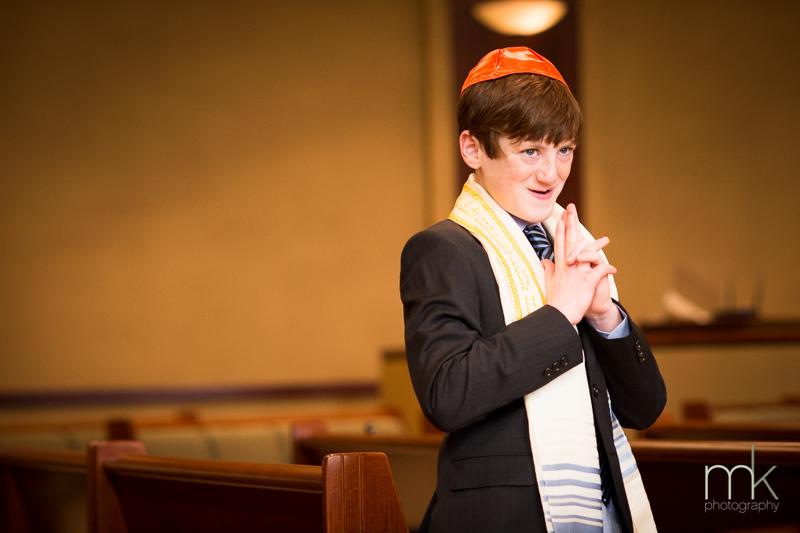 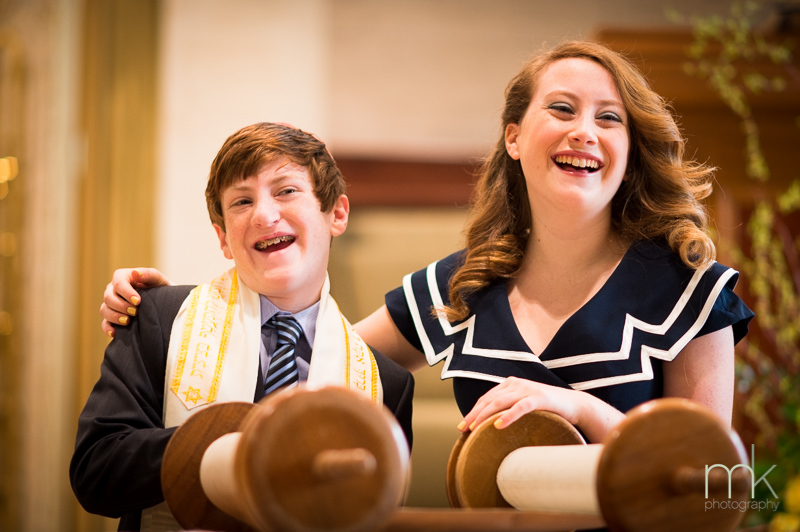 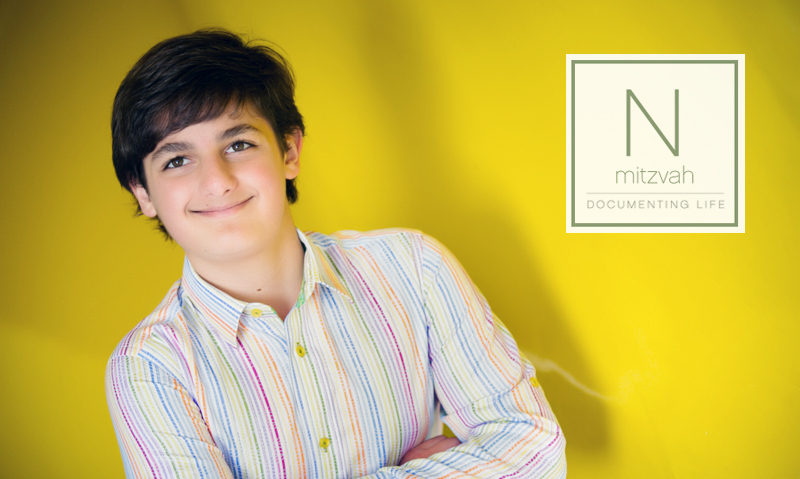 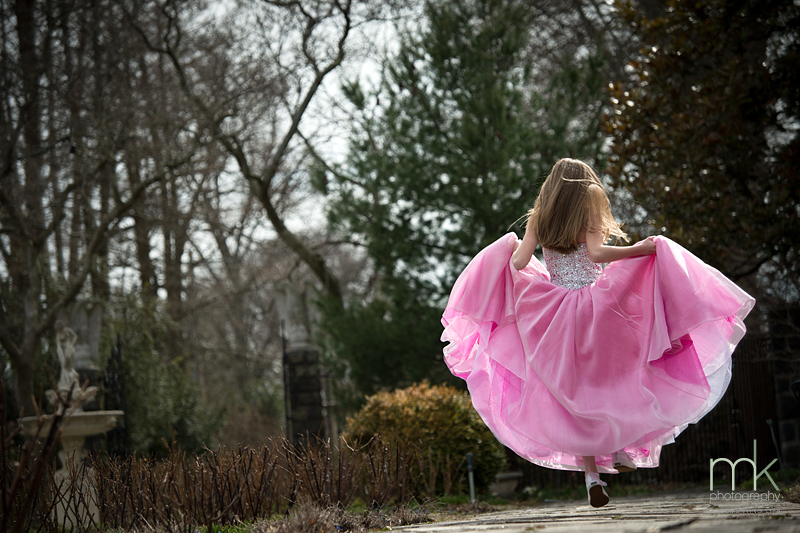 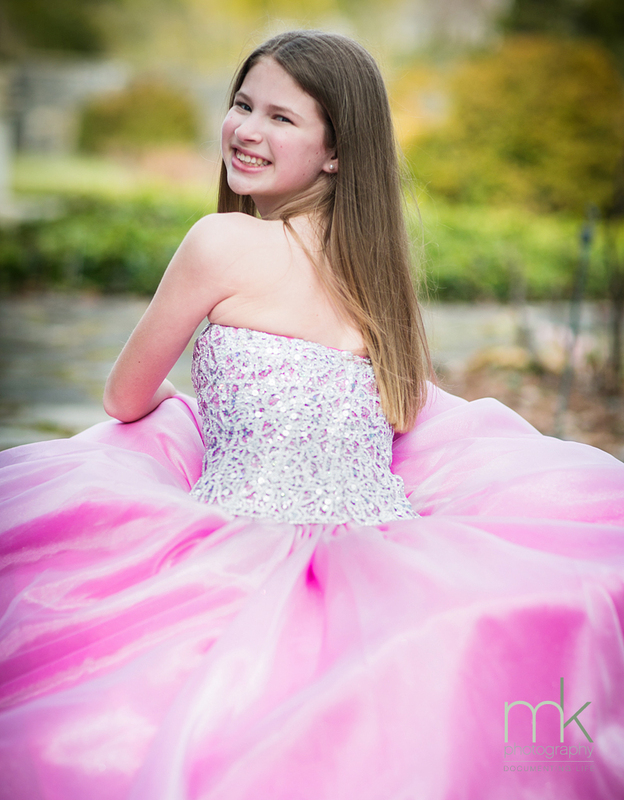 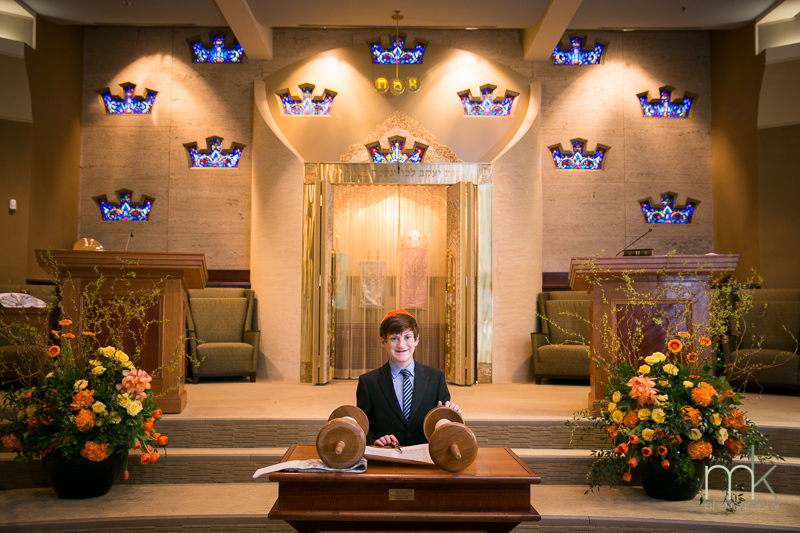 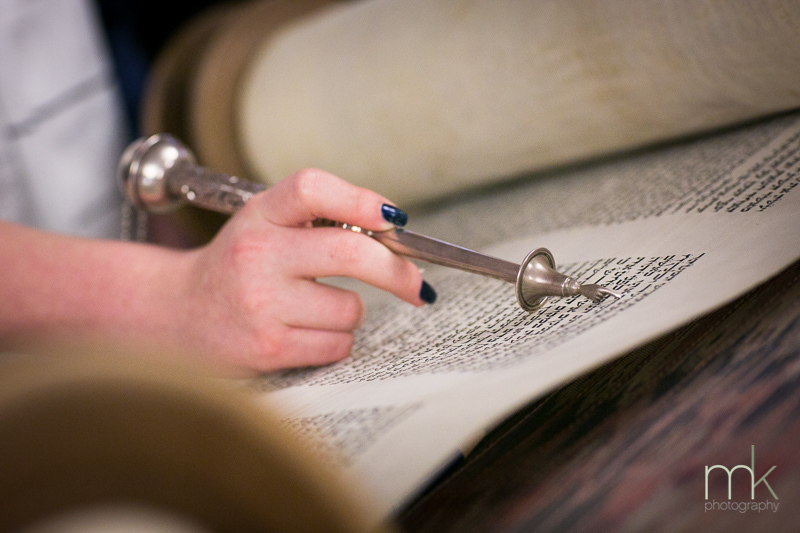 Special thanks to central New Jersey photographer Janine of Janine Collette Photography for the referral and opportunity to capture this Mitzvah! 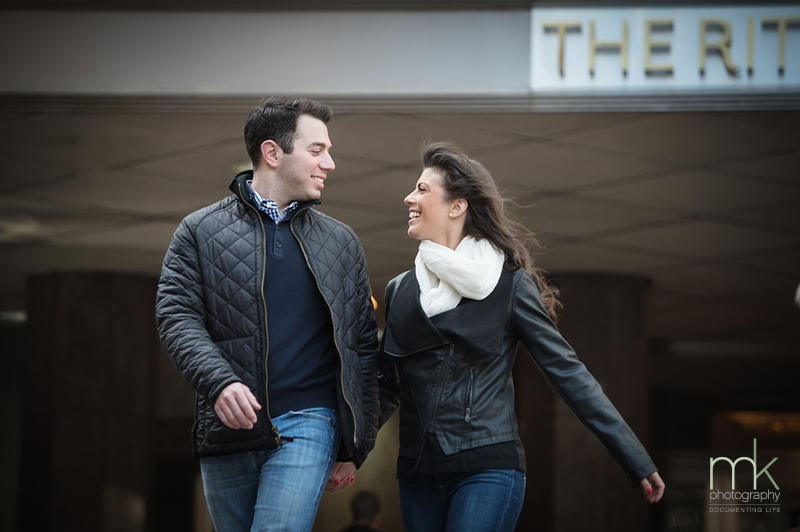 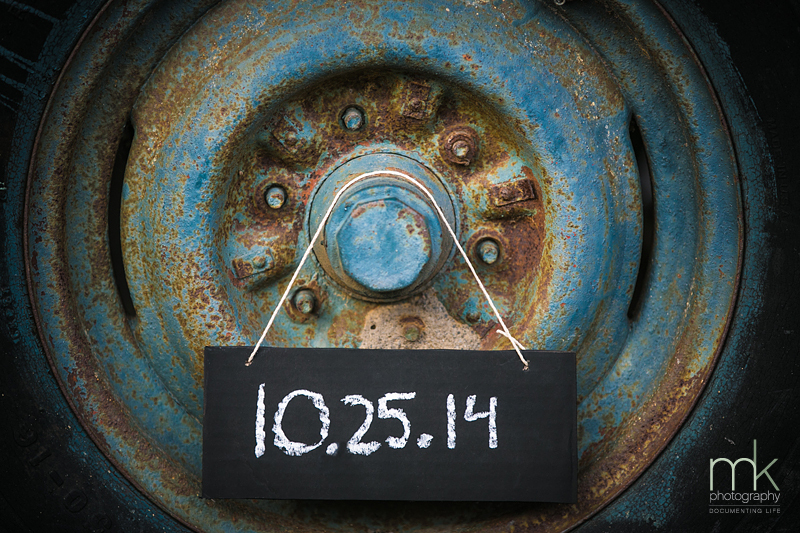 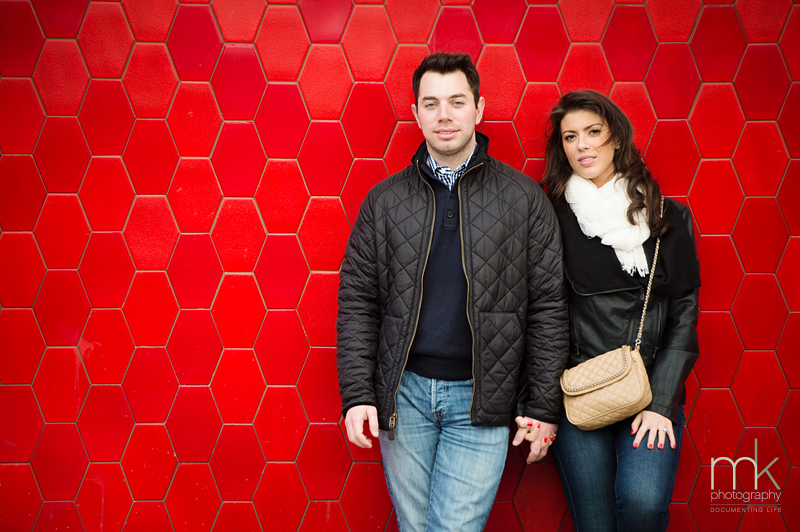 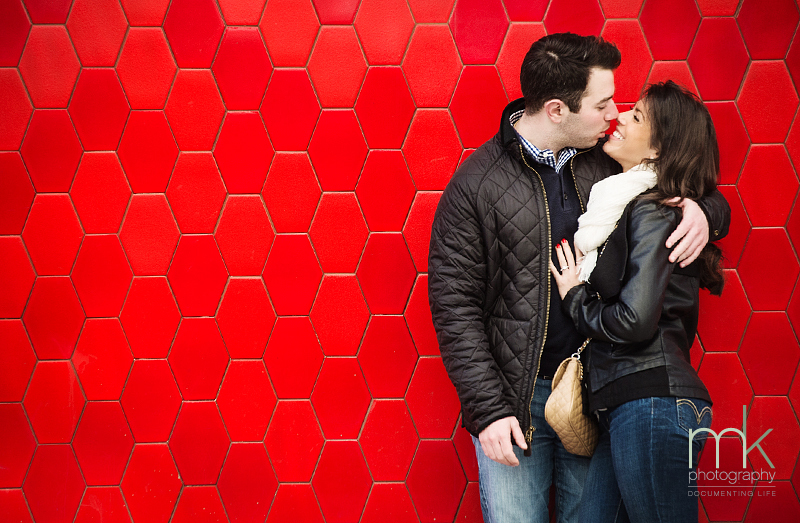 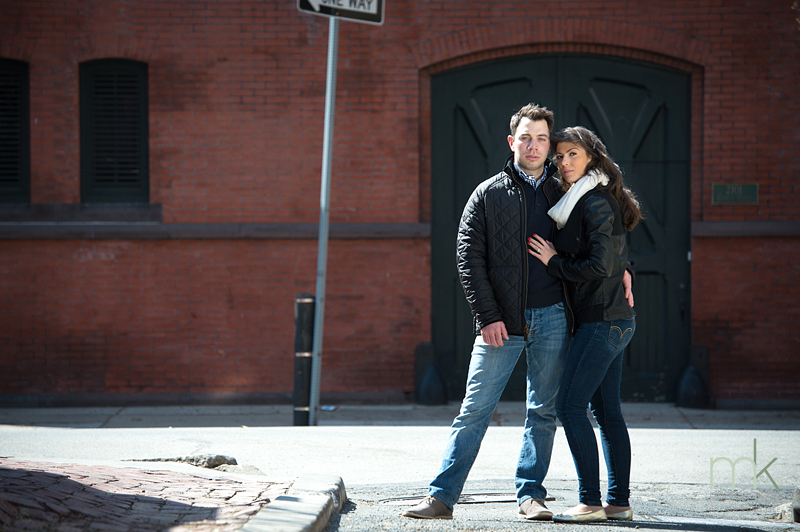 This chic camera-ready Philadelphia couple are scheduled to wed this coming September. 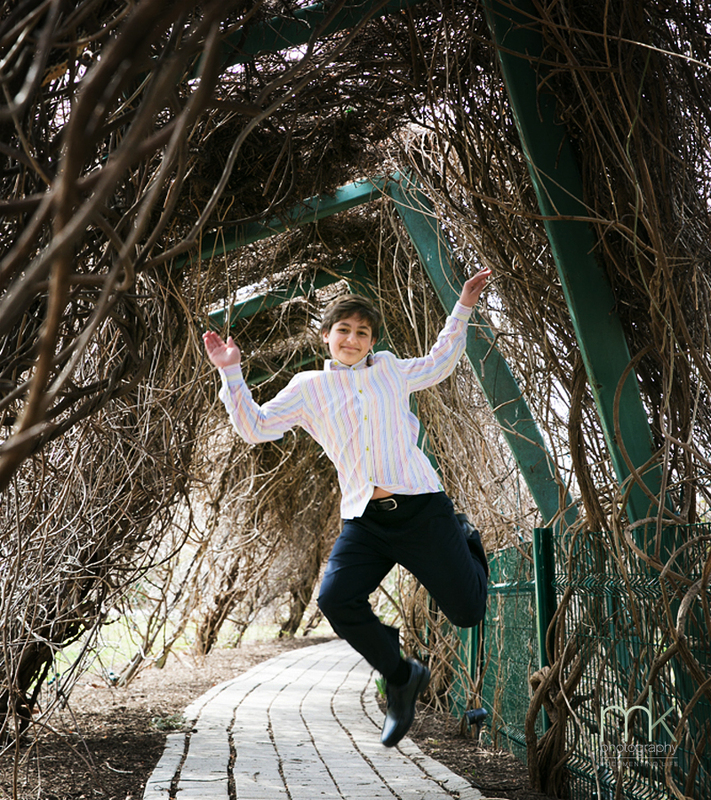 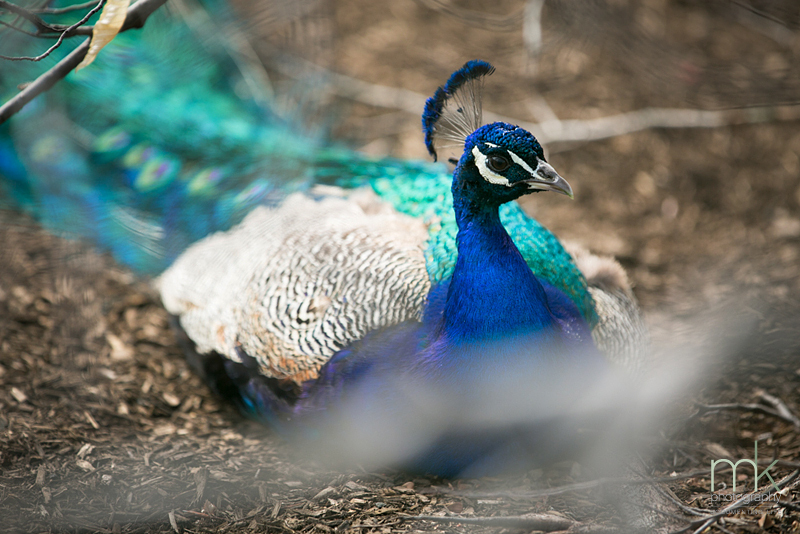 On the first day of Spring this year we celebrated with one of our own! 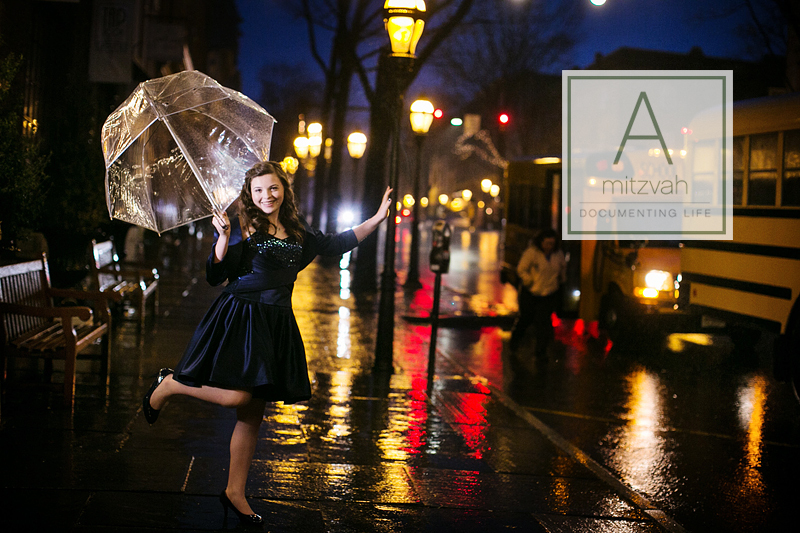 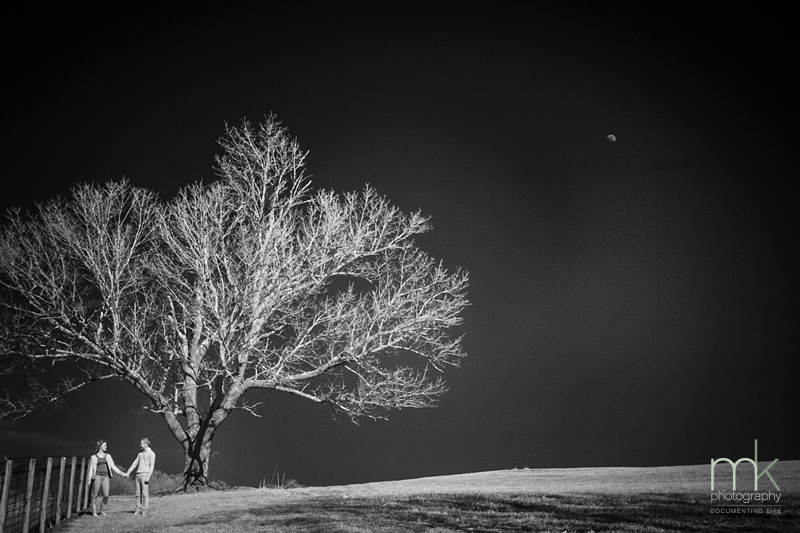 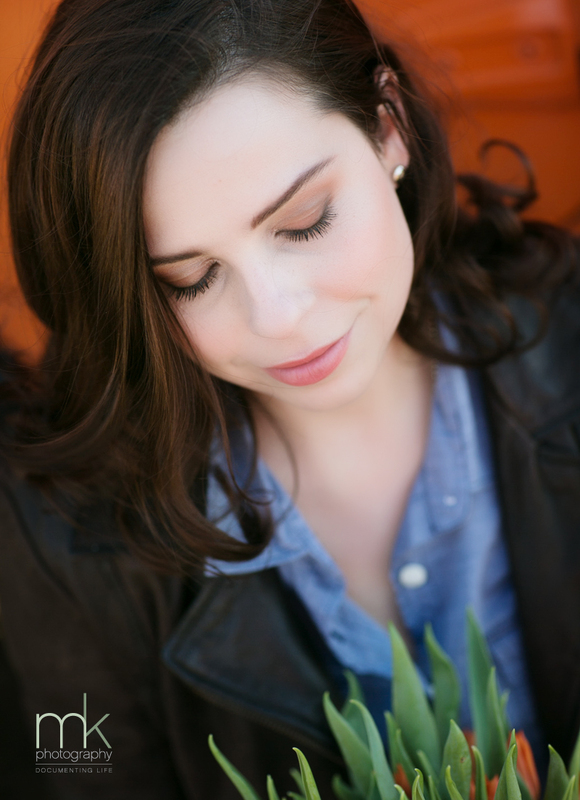 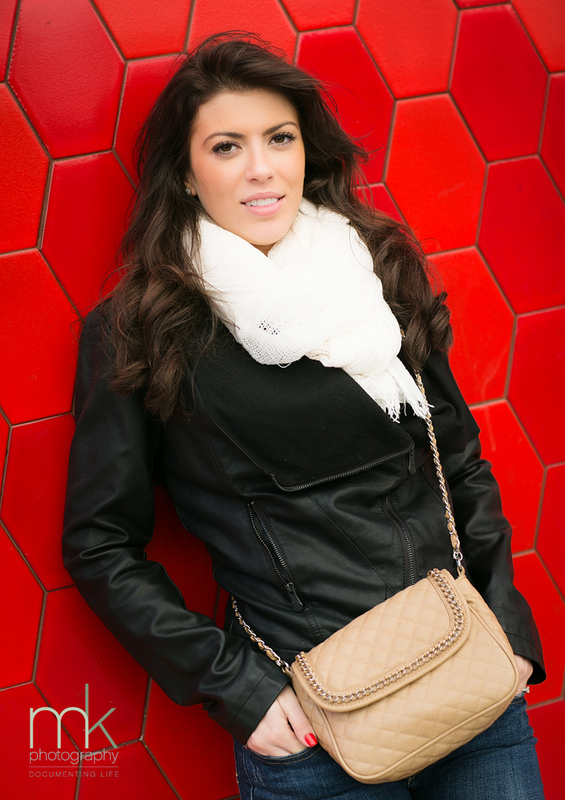 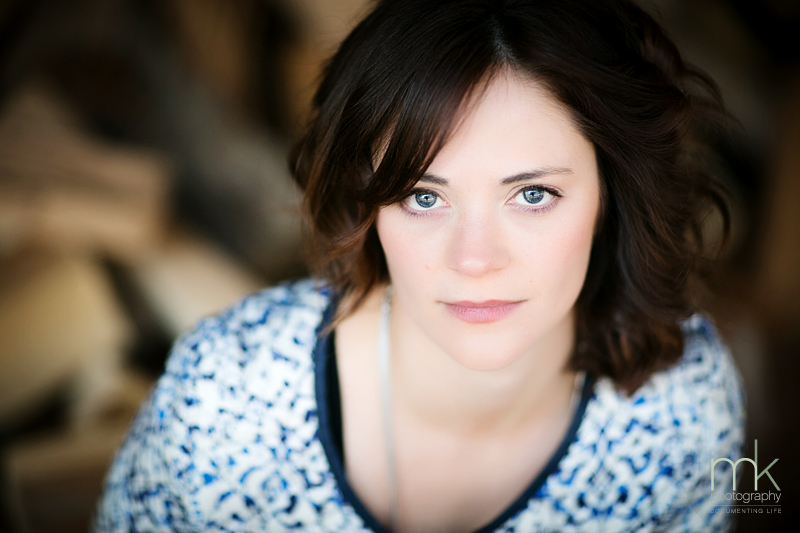 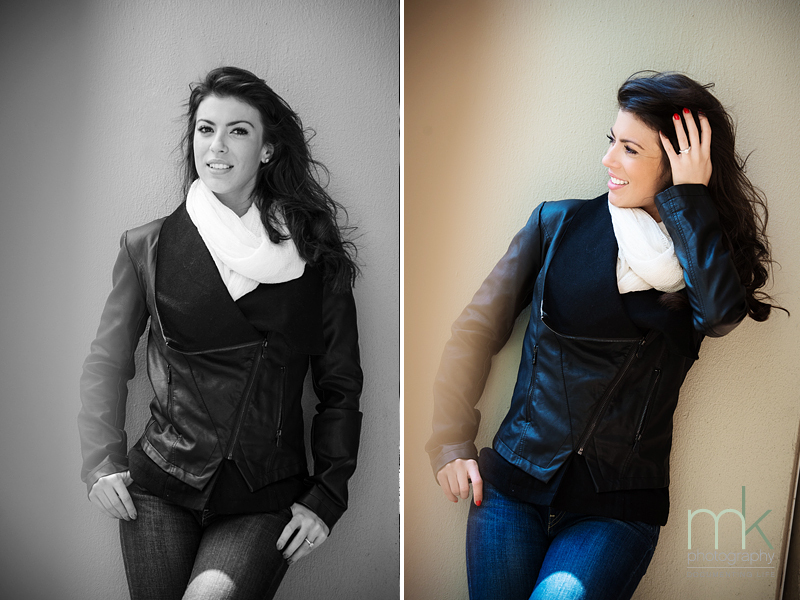 You might recognize Alex because she works with us as part of the mkPhoto team and has helped us over the years capture your many milestone moments. 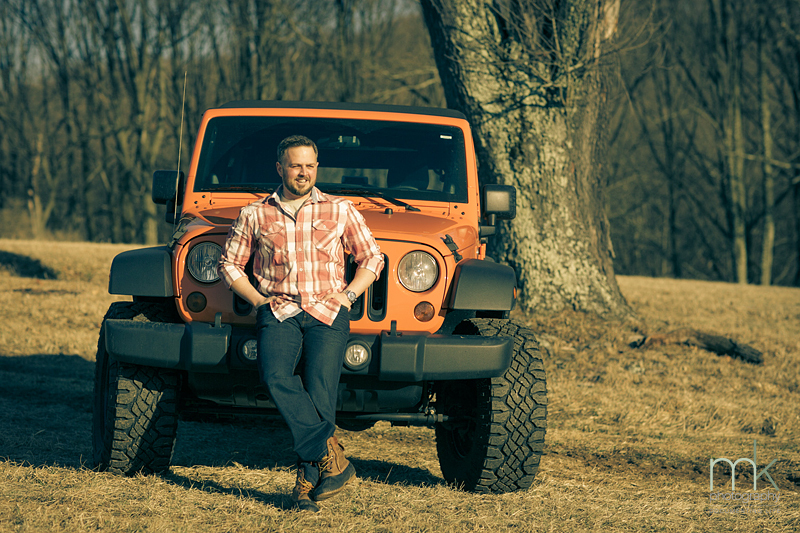 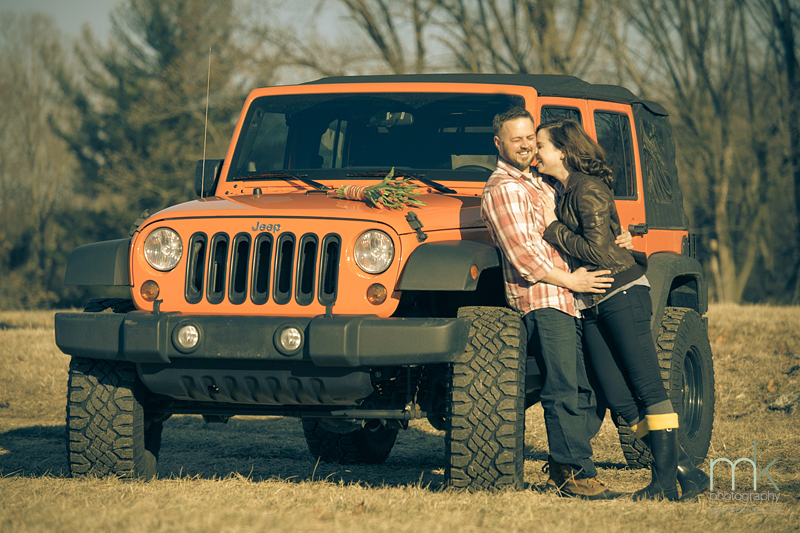 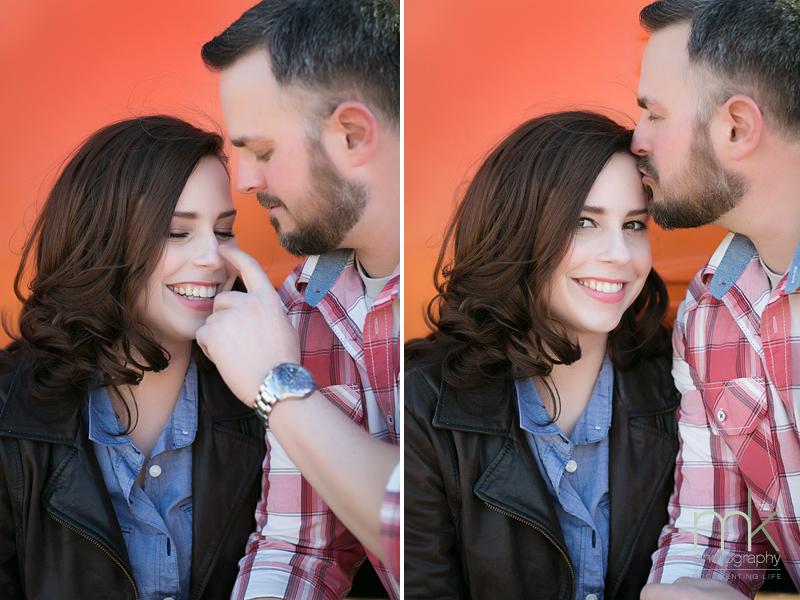 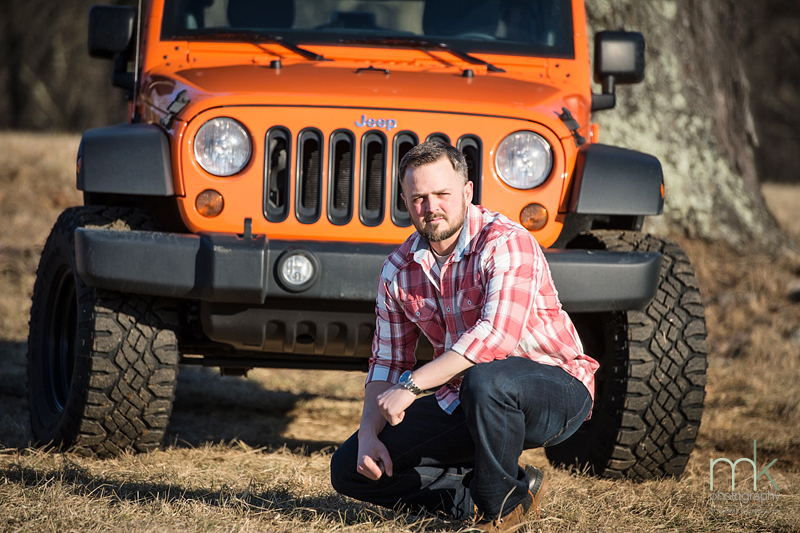 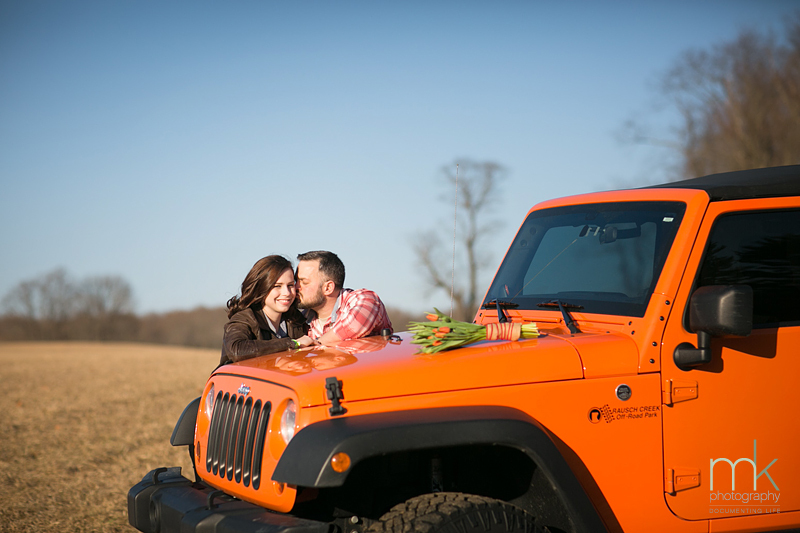 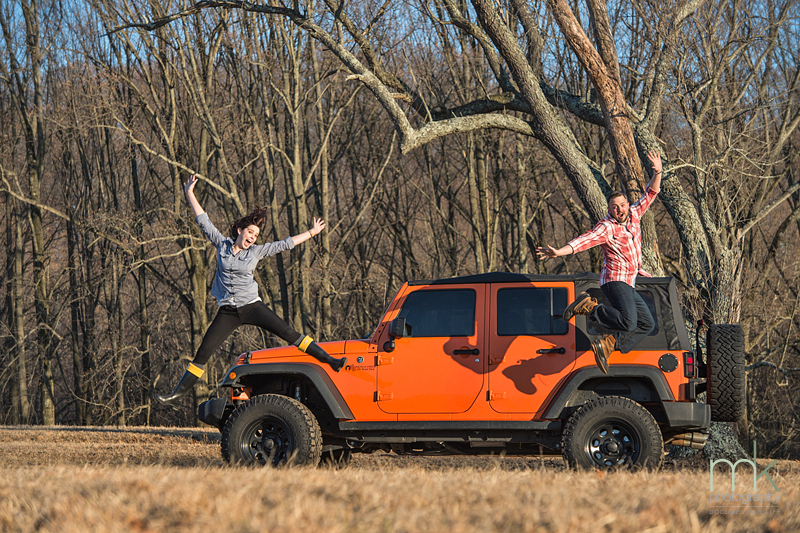 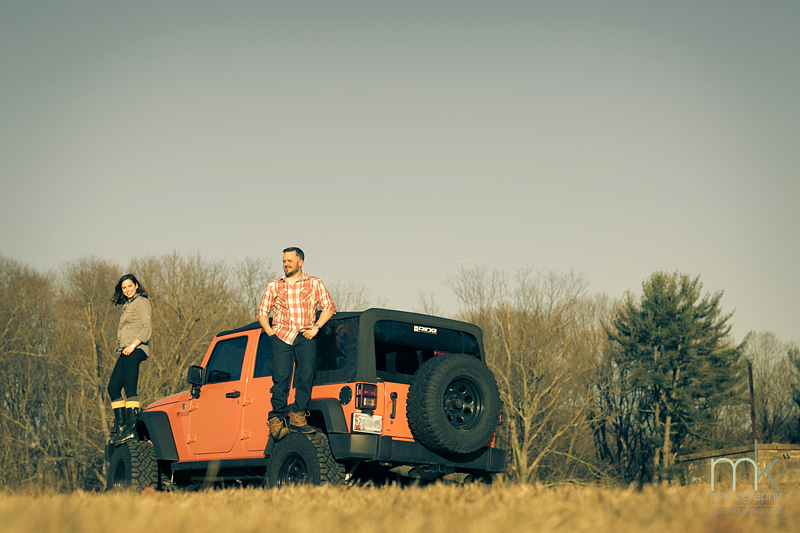 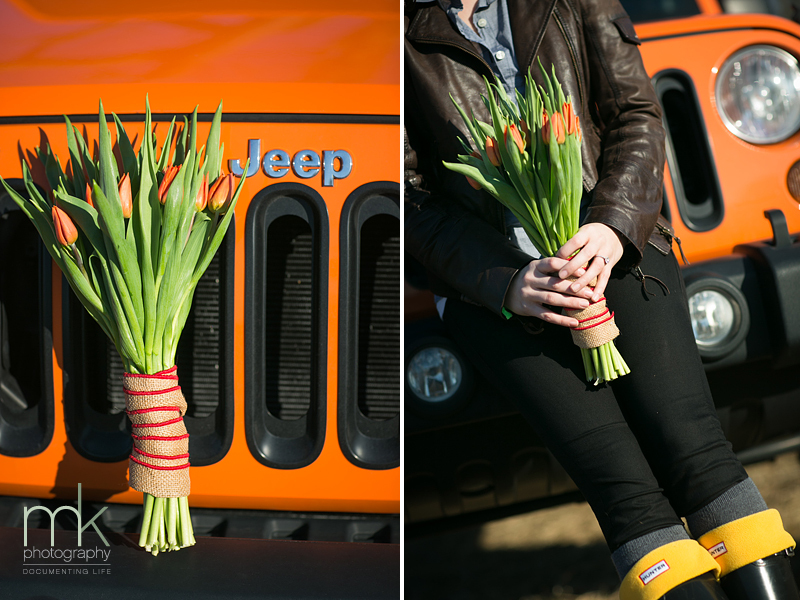 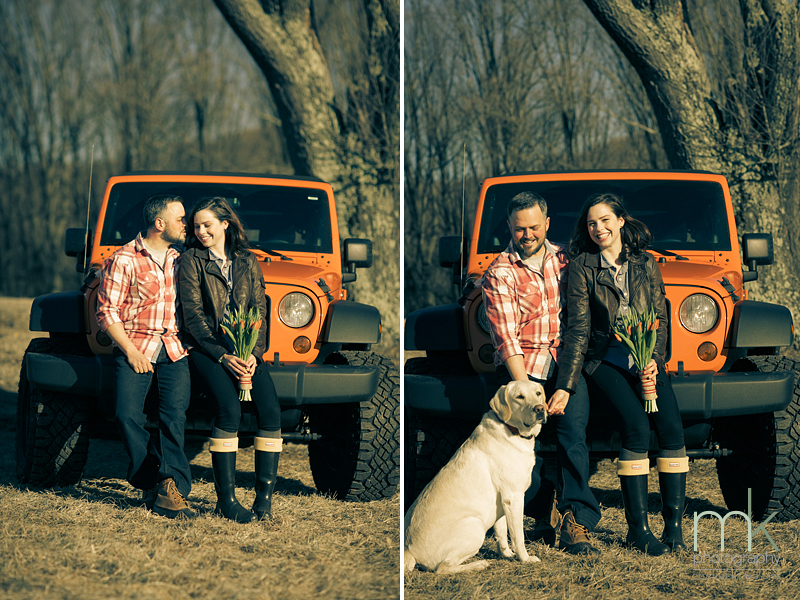 Alex and Michael’s fresh air engagement portraits feature their awesome orange Jeep and a mutual adoration for each other that glows even brighter. 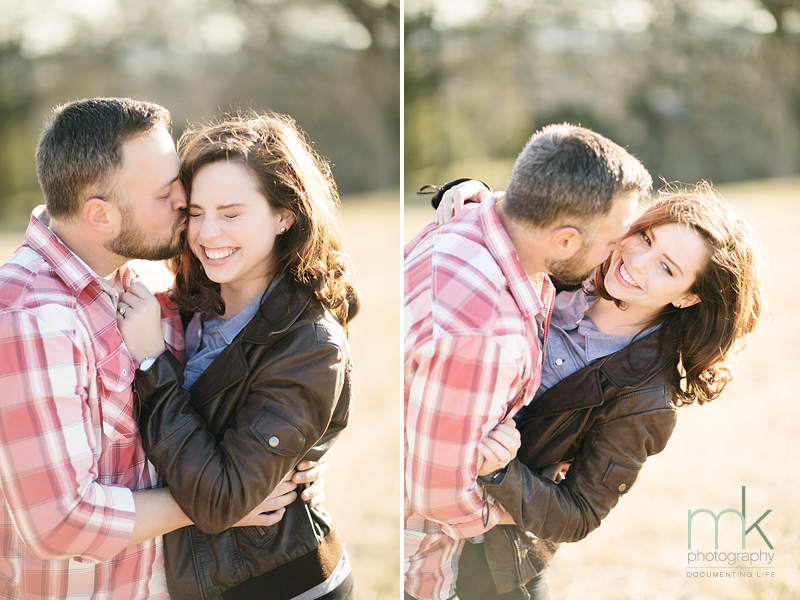 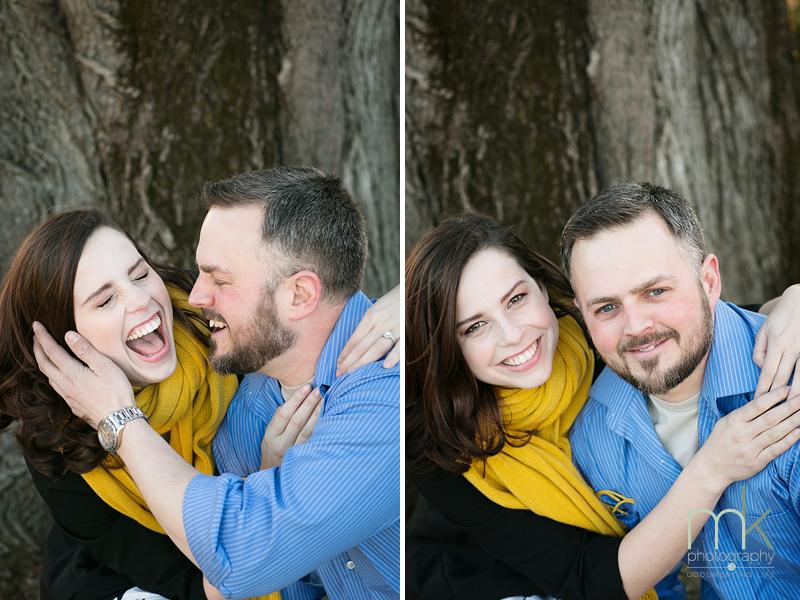 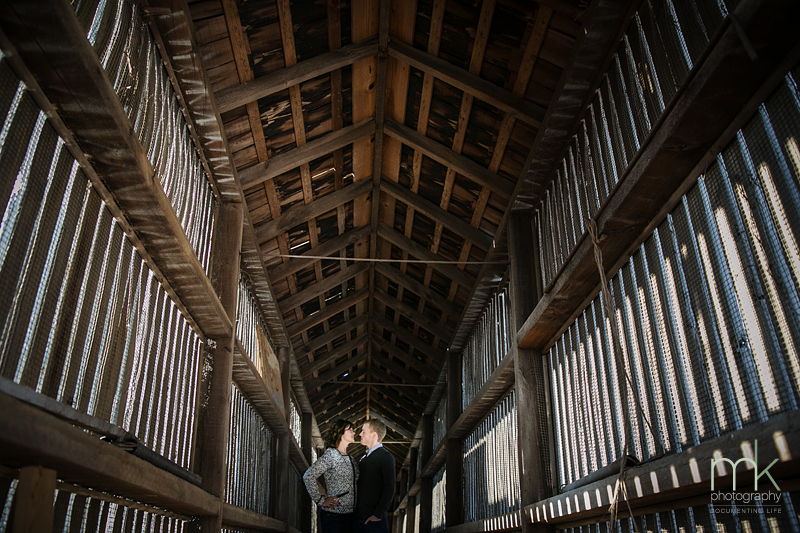 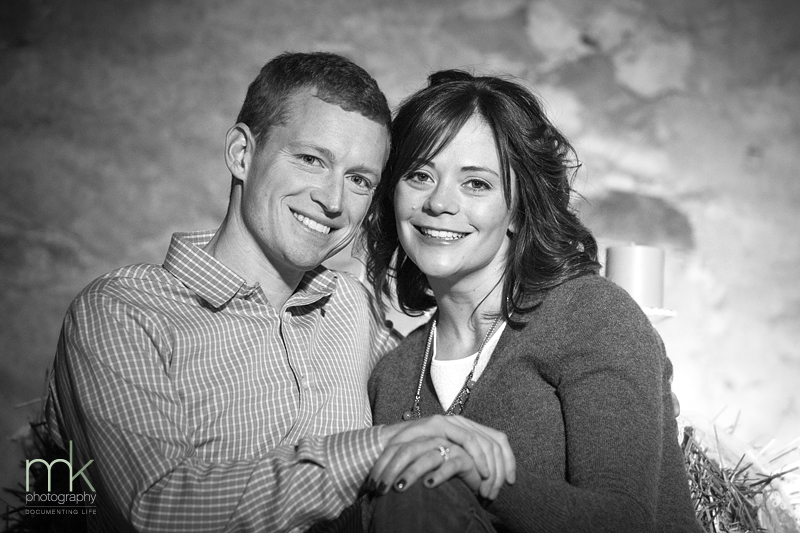 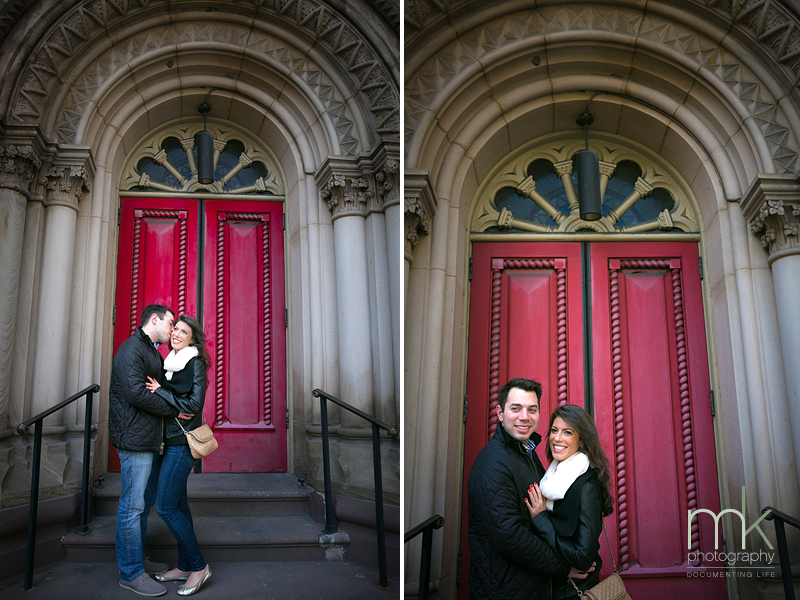 We absolutely cannot wait to be there for their wedding this November! 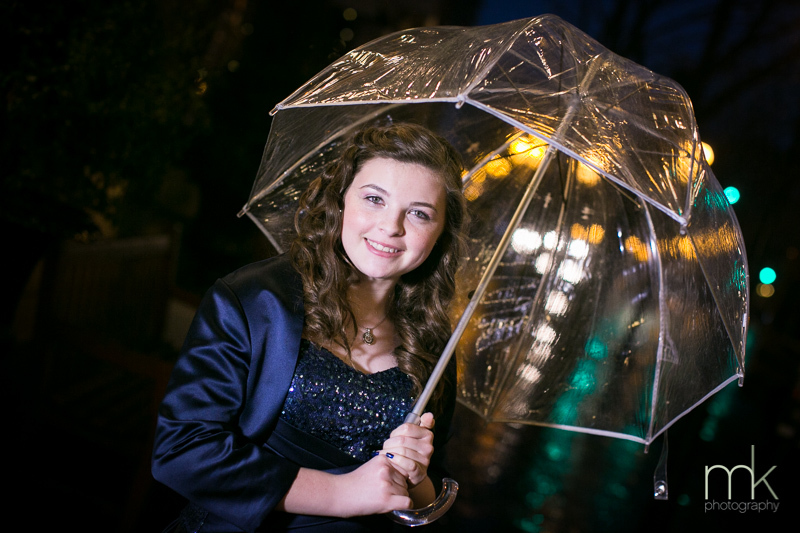 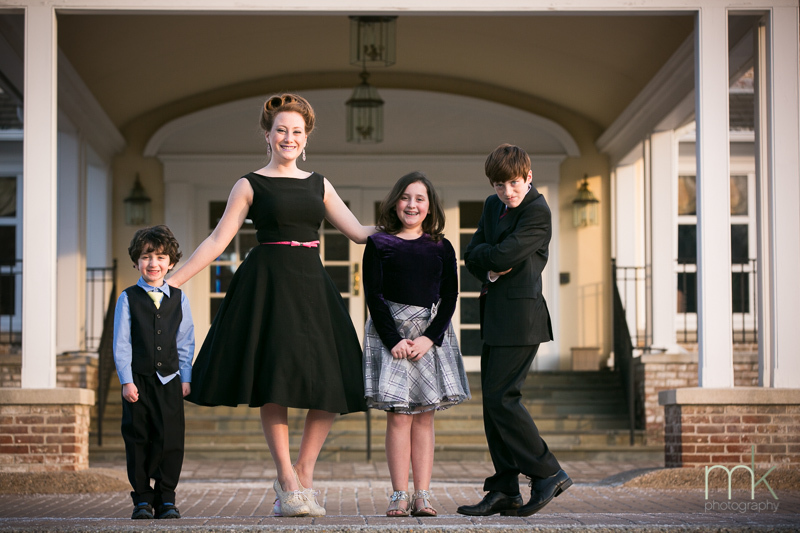 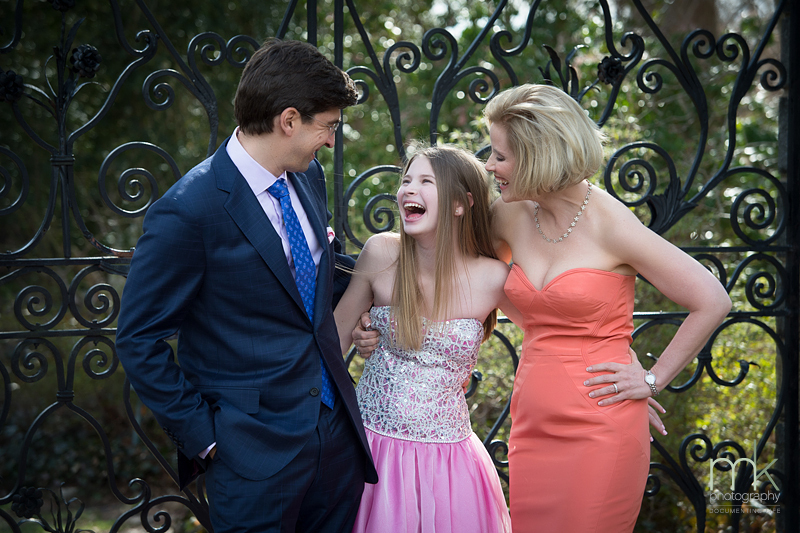 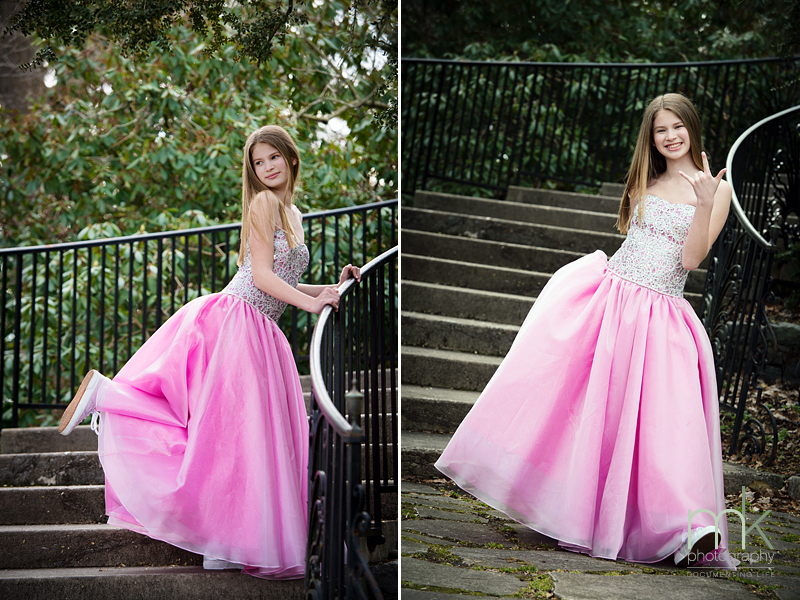 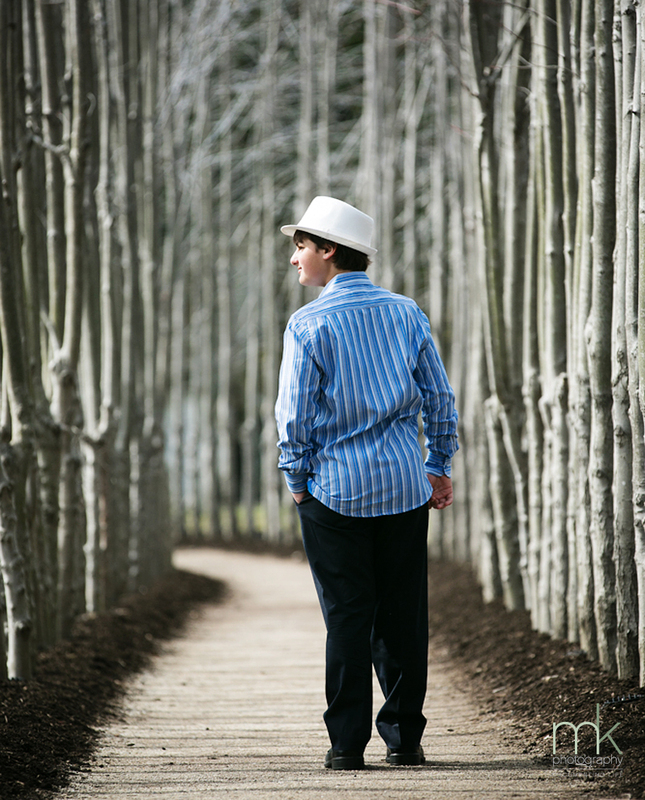 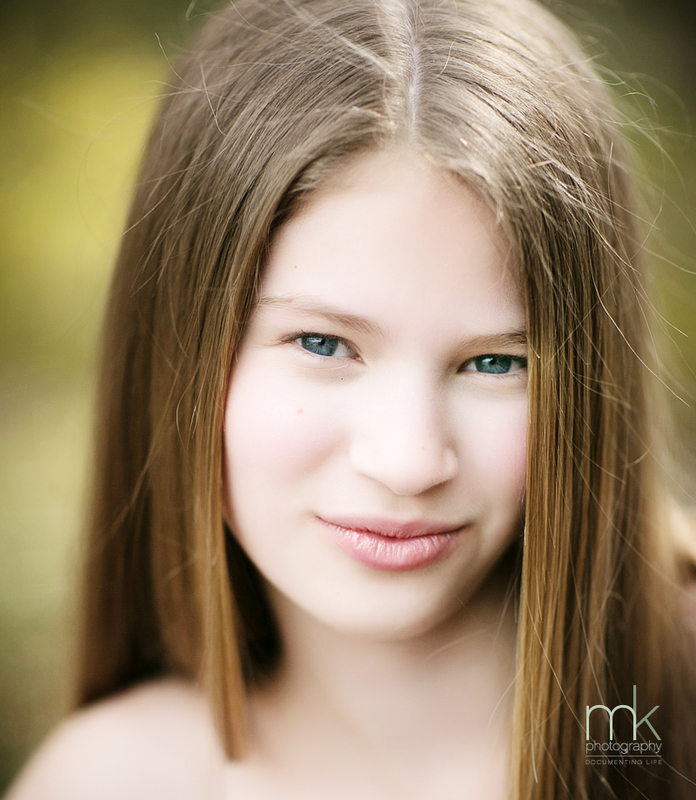 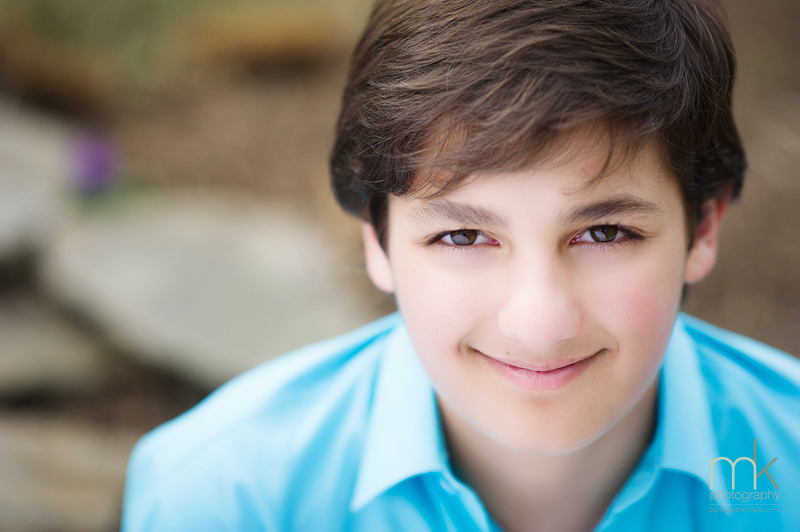 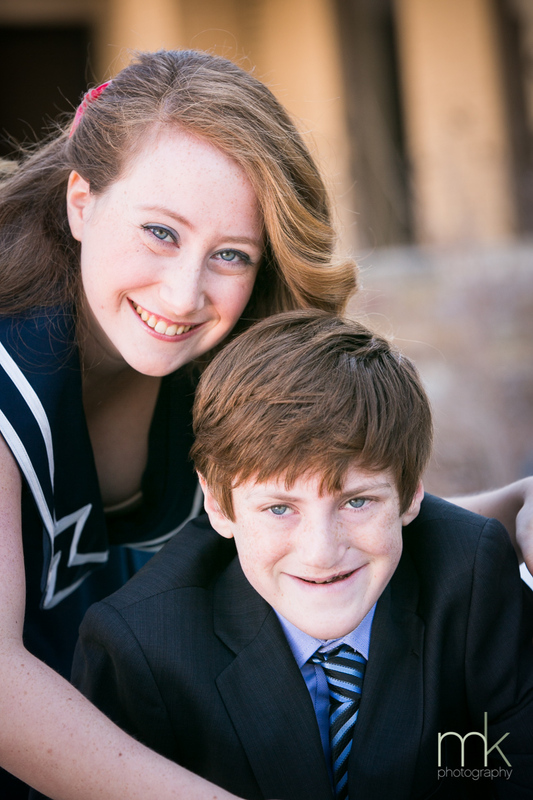 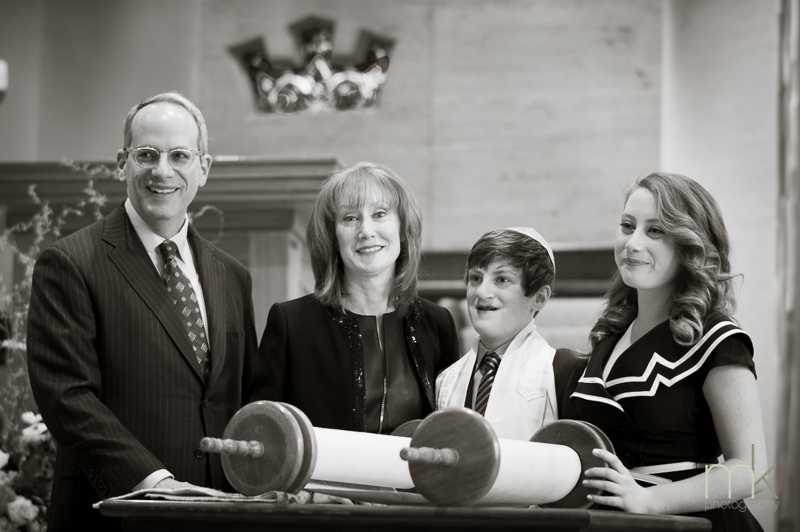 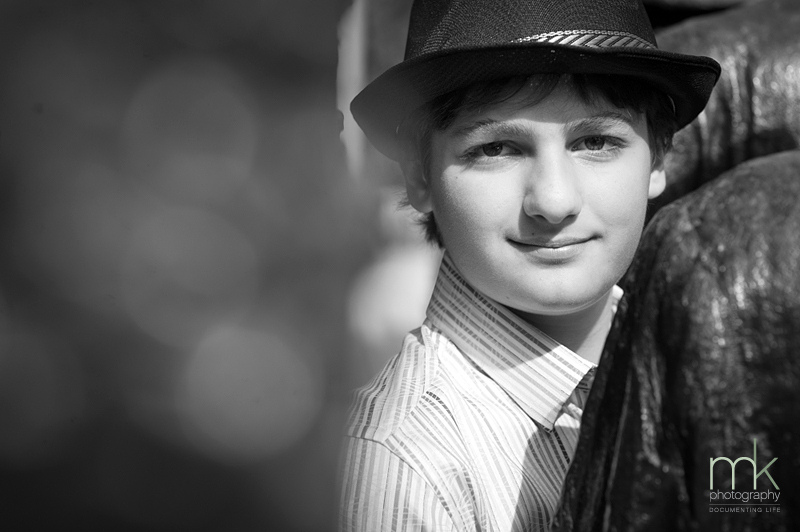 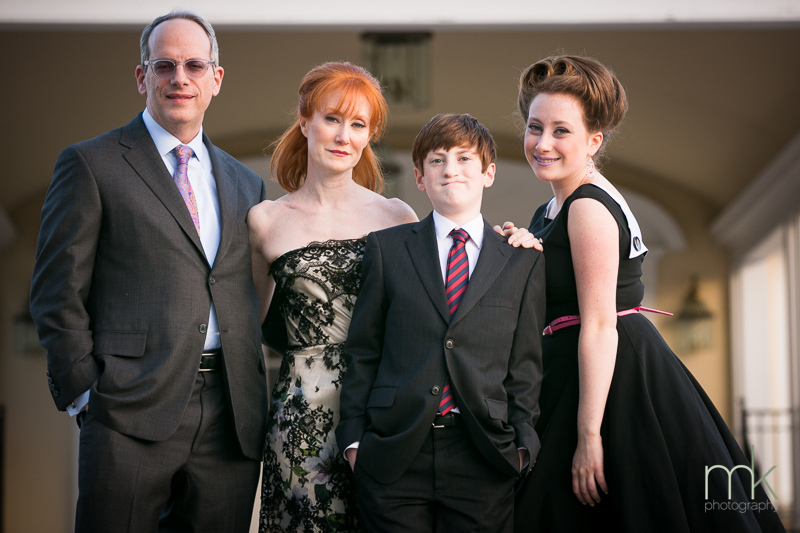 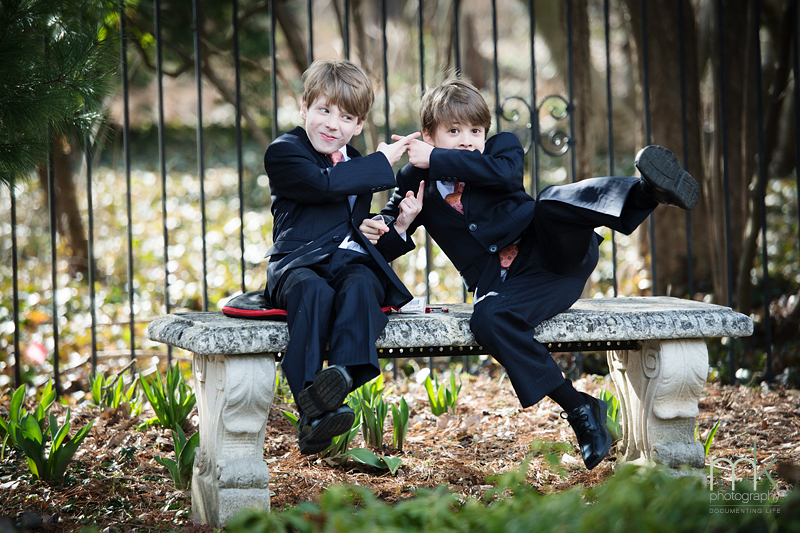 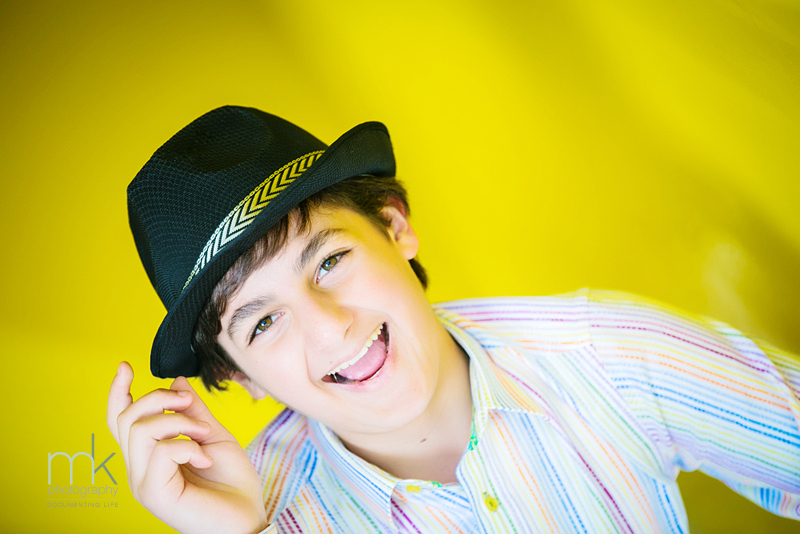 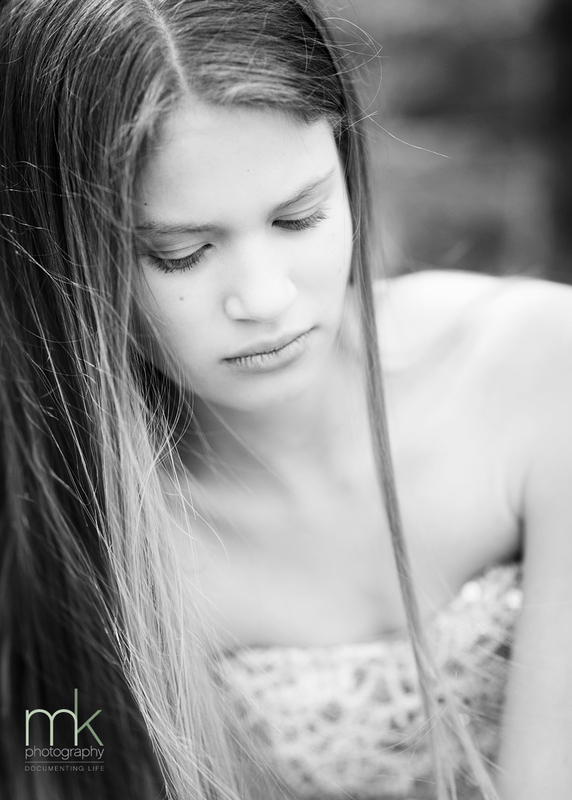 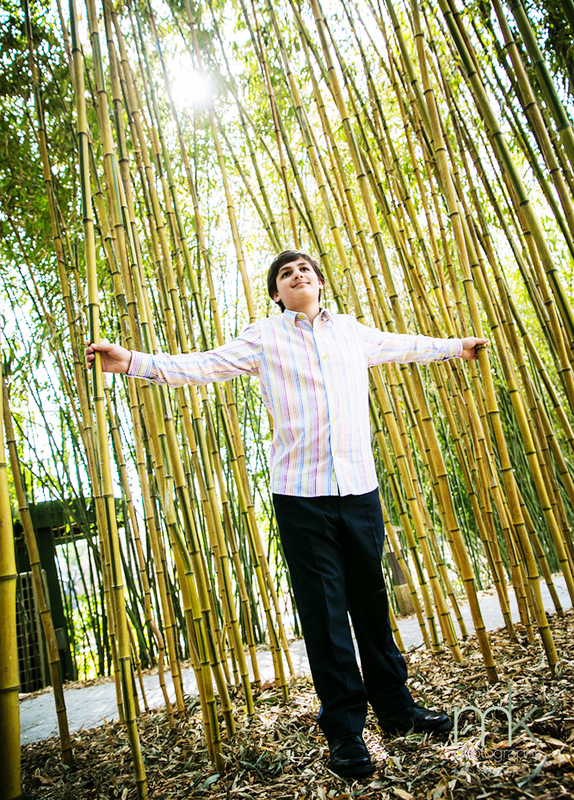 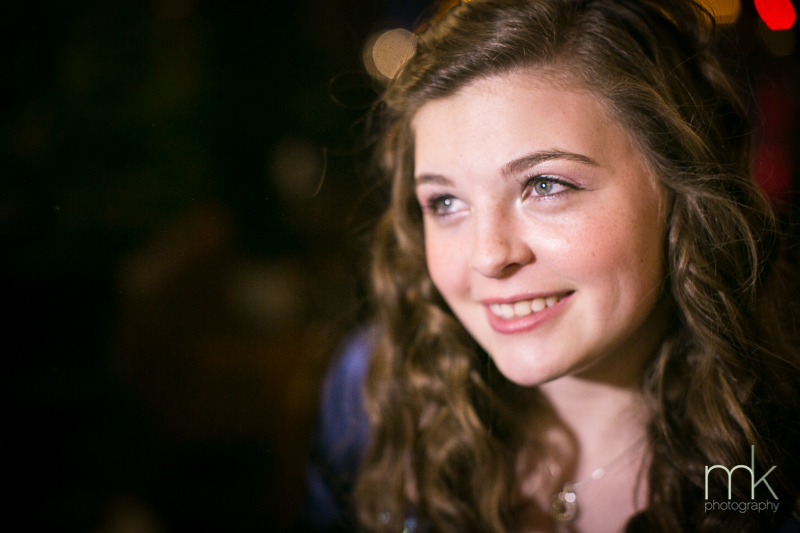 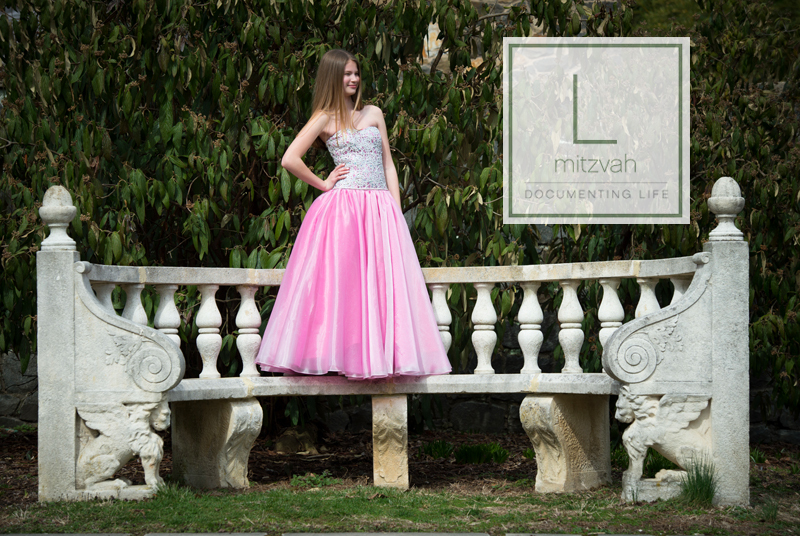 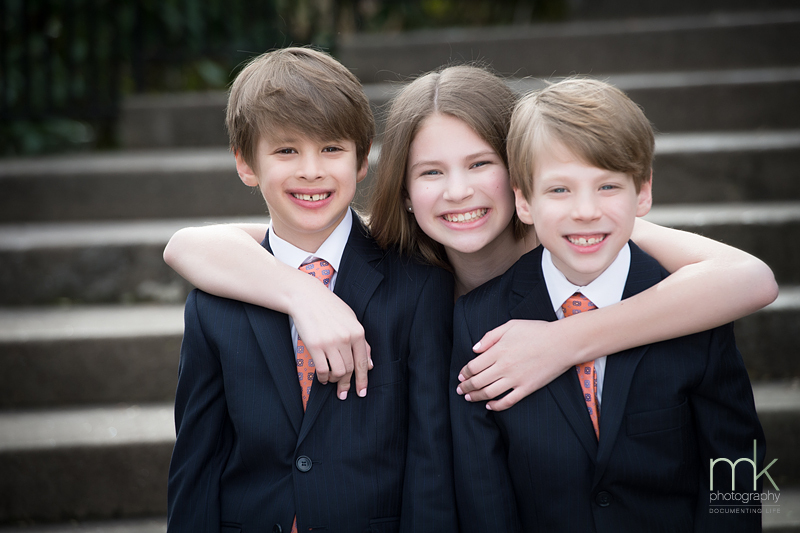 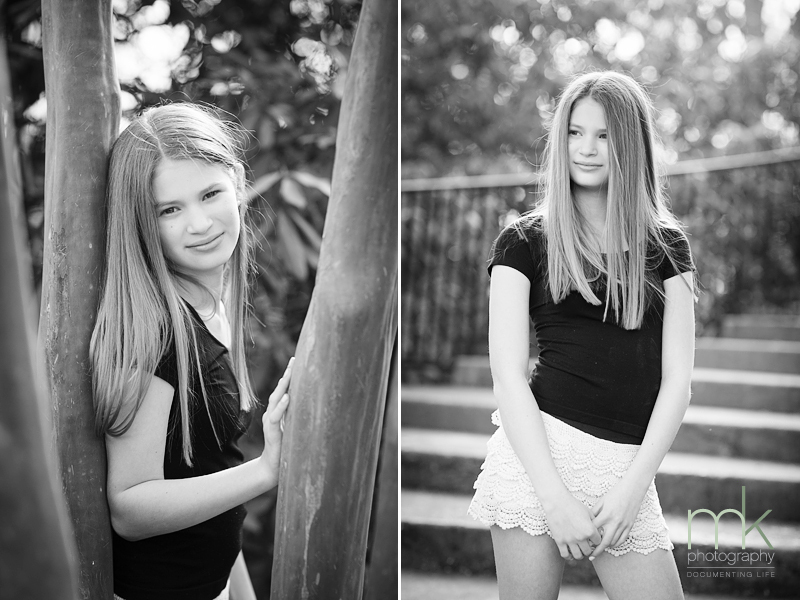 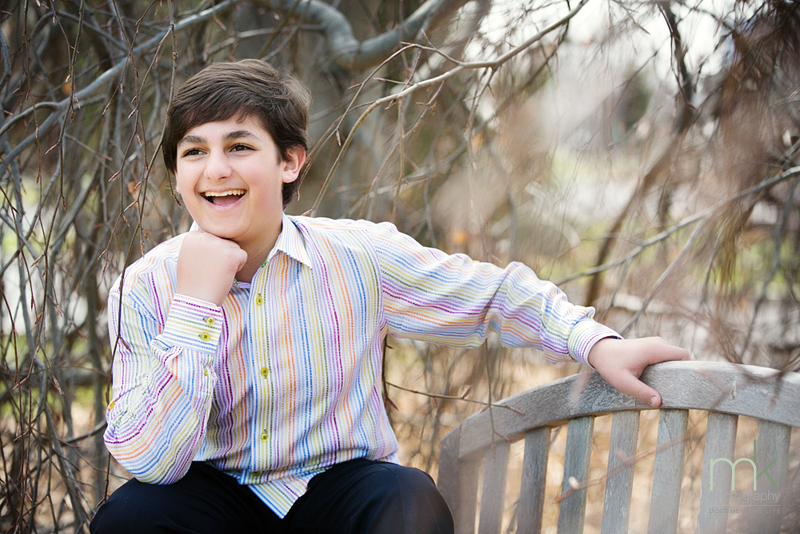 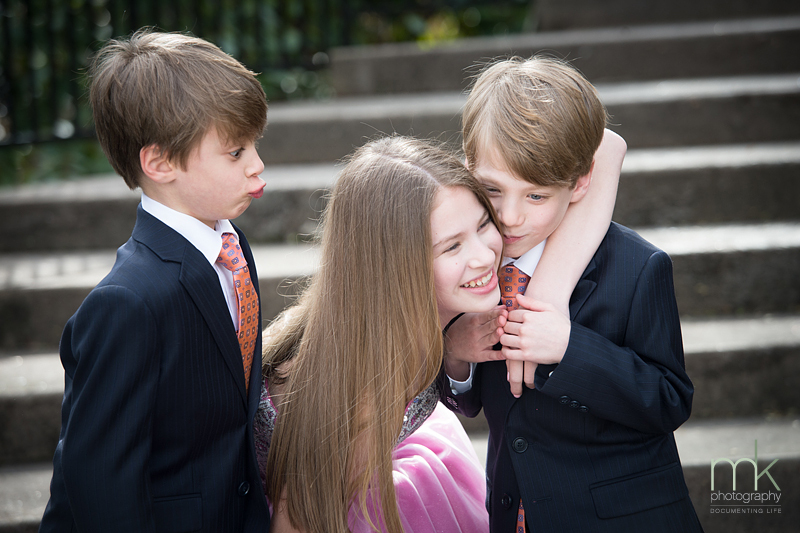 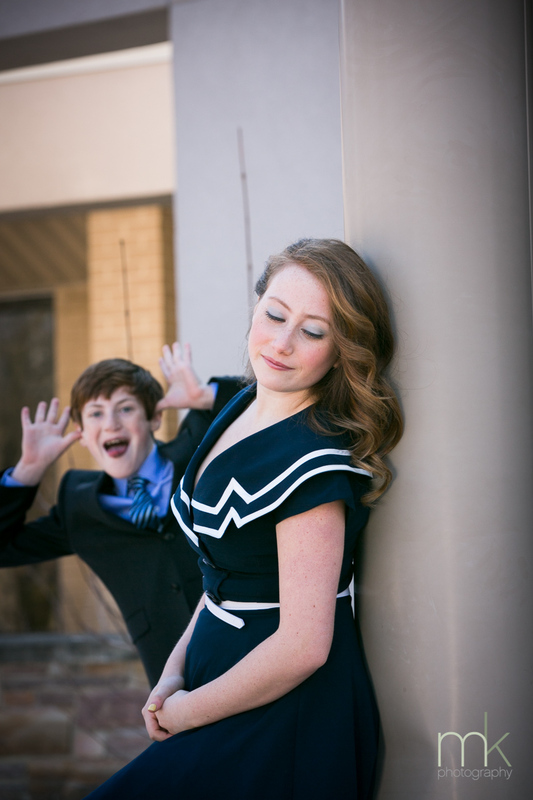 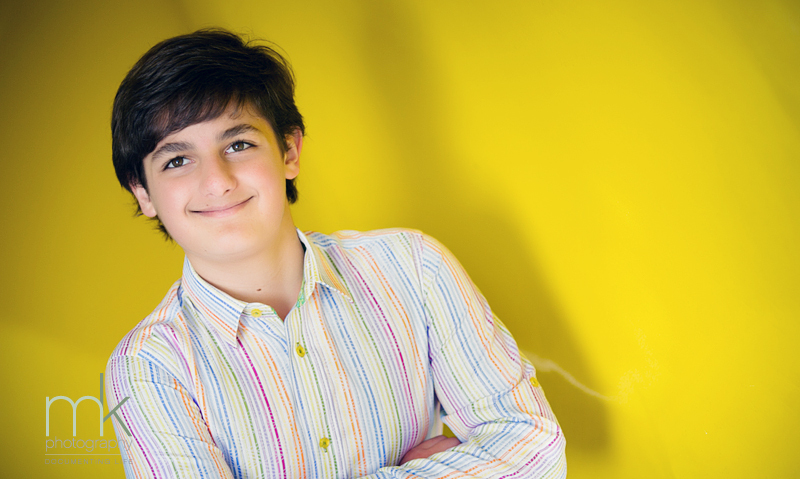 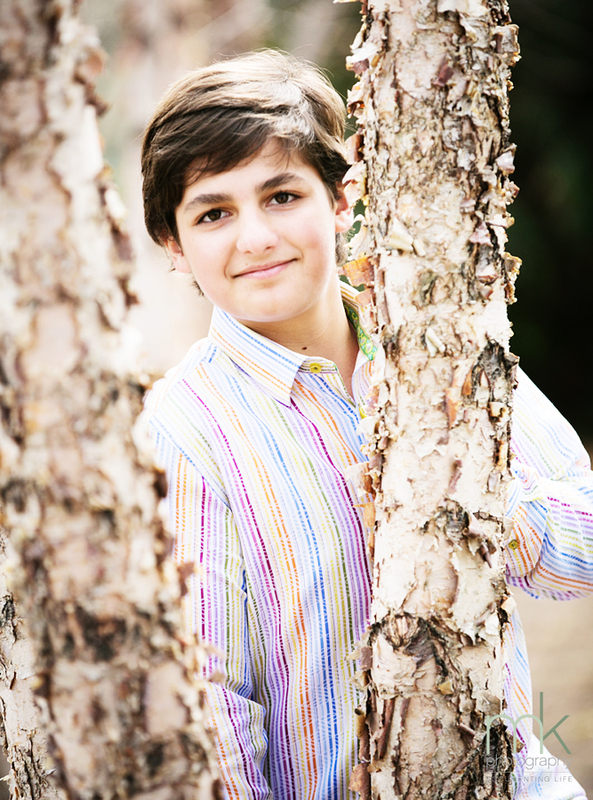 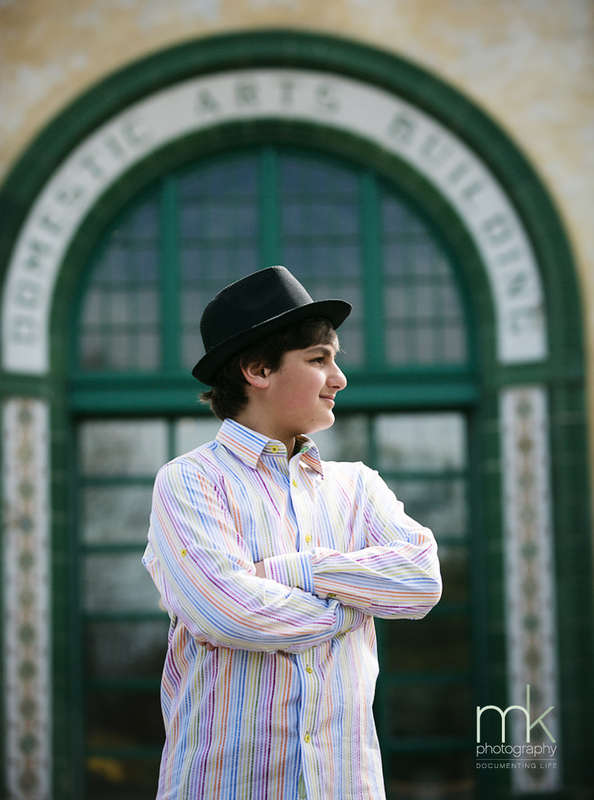 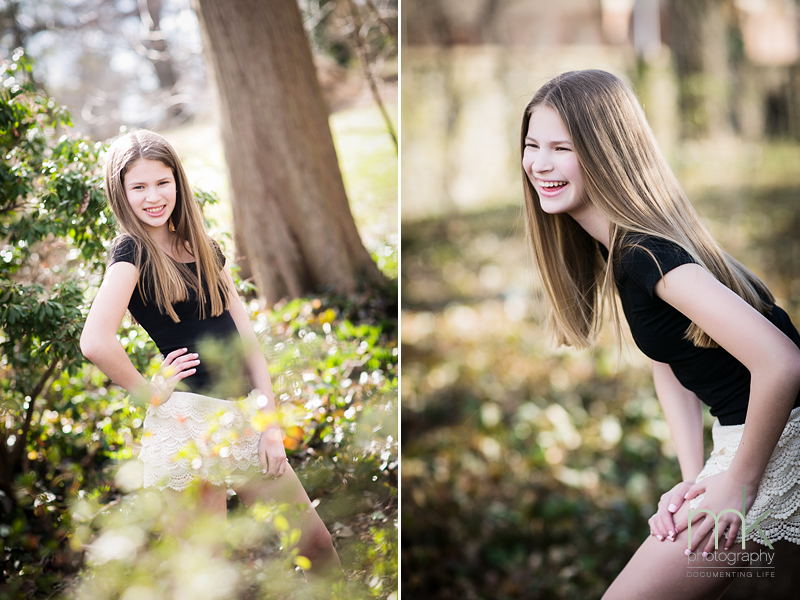 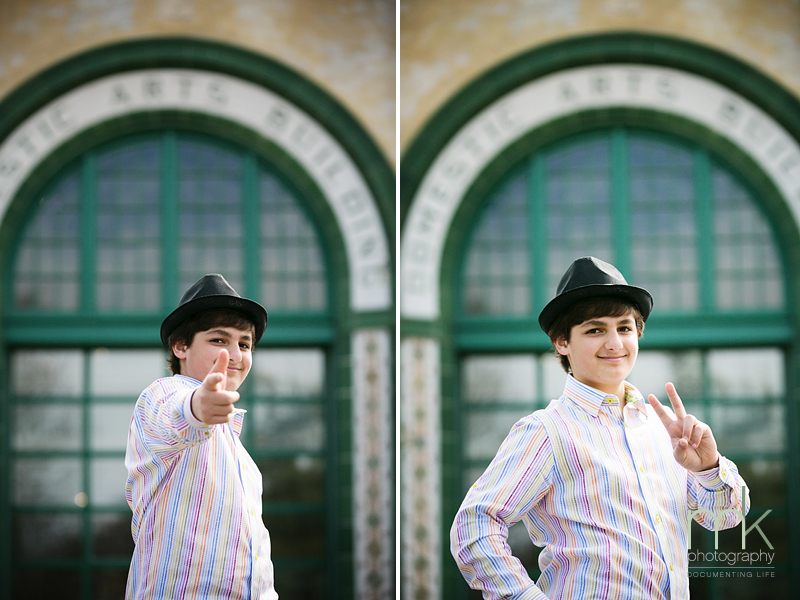 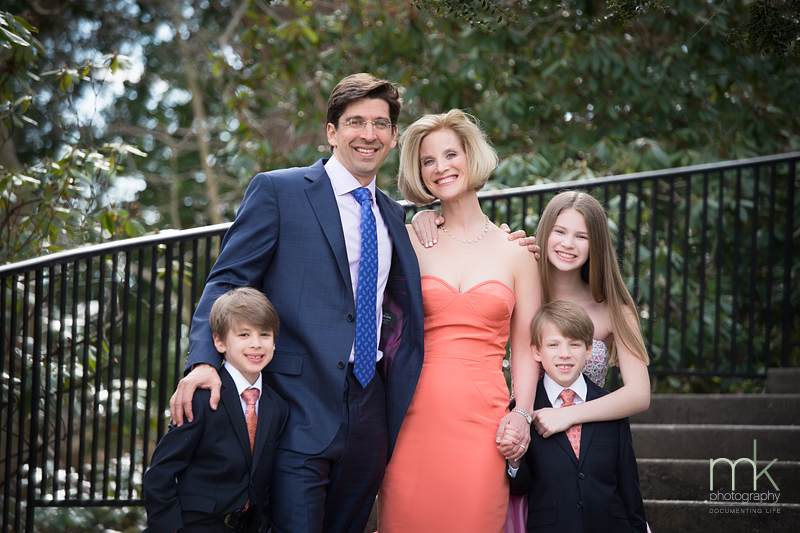 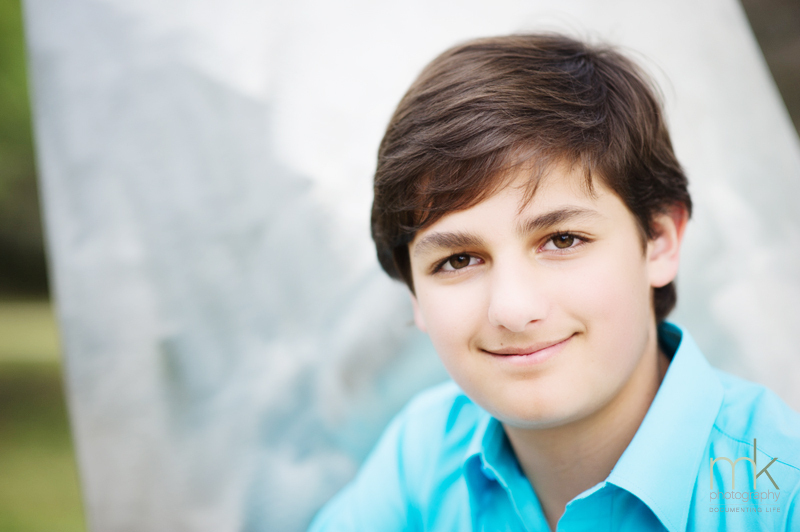 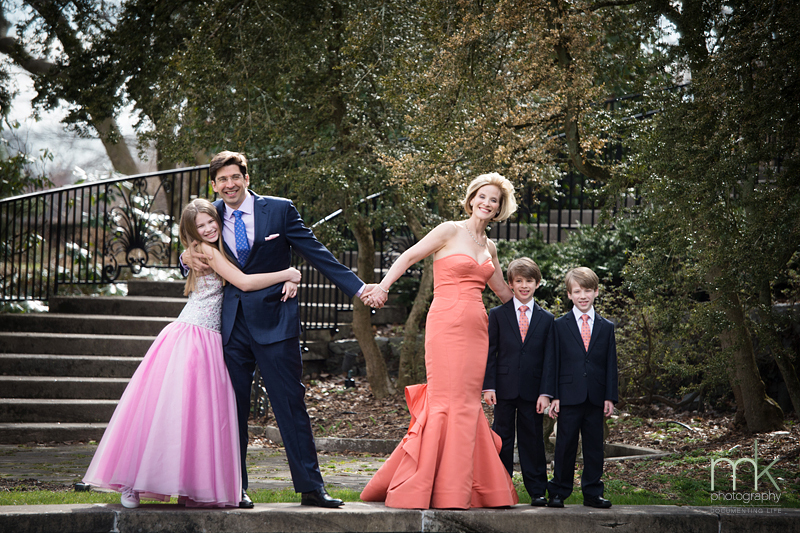 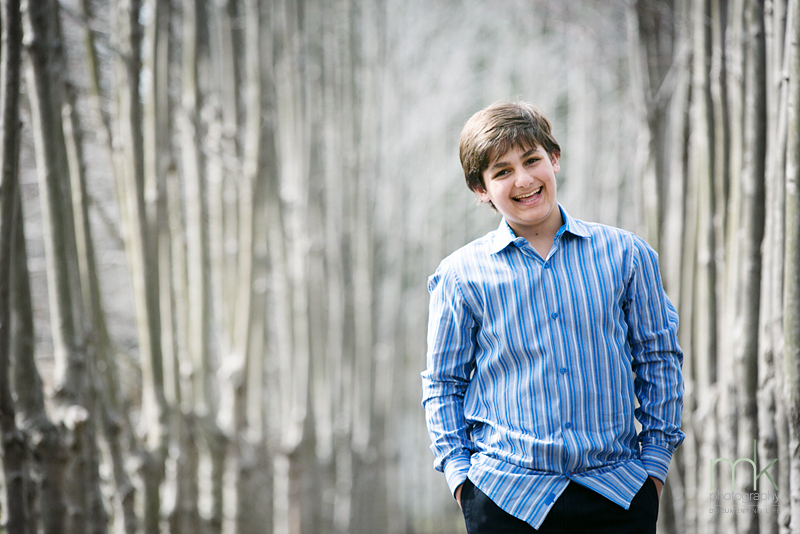 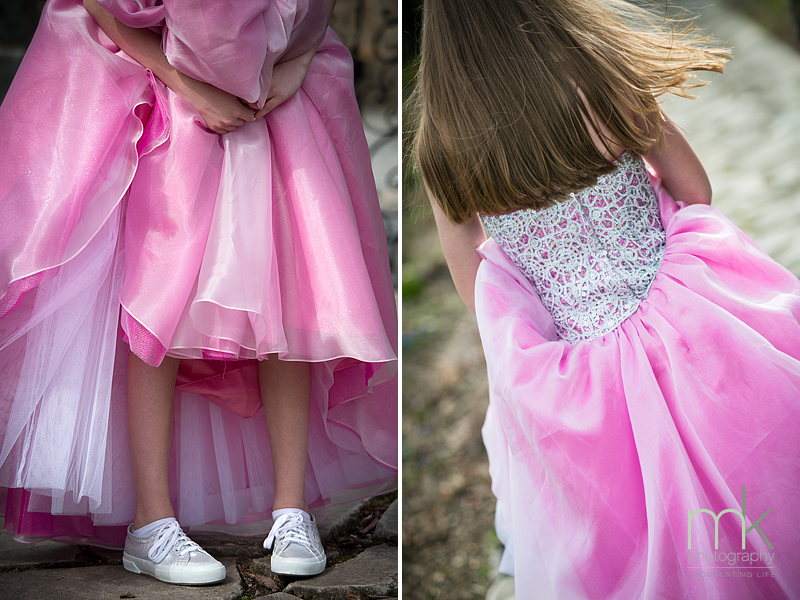 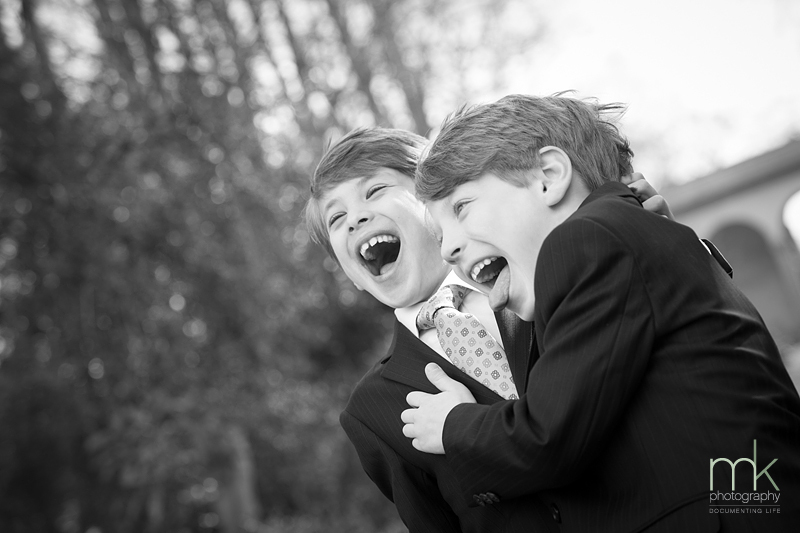 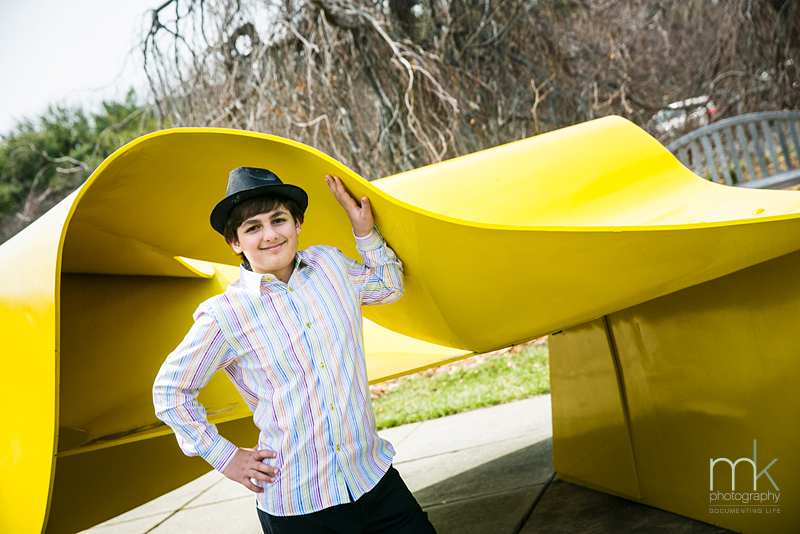 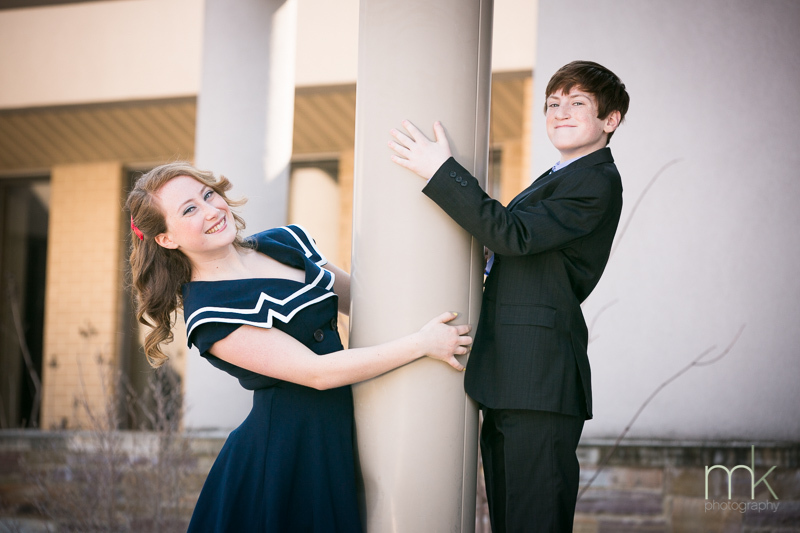 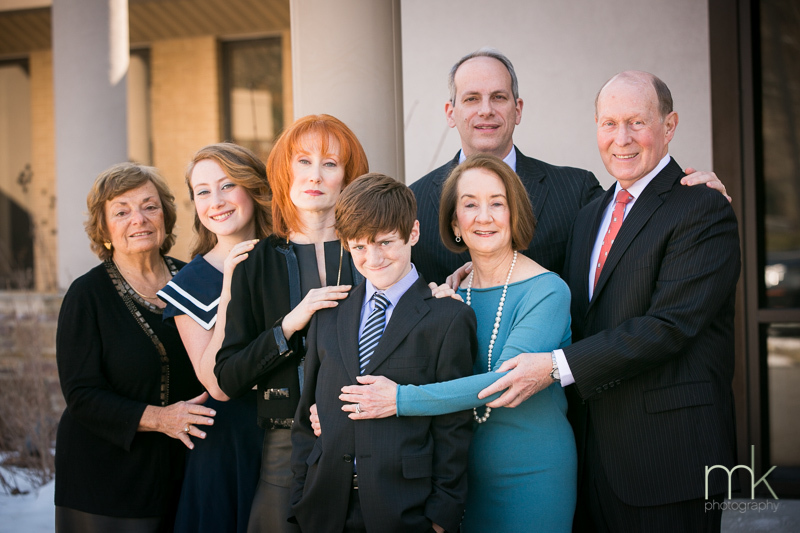 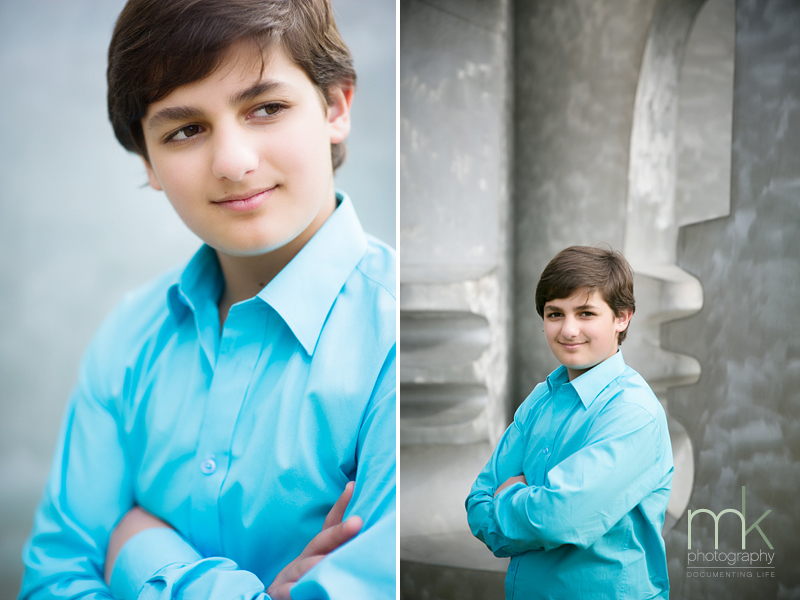 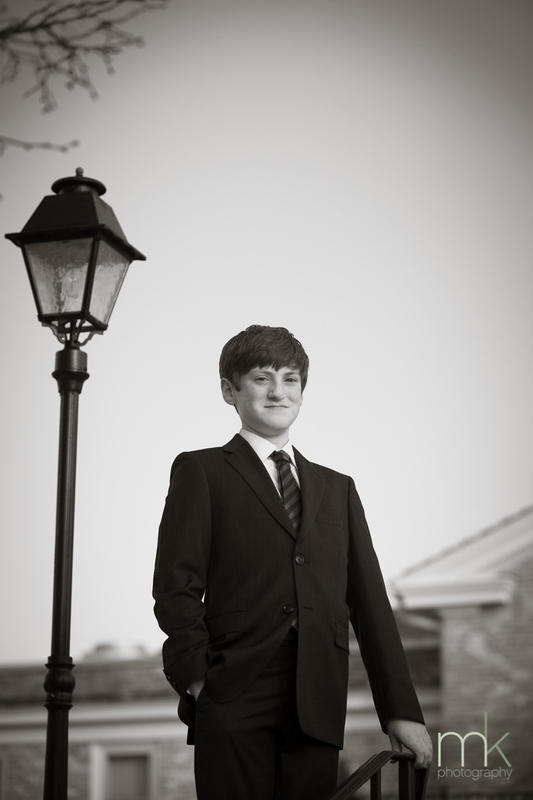 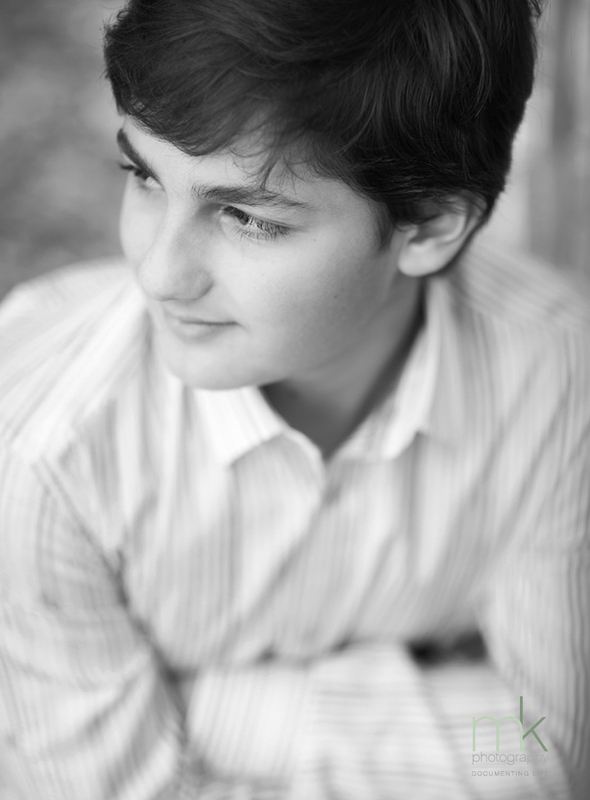 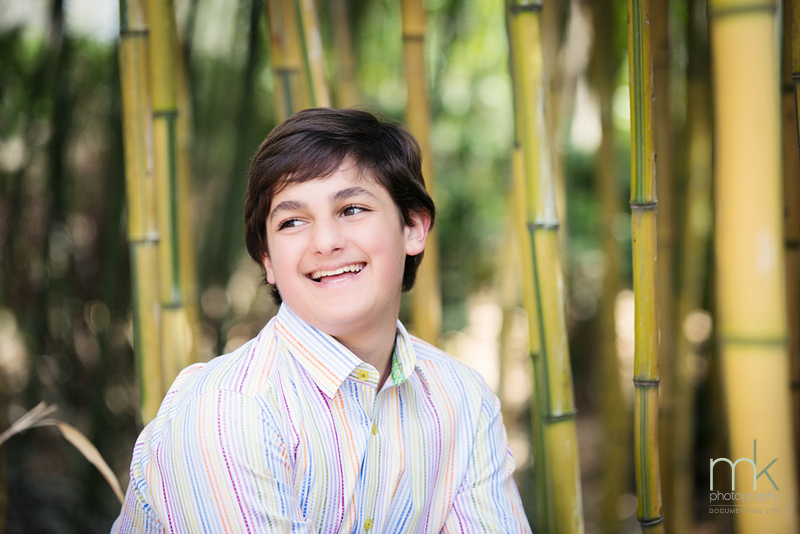 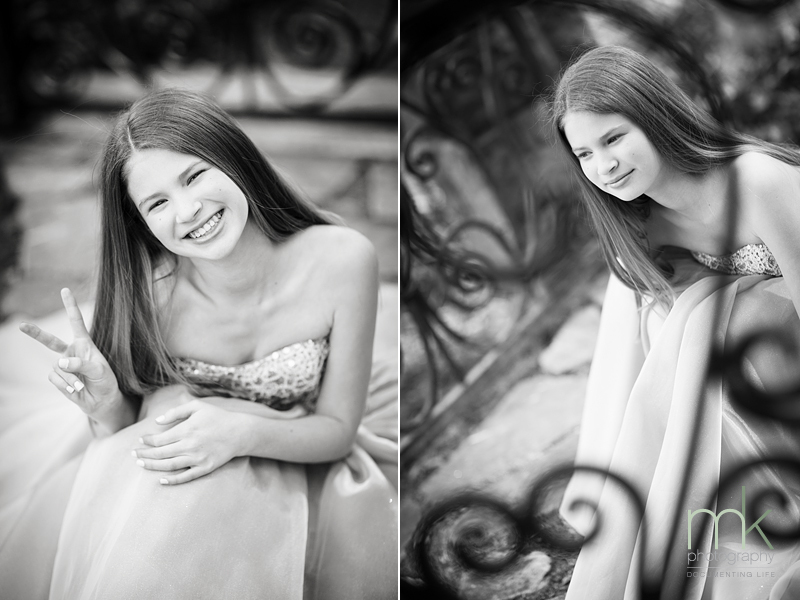 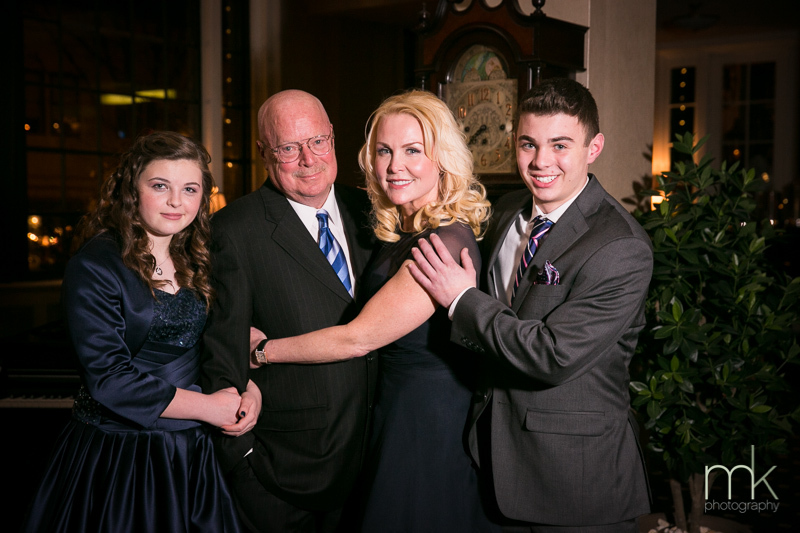 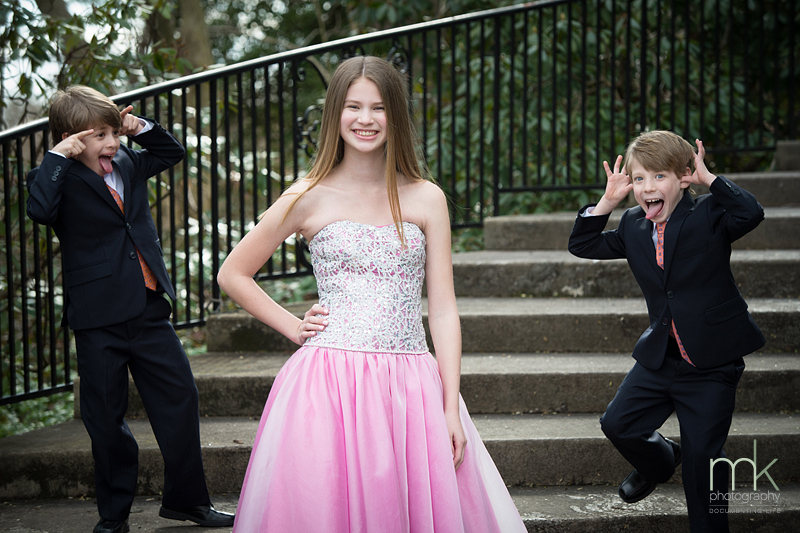 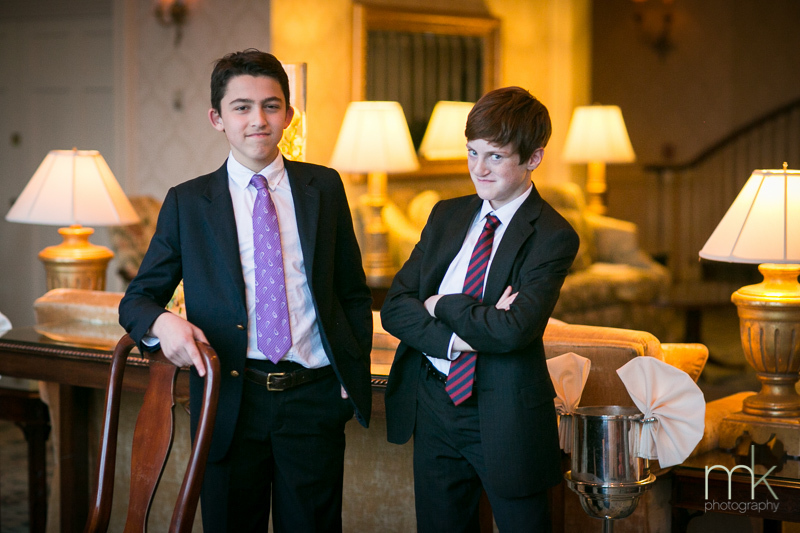 We did formal family photos in a relaxed environment for Lexi’s pre-Mitzvah portrait session recently! 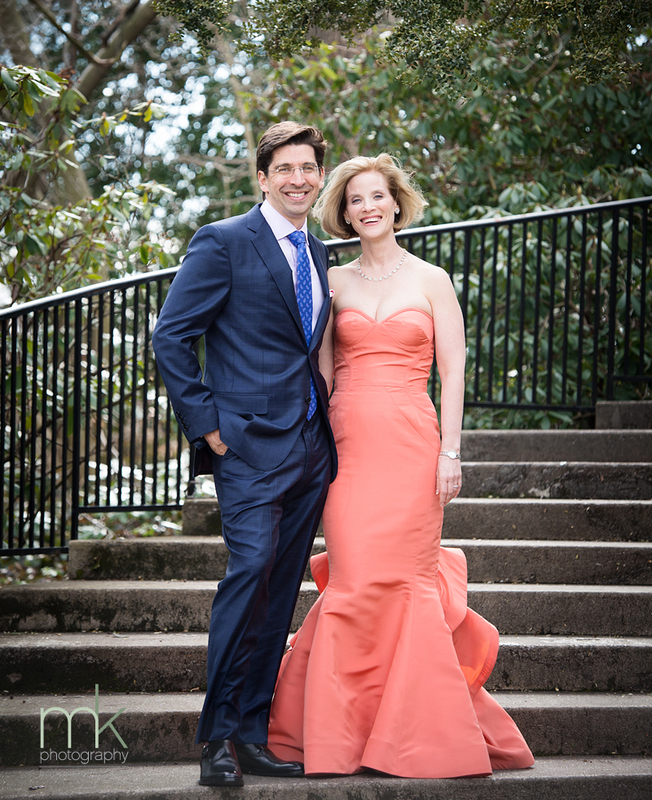 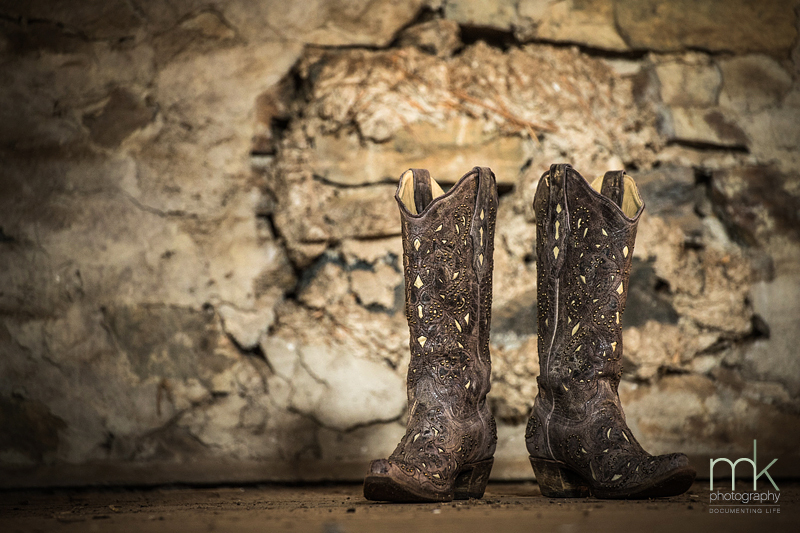 Gorgeous gowns, suits, lace, and the rustic beauty of local historic grounds. 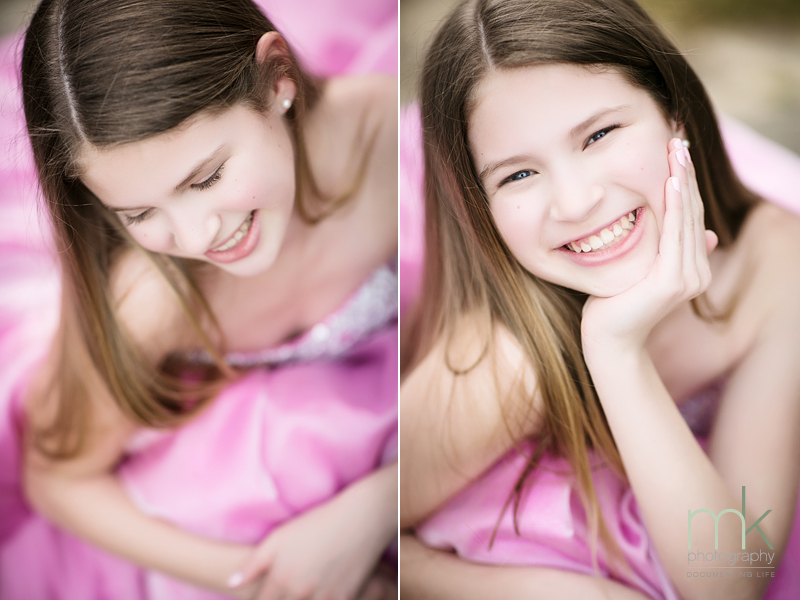 Her big day is coming up in May! 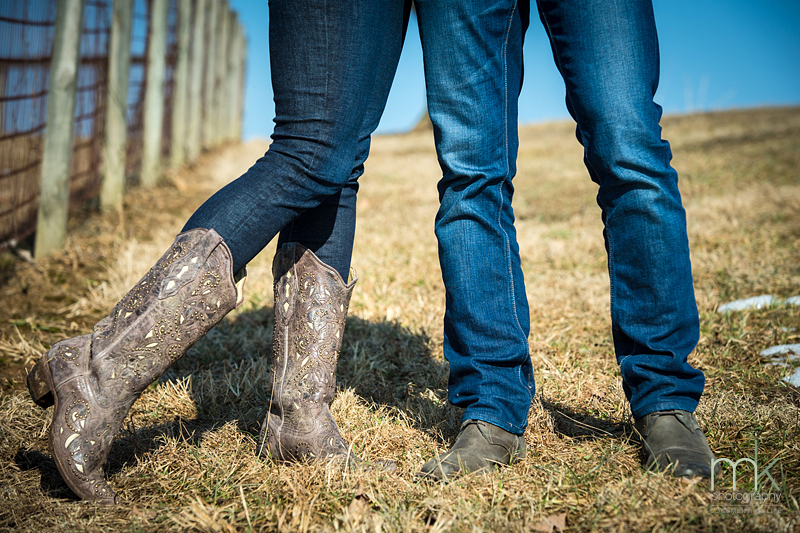 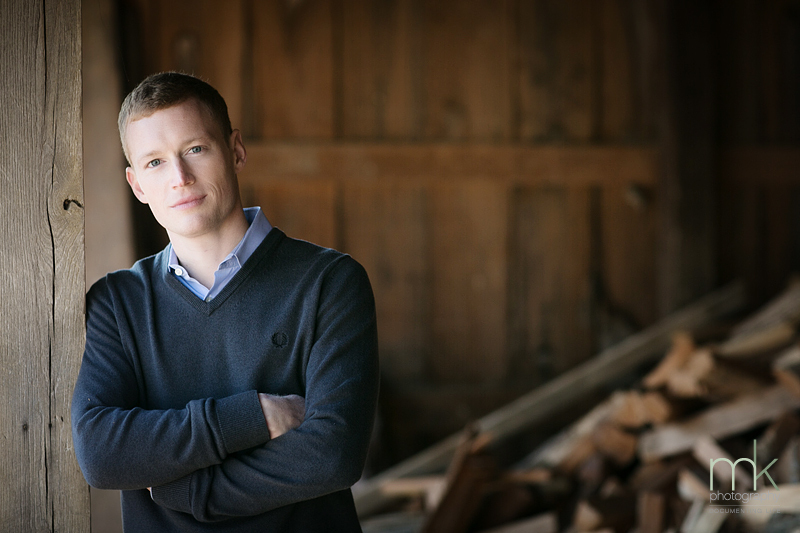 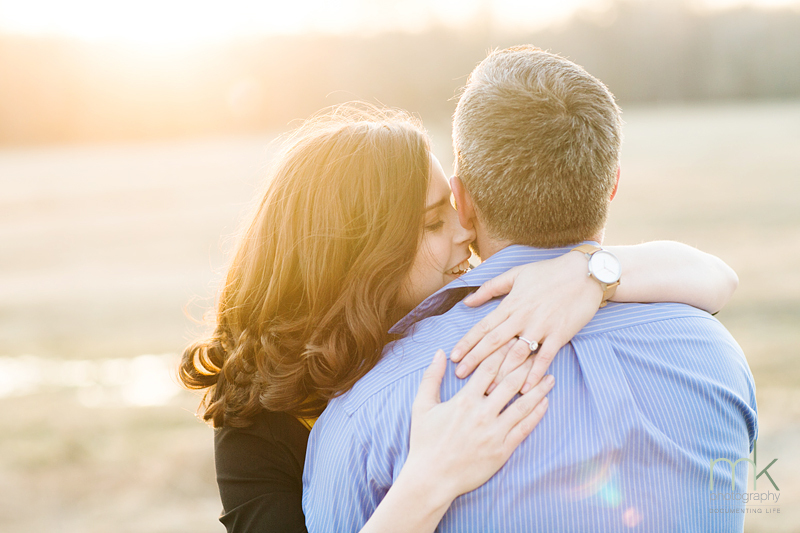 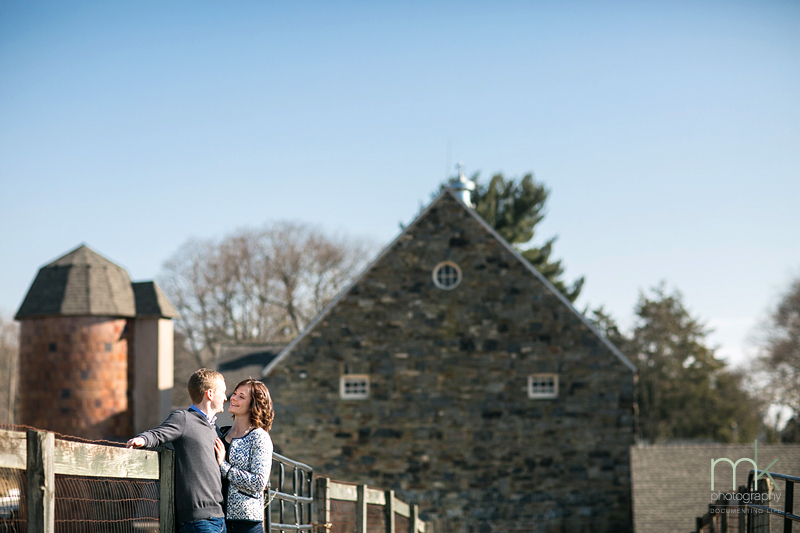 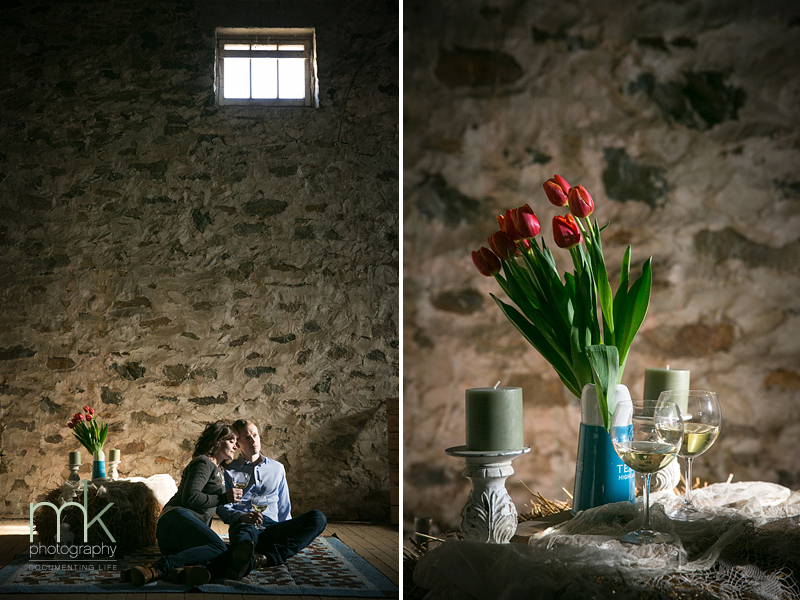 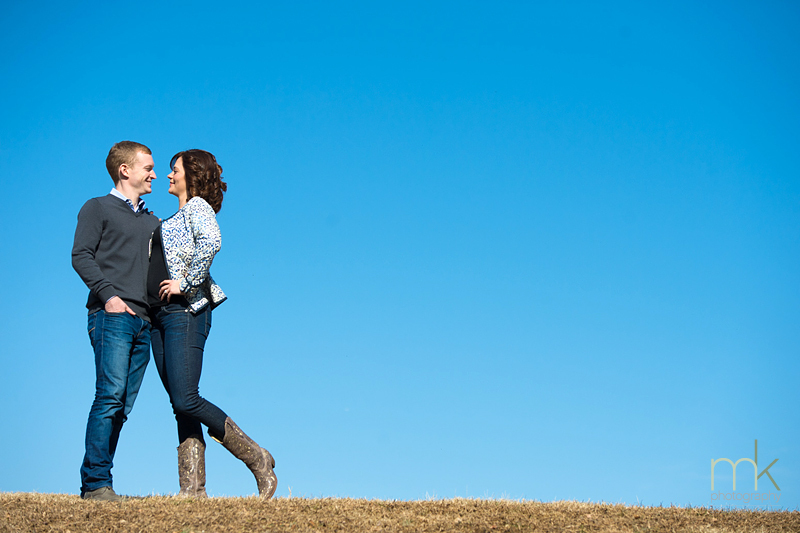 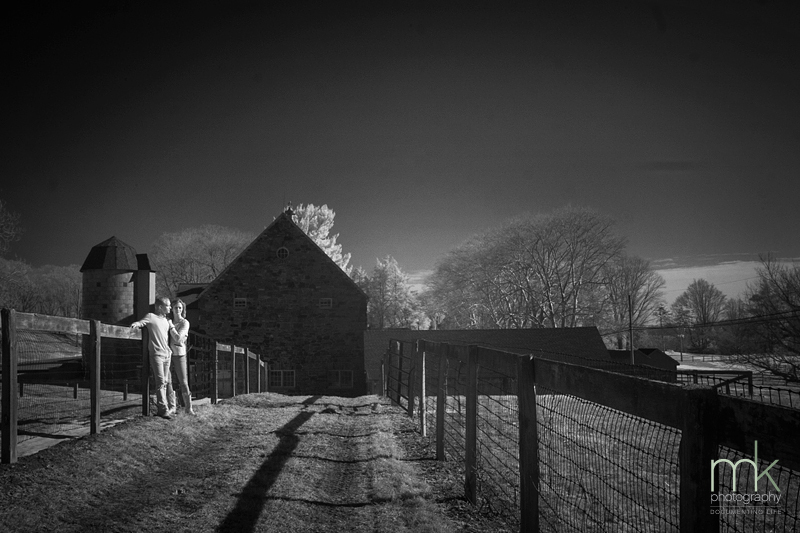 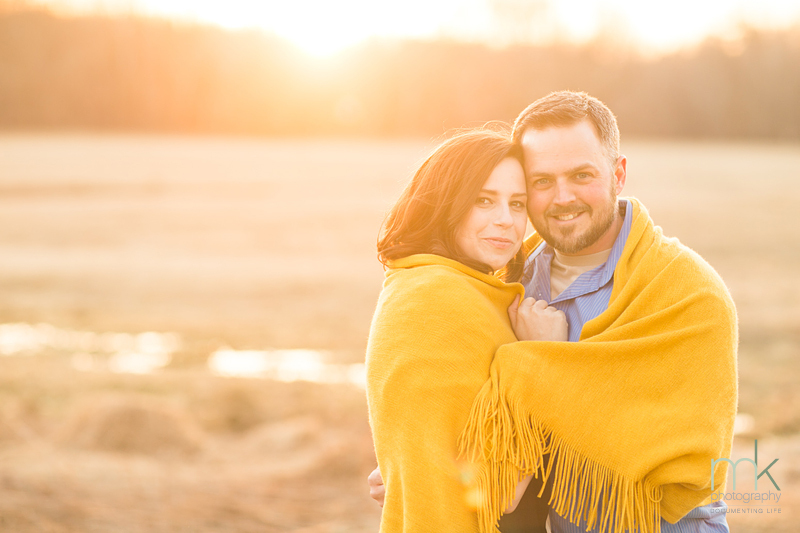 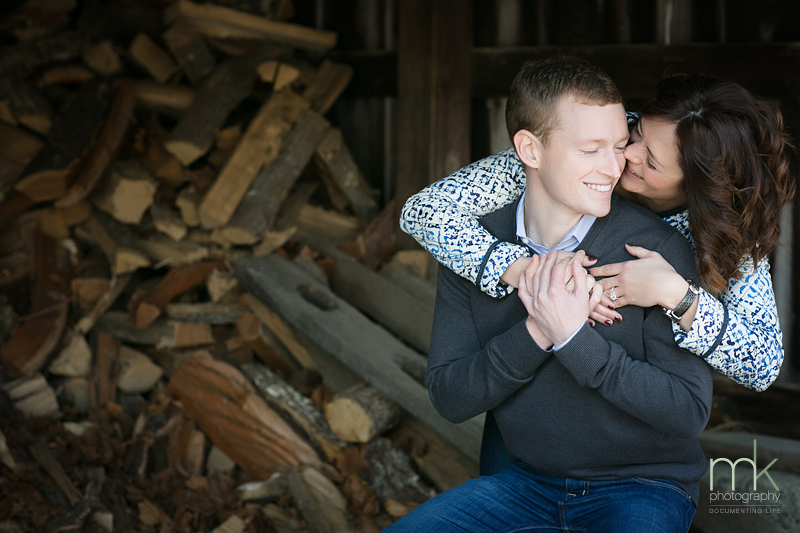 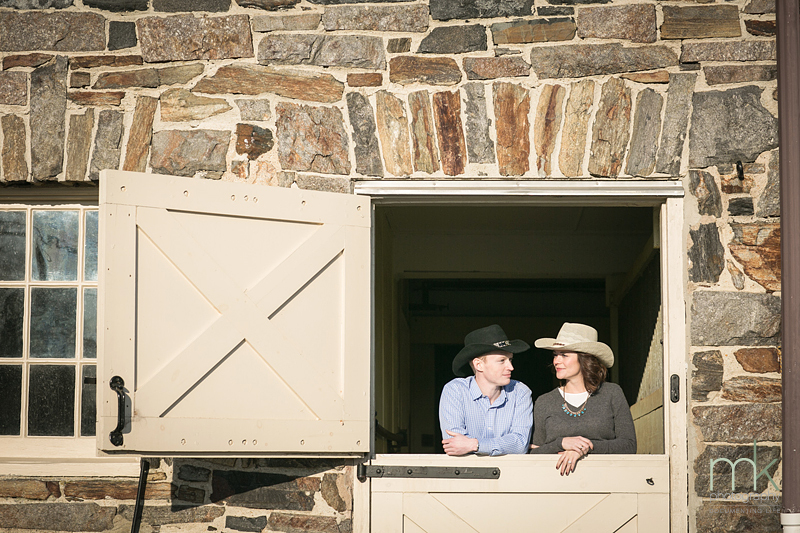 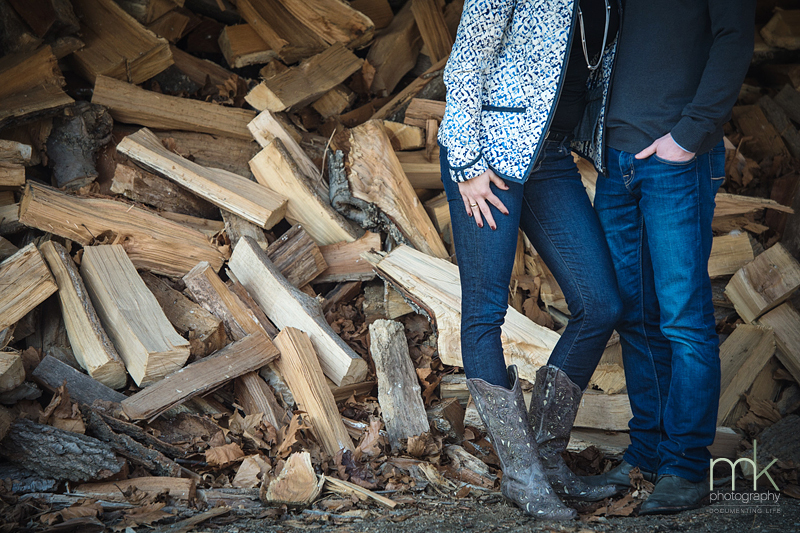 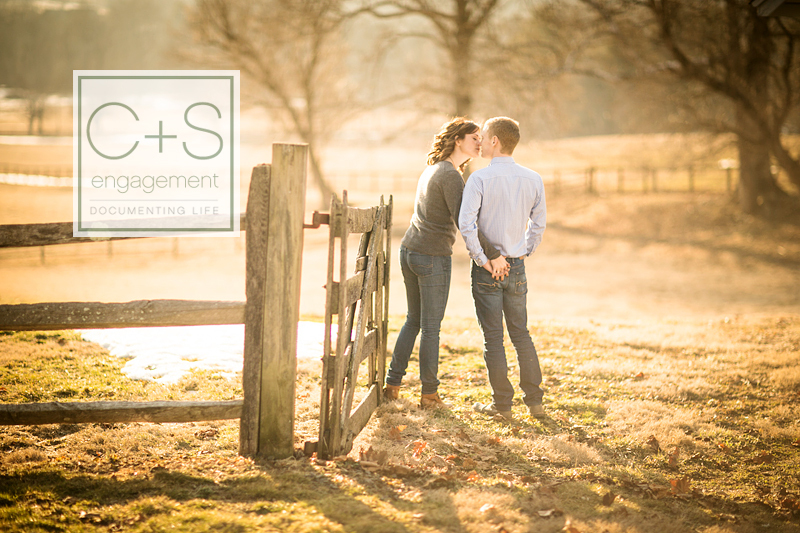 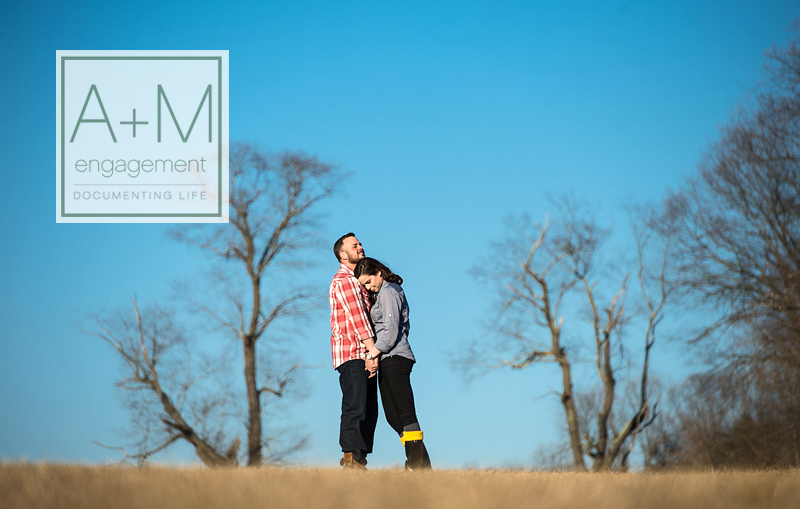 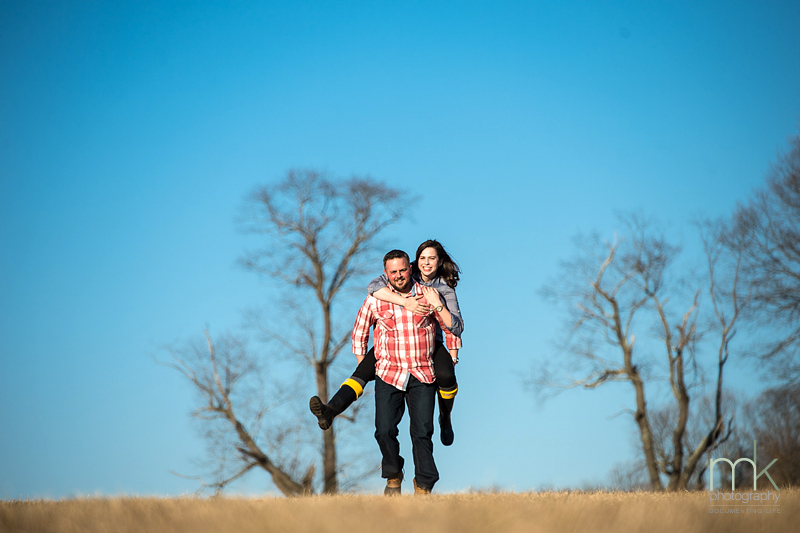 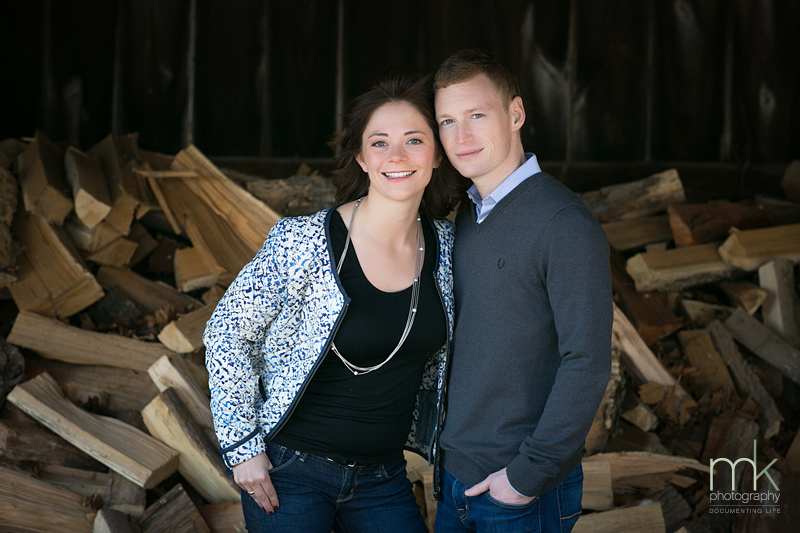 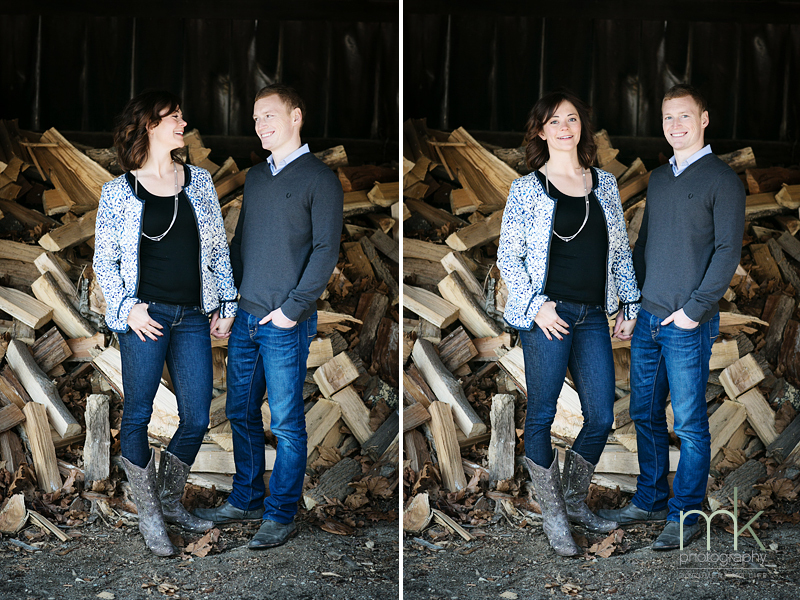 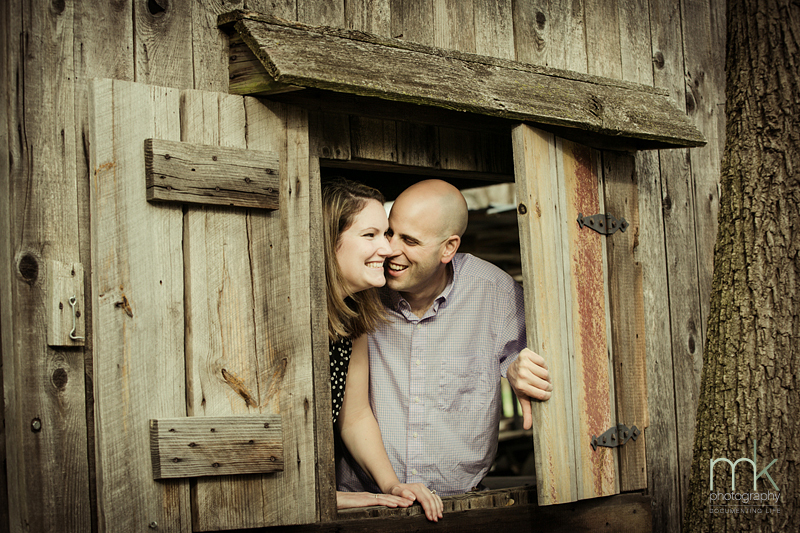 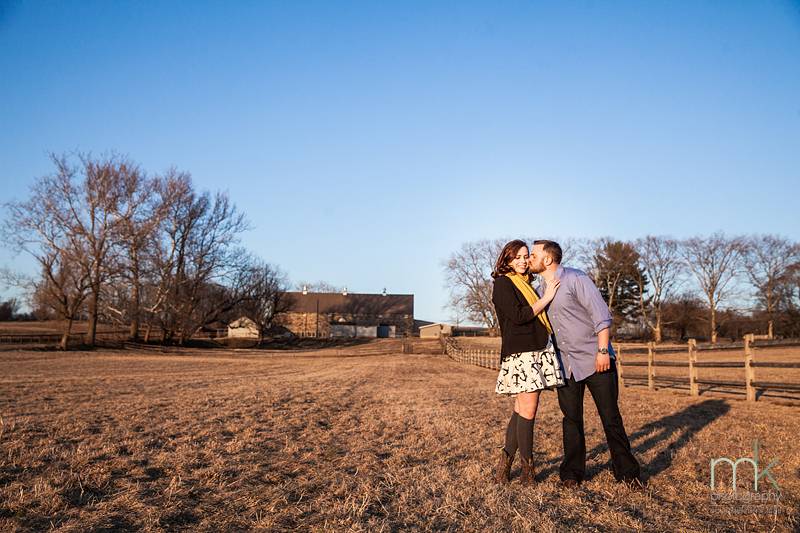 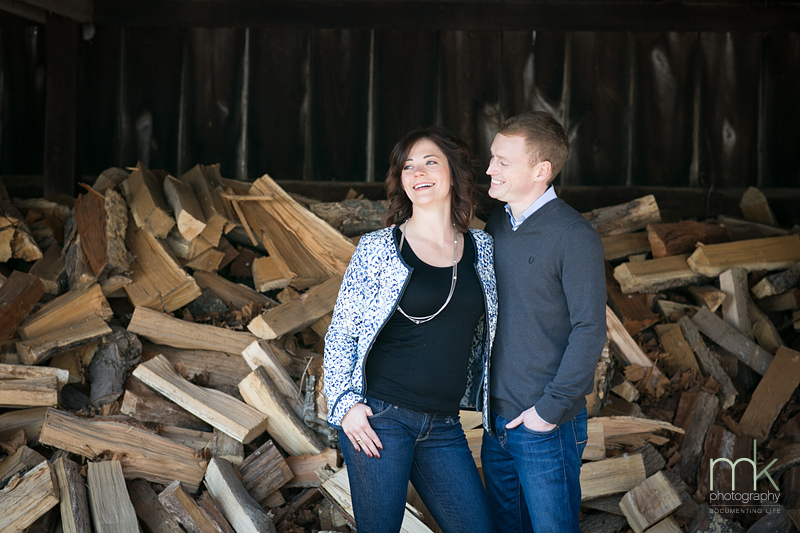 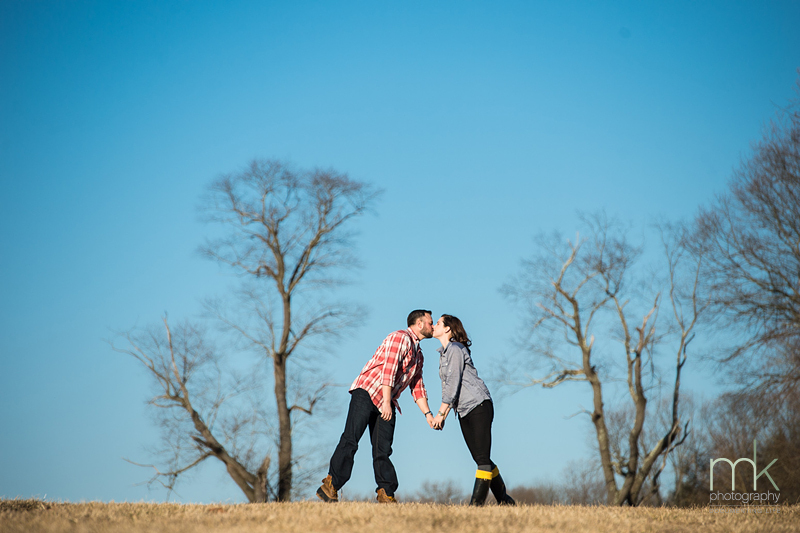 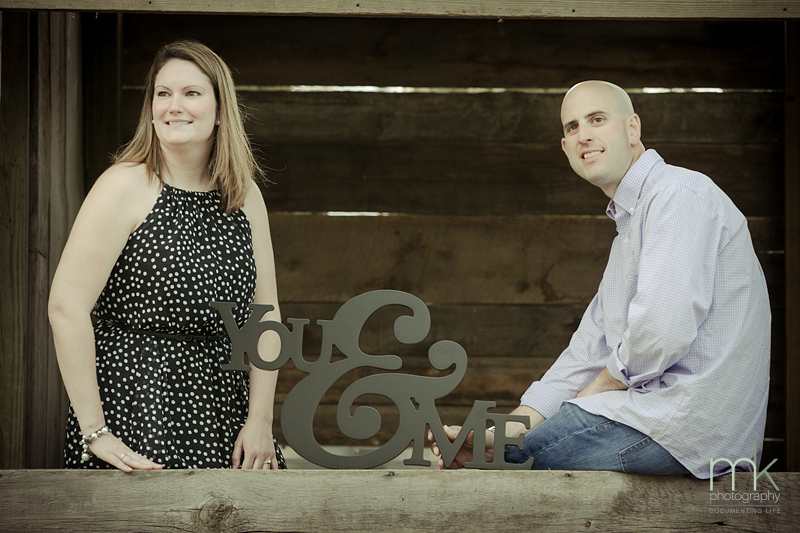 From blue skies to blue eyes, this picture-perfect couple enjoyed a romantic rustic portrait session on some private acreage in Chadds Ford not too long ago for their engagement session. 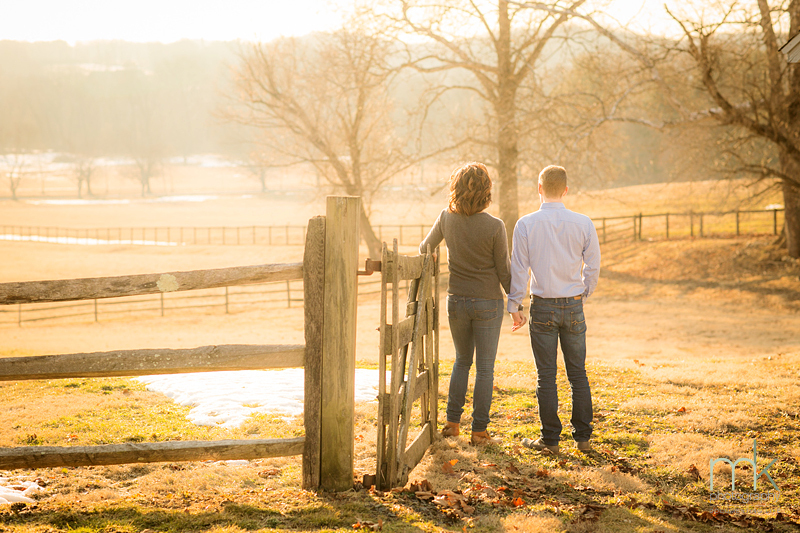 A rare, relatively mild sun-dappled winter afternoon unfolded around us and gave us a remarkable backdrop of natural earth tones and textures. 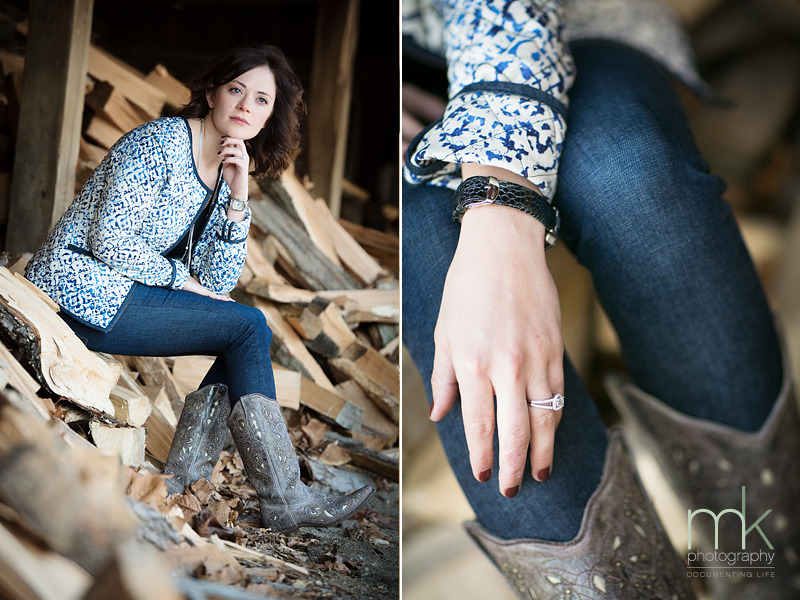 All of the beautiful blue accents and details really tied this shoot together visually. 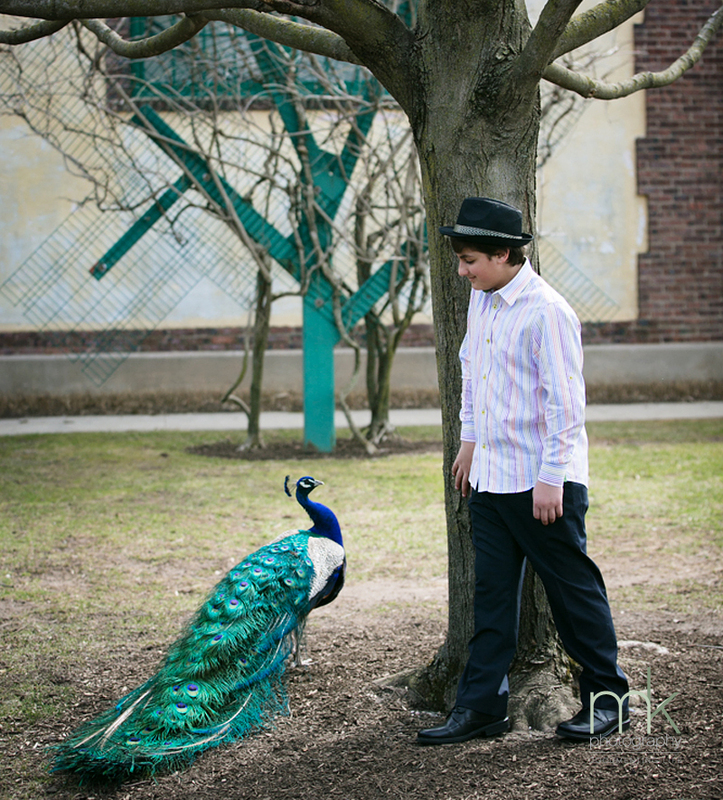 Check out the inquisitive (and UNINVITED!) 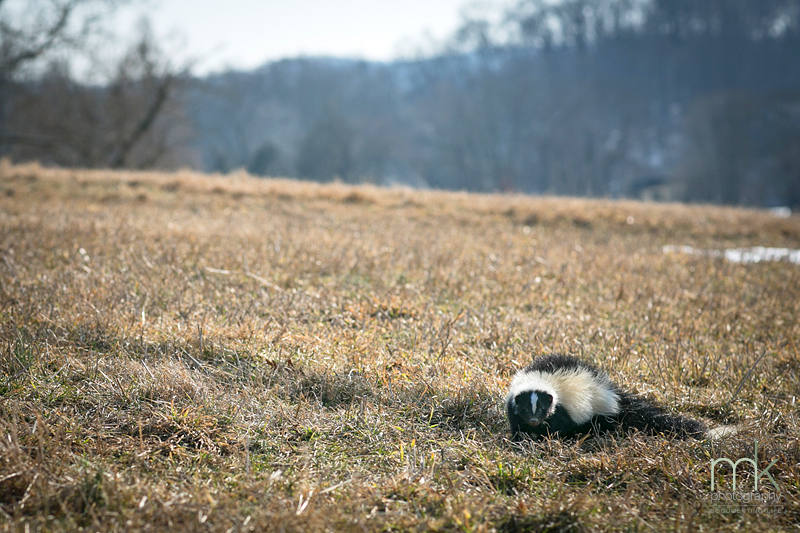 friend at the end who came a bit too close for comfort! 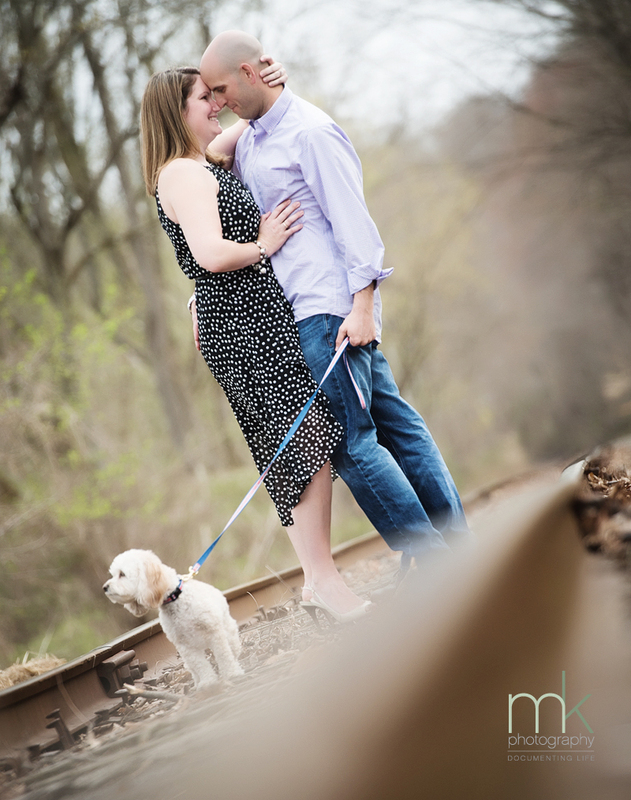 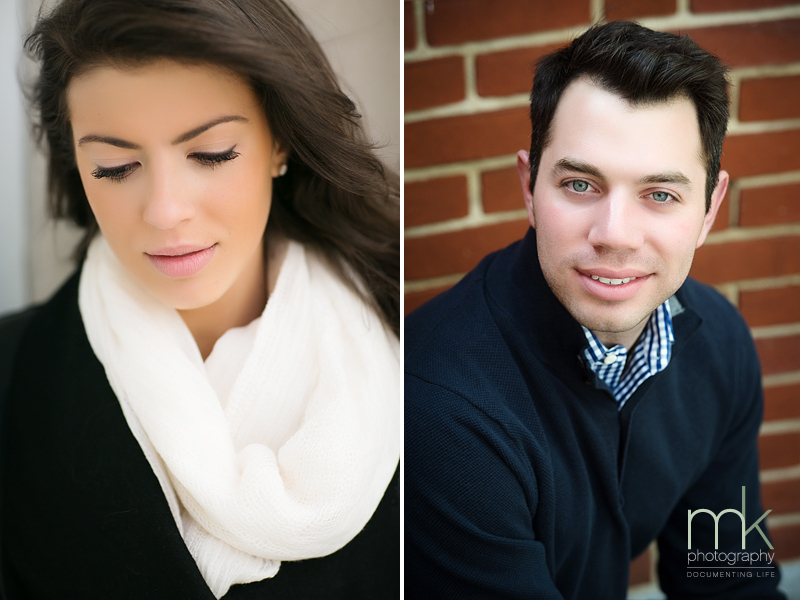 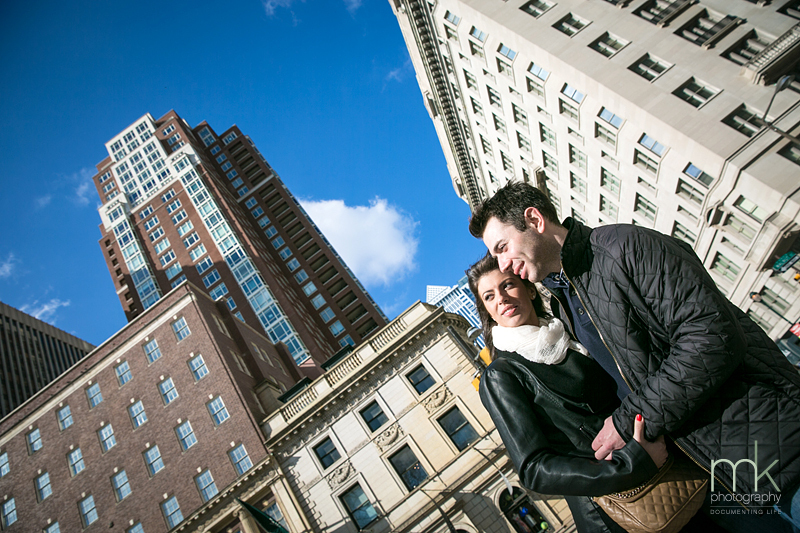 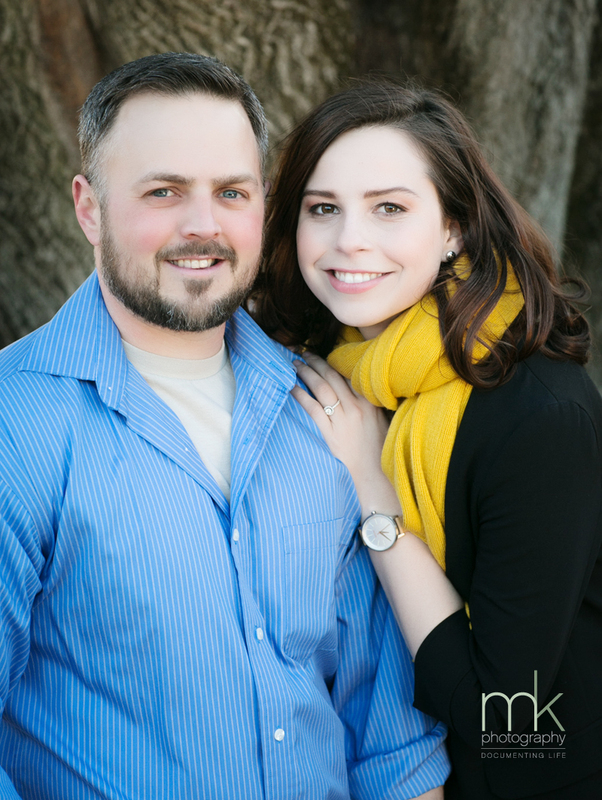 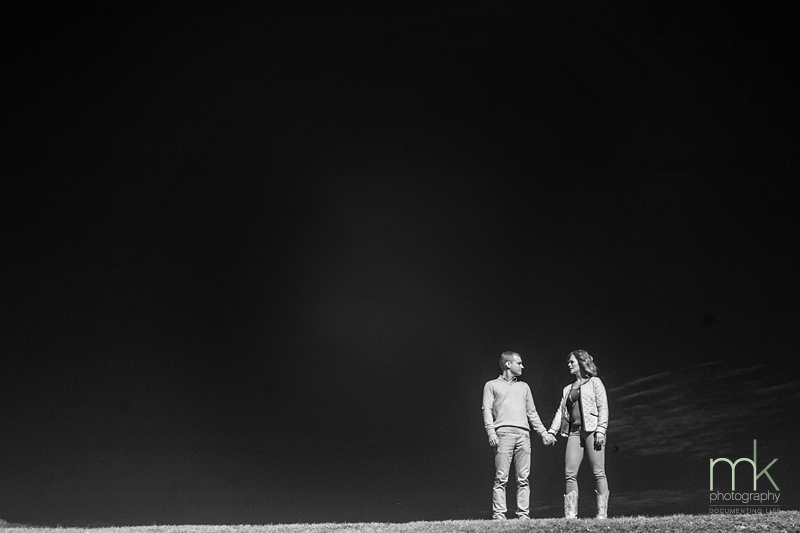 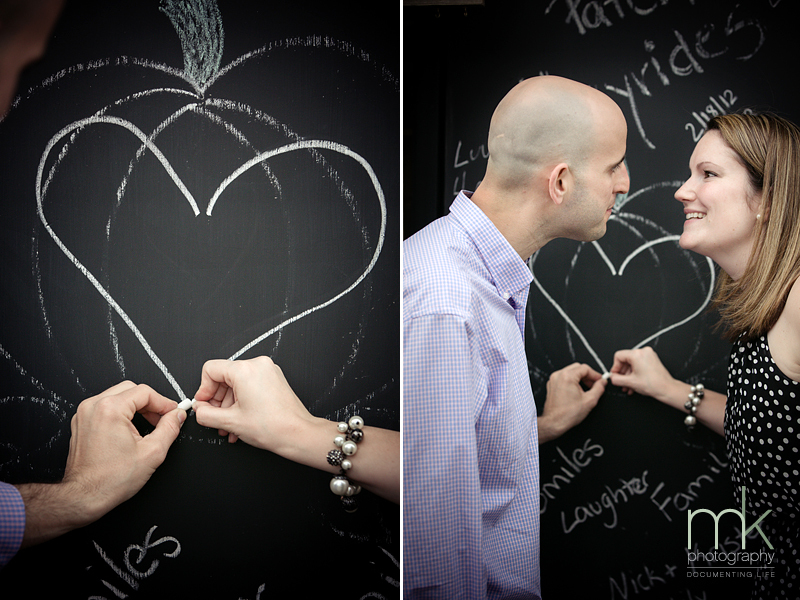 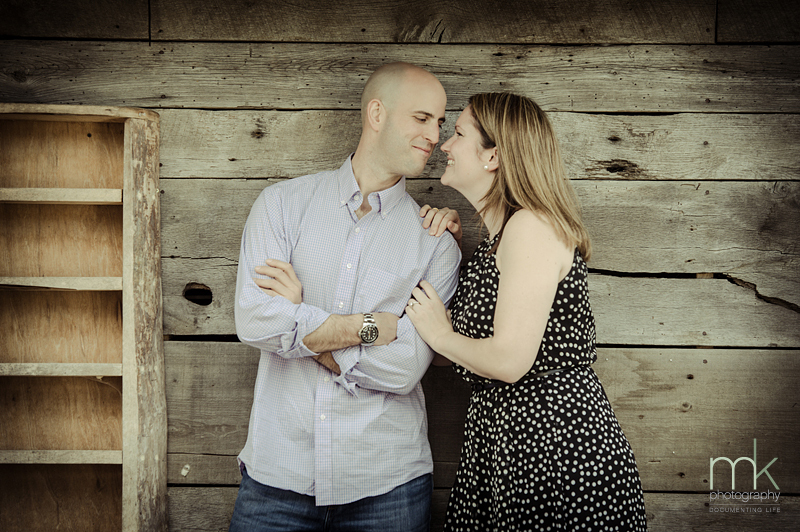 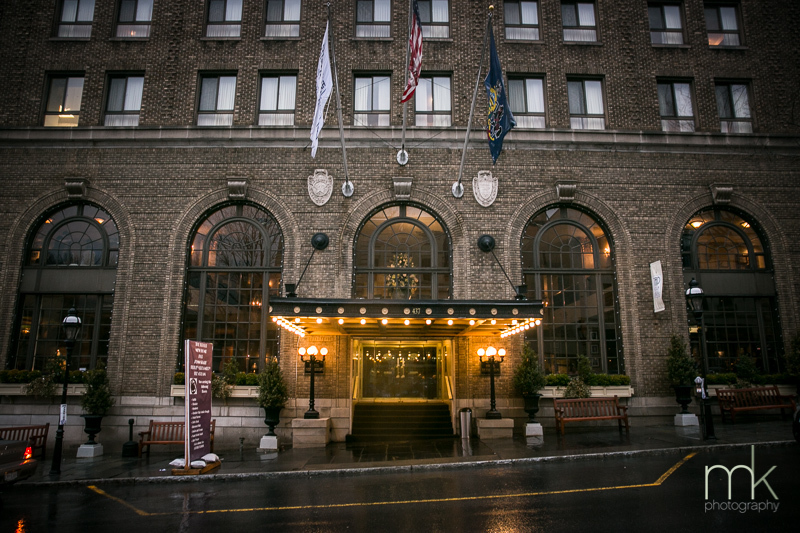 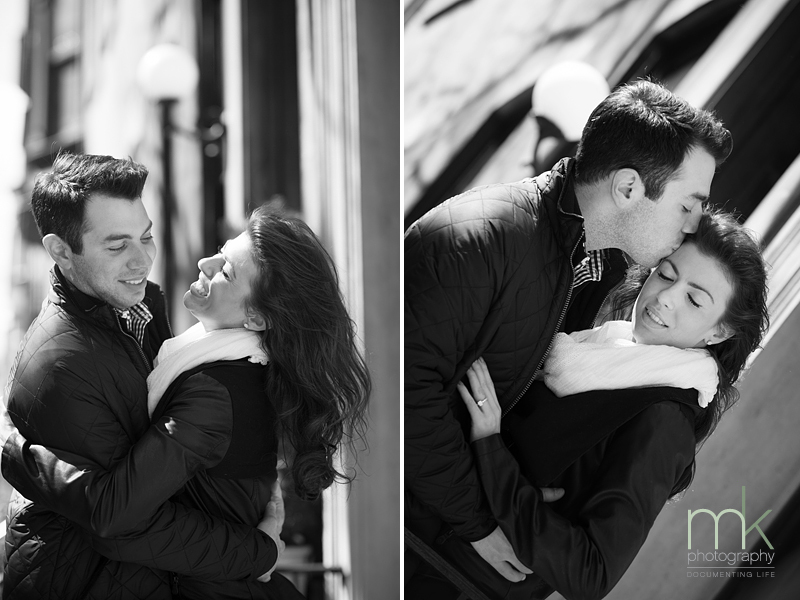 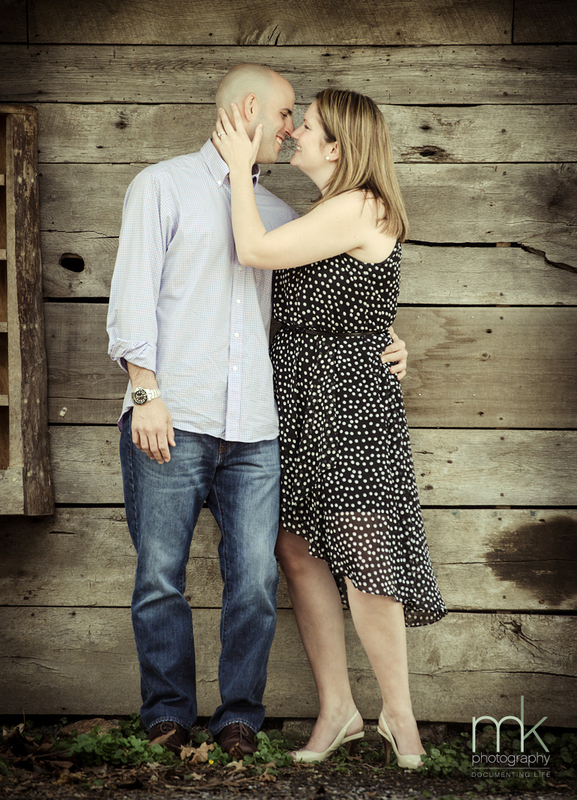 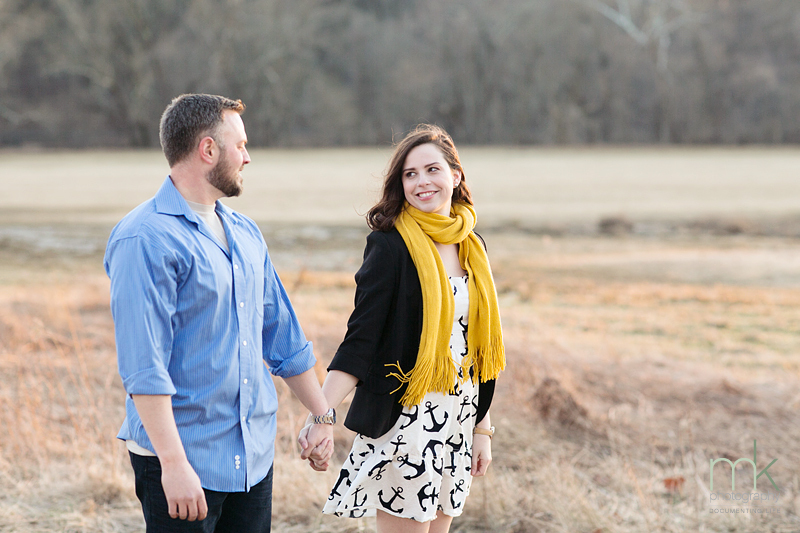 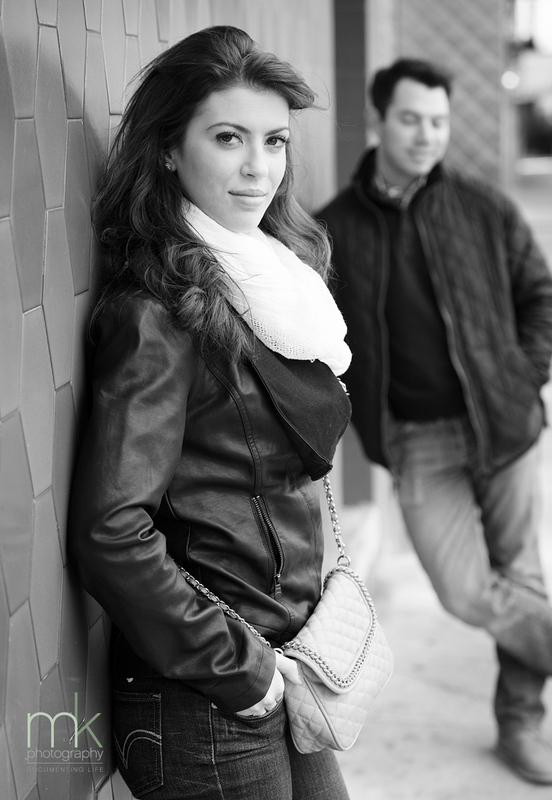 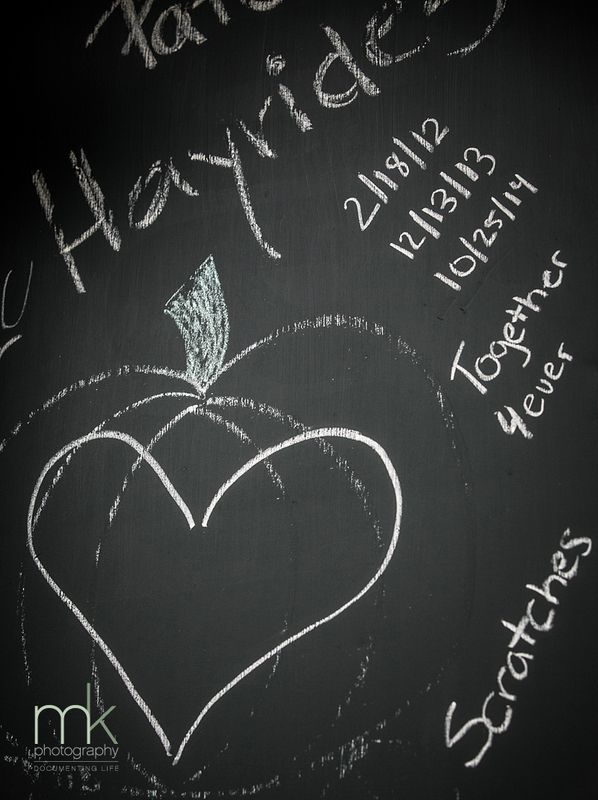 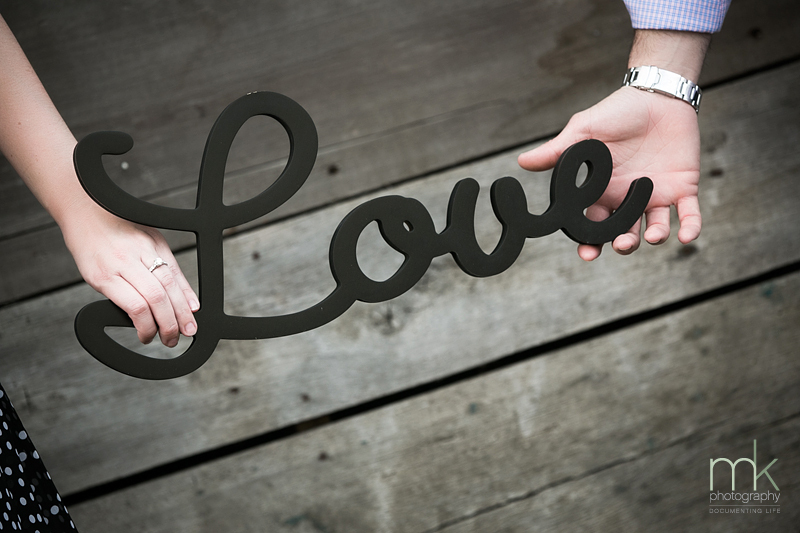 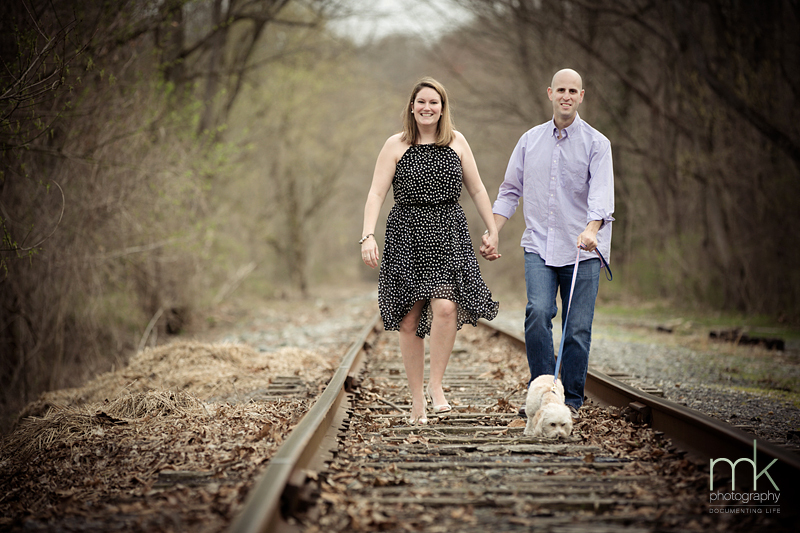 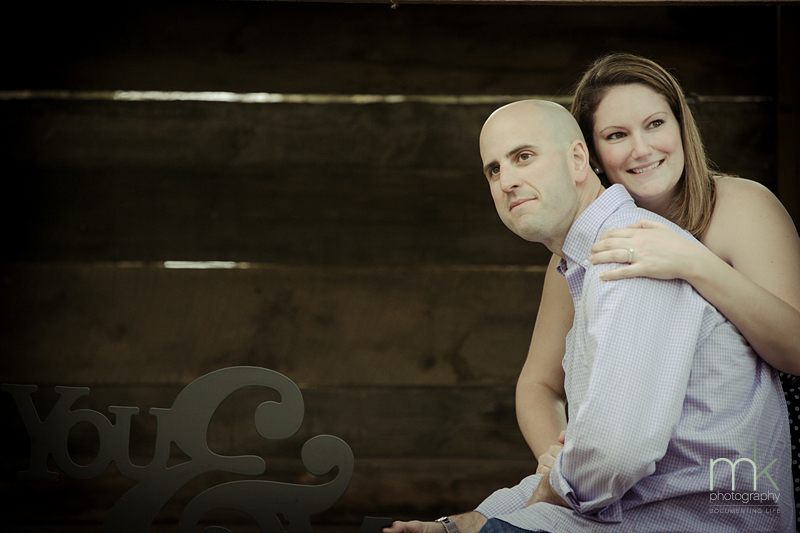 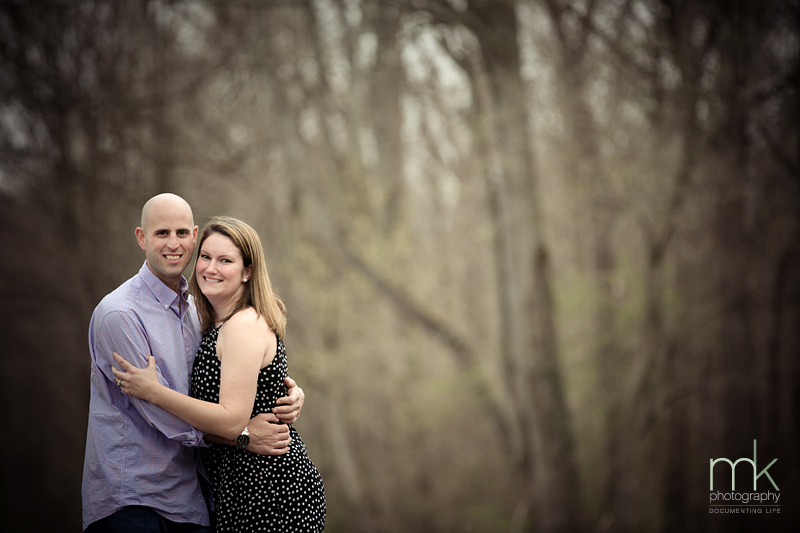 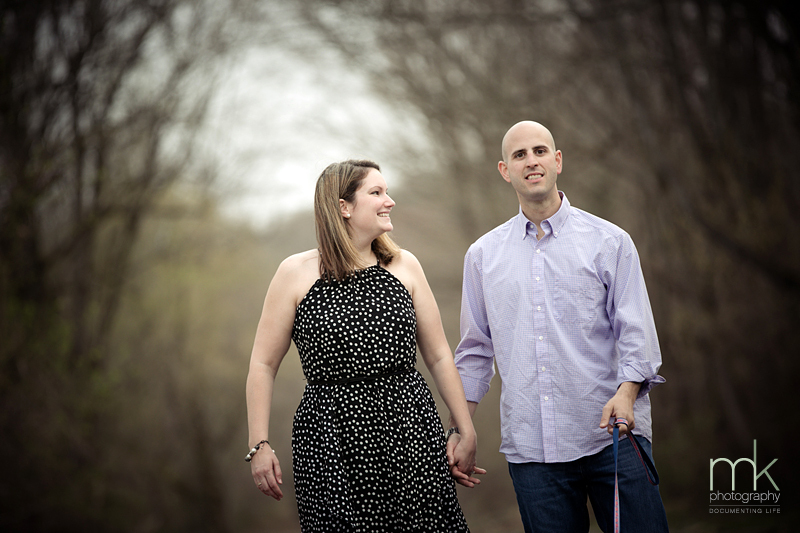 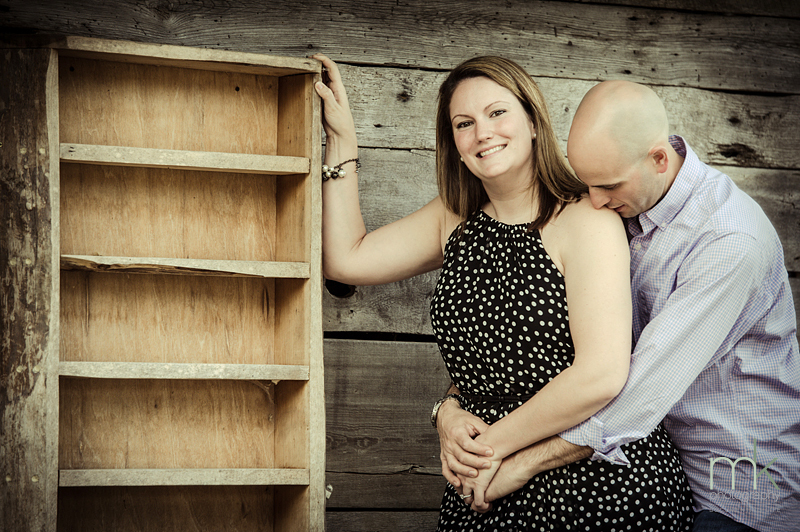 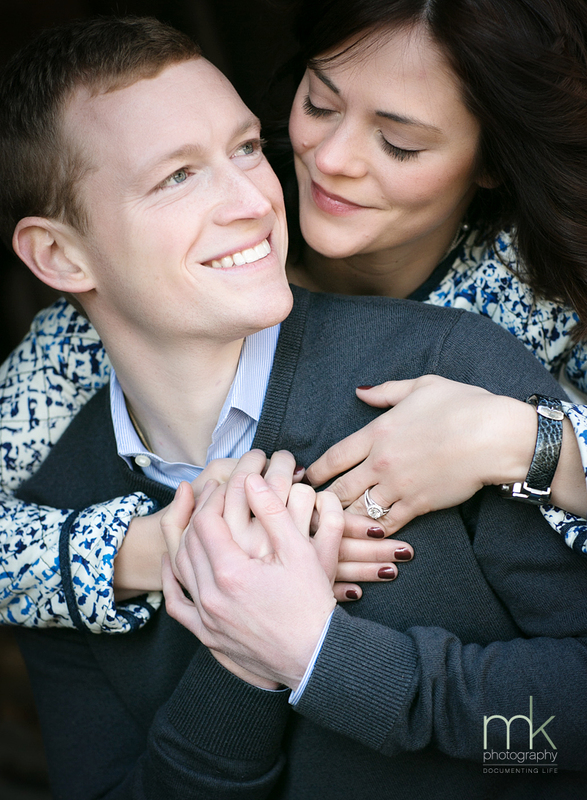 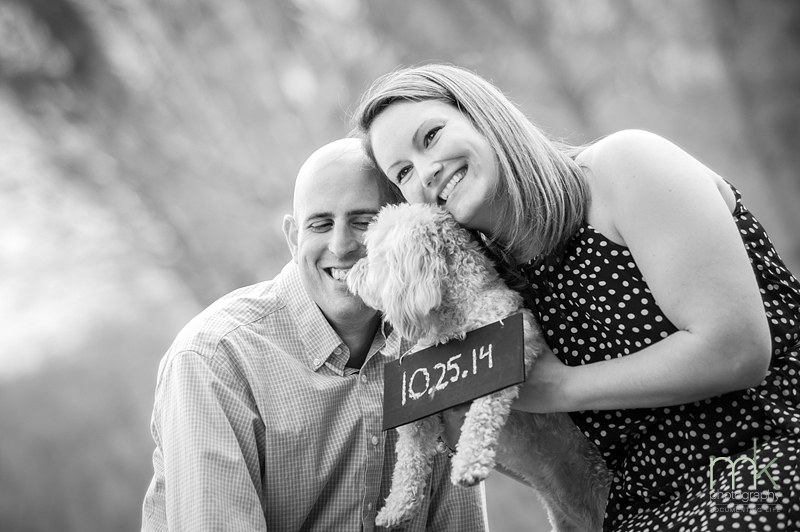 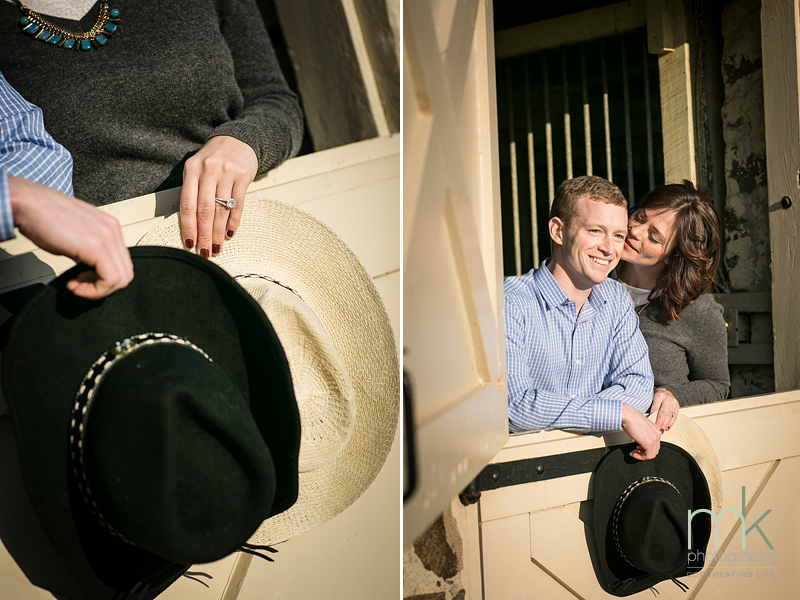 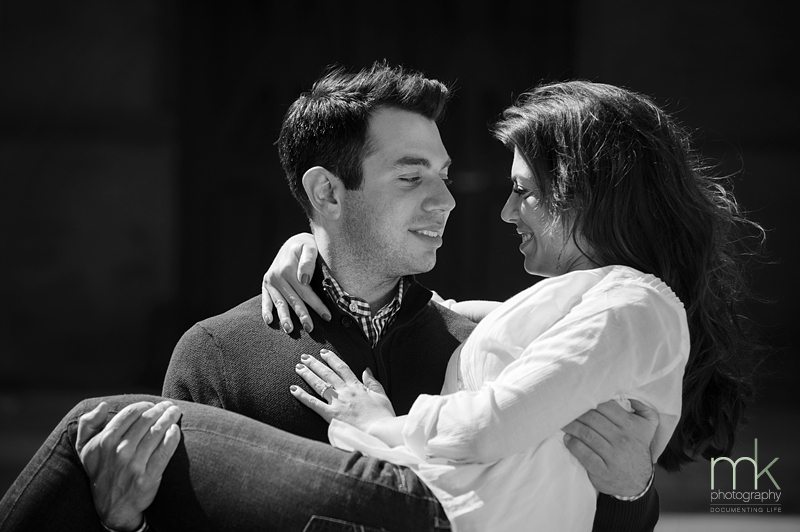 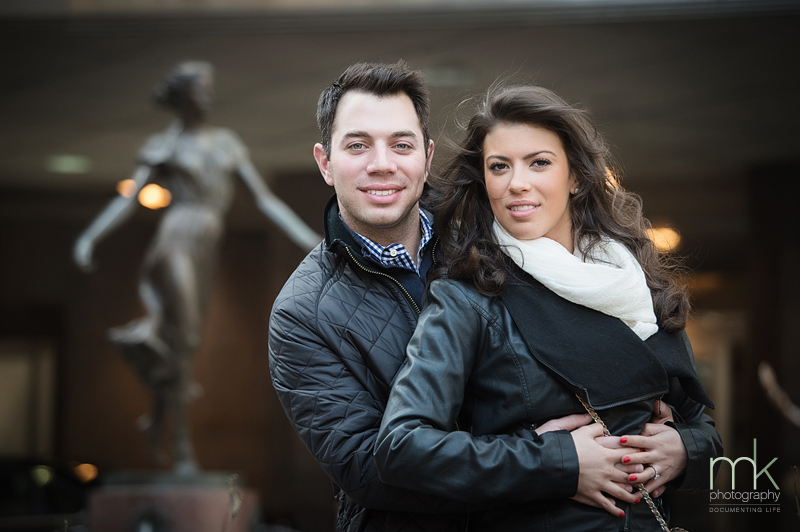 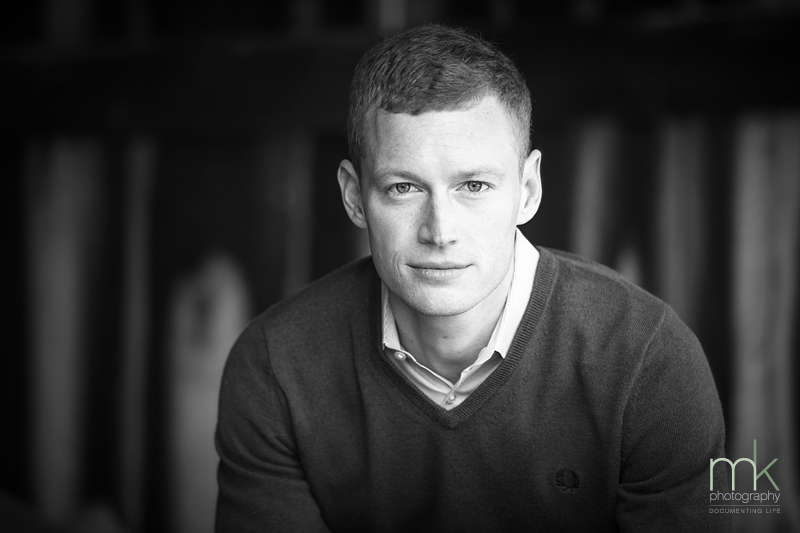 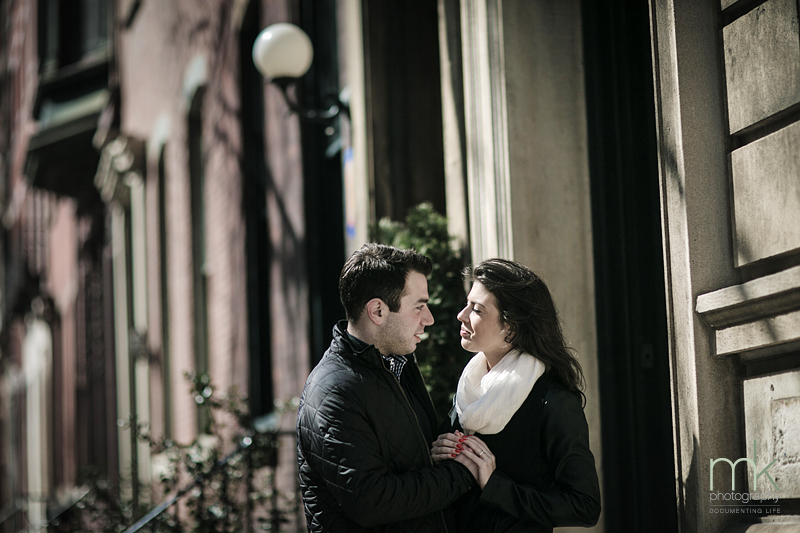 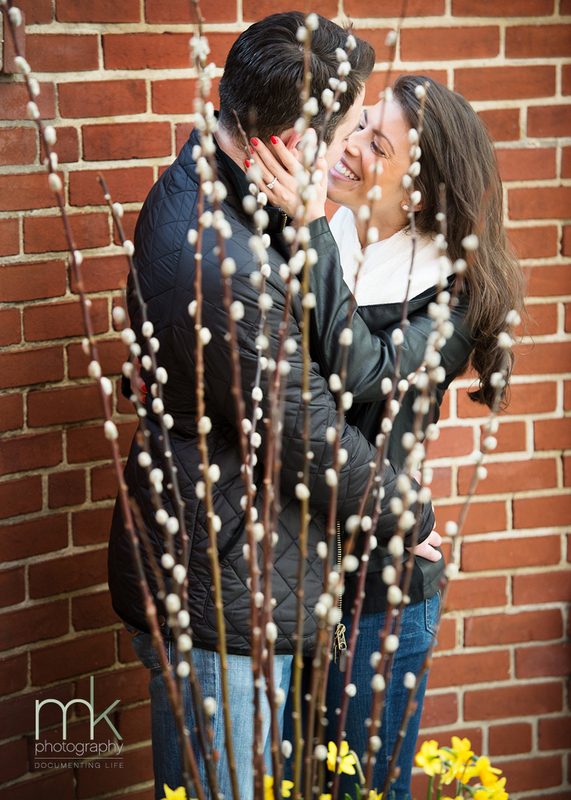 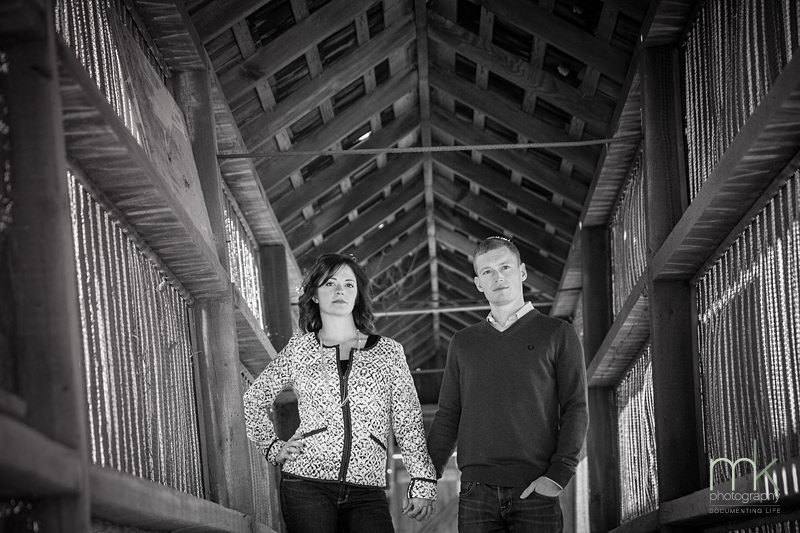 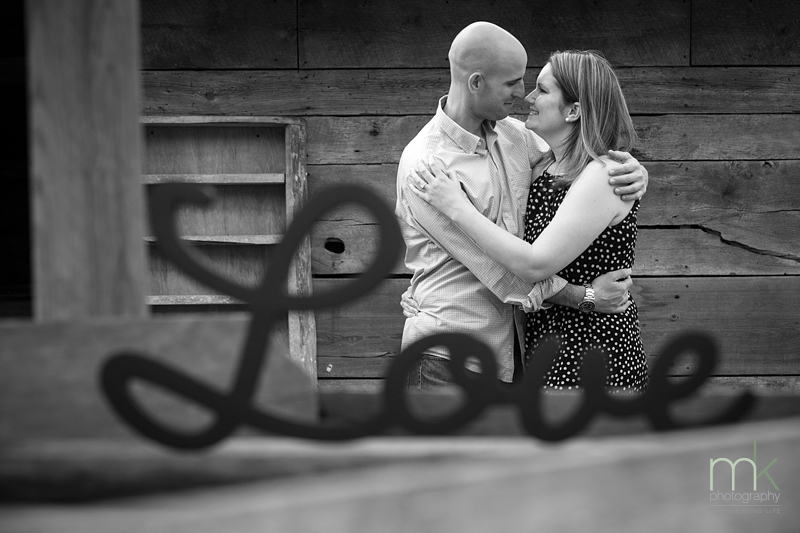 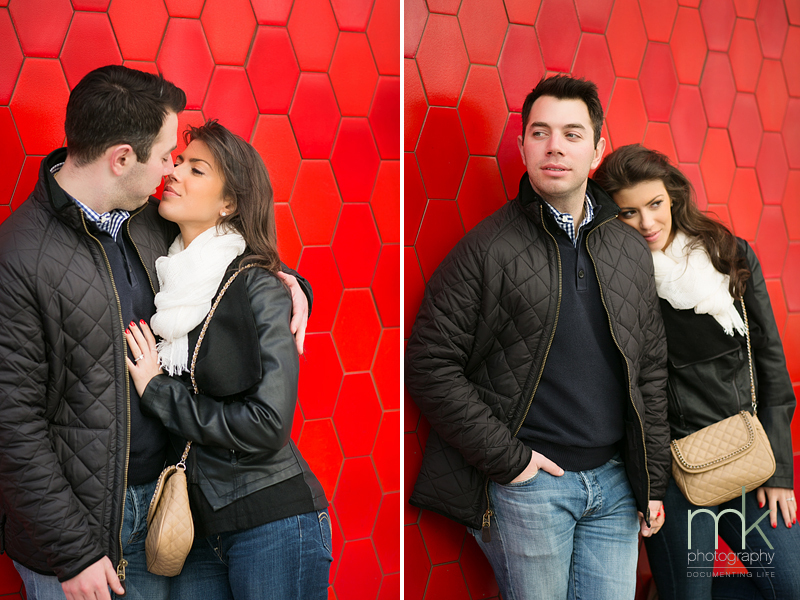 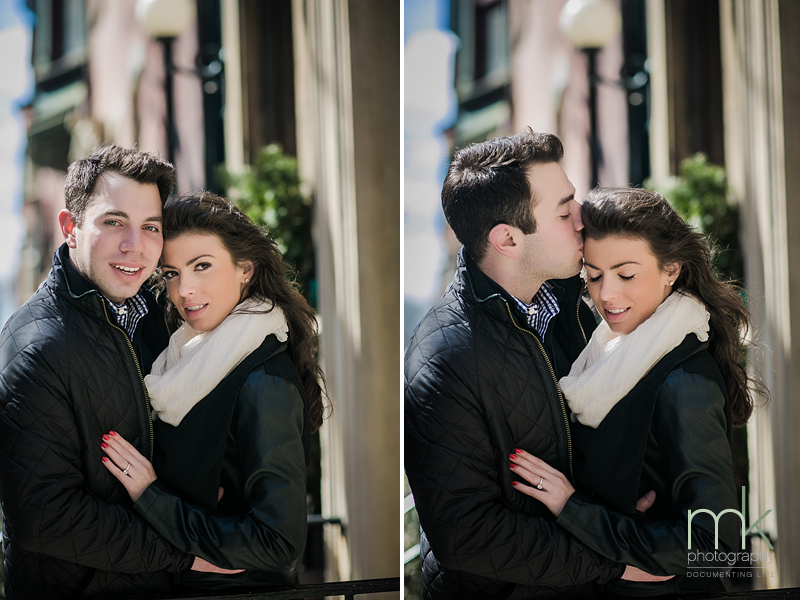 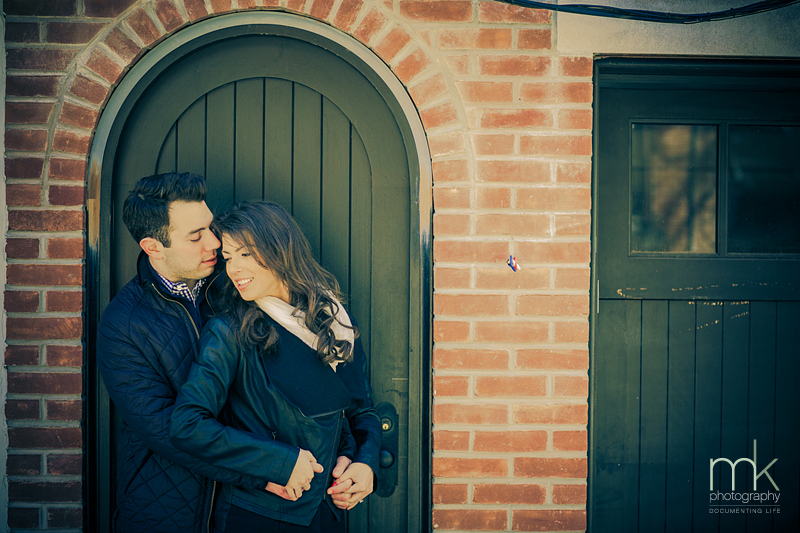 The mkPhoto team is looking forward to Chelsea and Stephan’s wedding in Philadelphia this May! 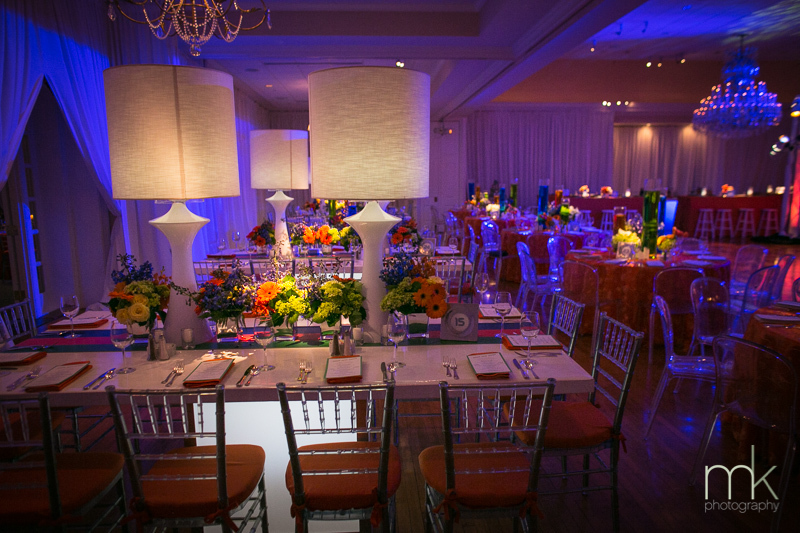 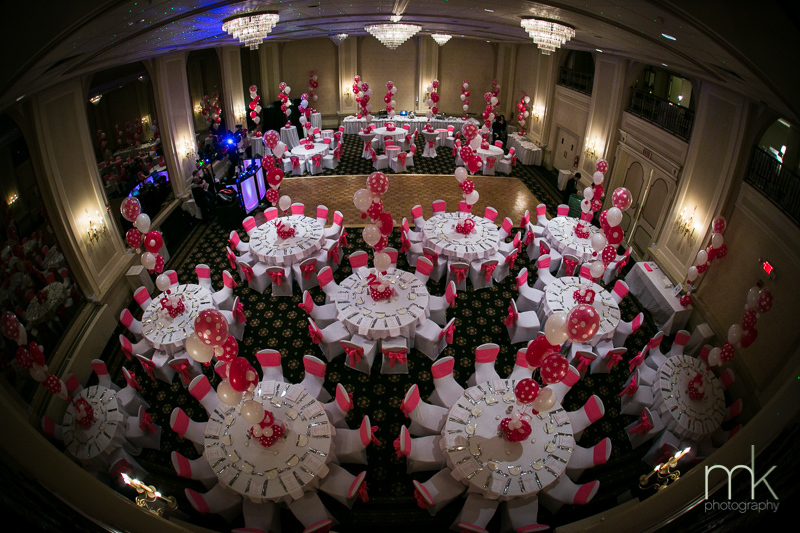 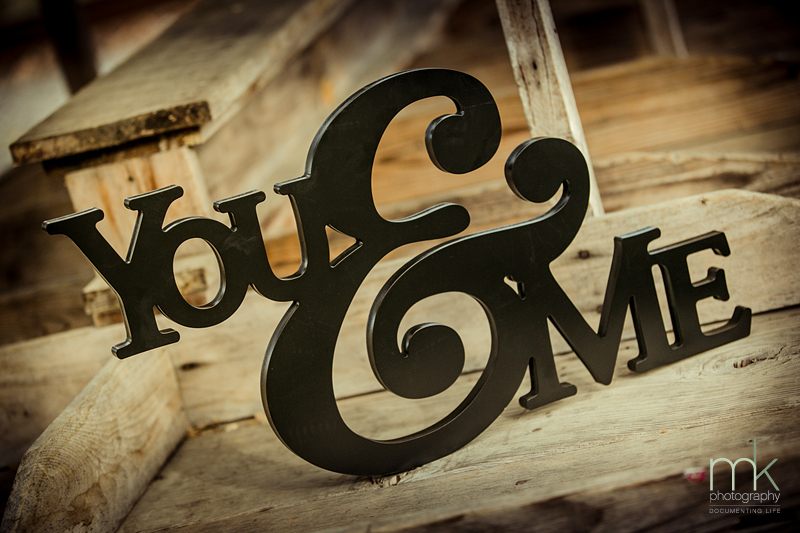 Truly You Events - So gorgeous, Jana & Mike! 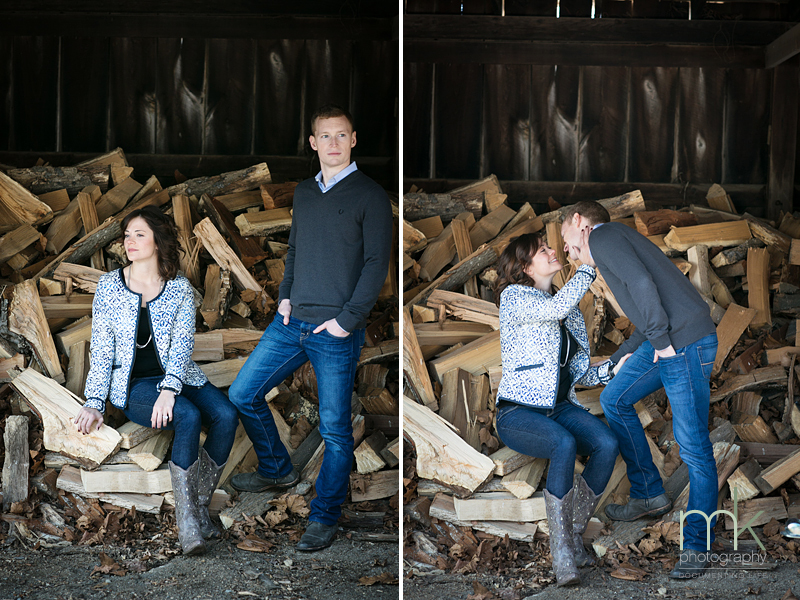 Can't wait for Chelsea & Stephan's wedding coming up in May. 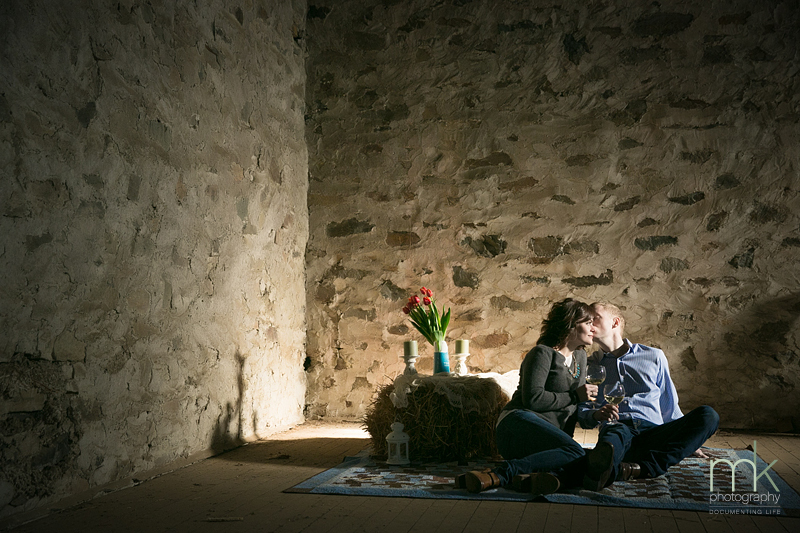 It's going to be so special! 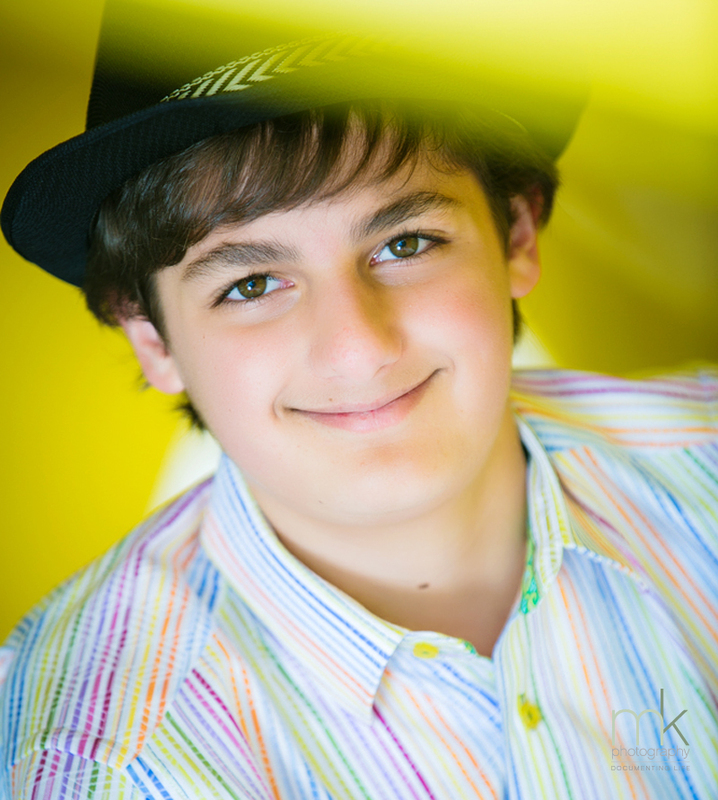 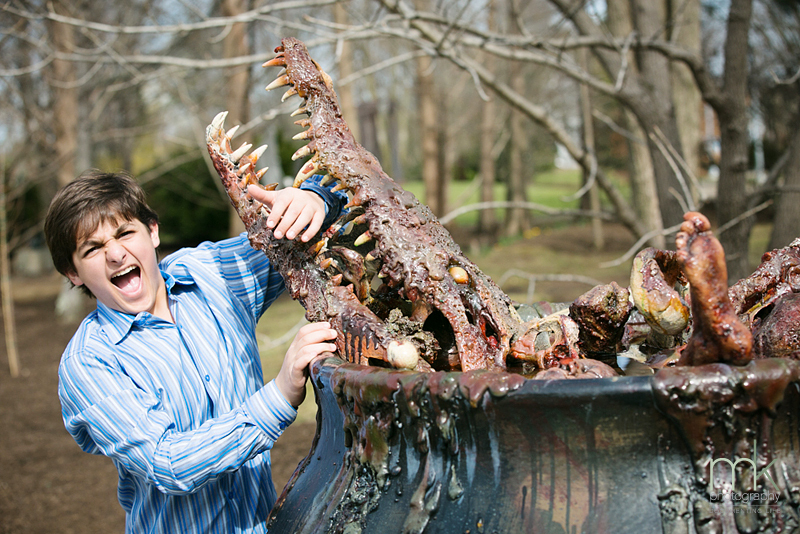 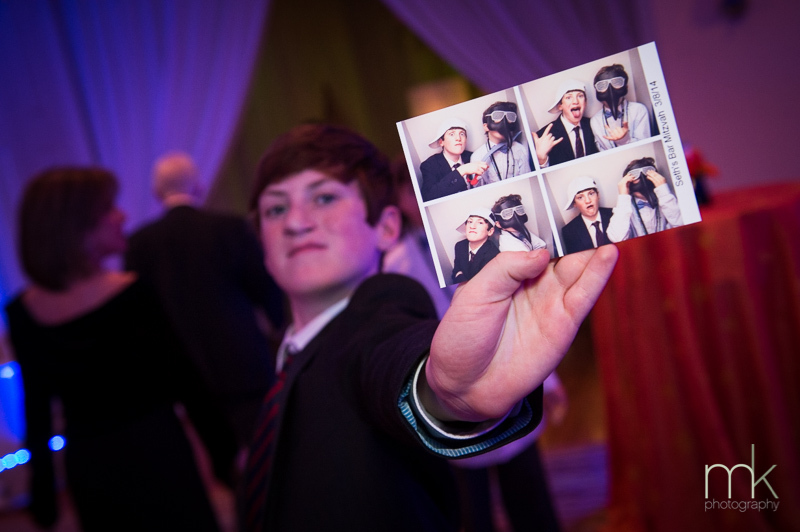 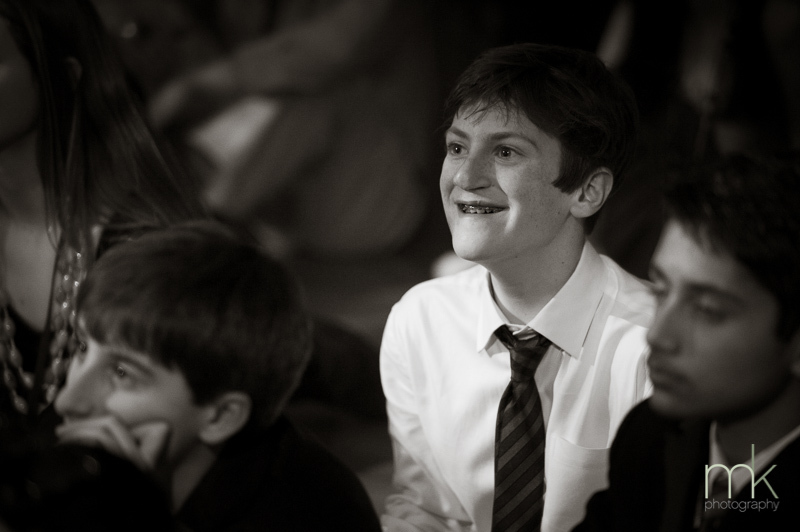 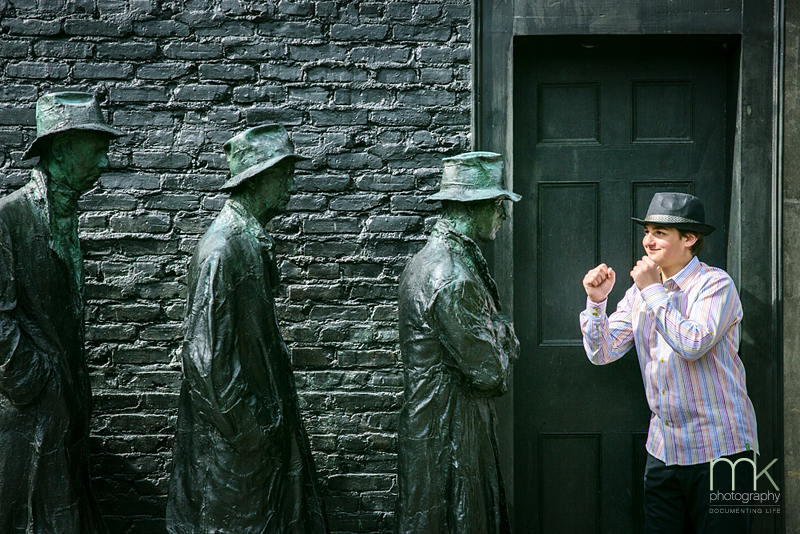 You are currently browsing the mkPhoto weblog archives for April, 2014.